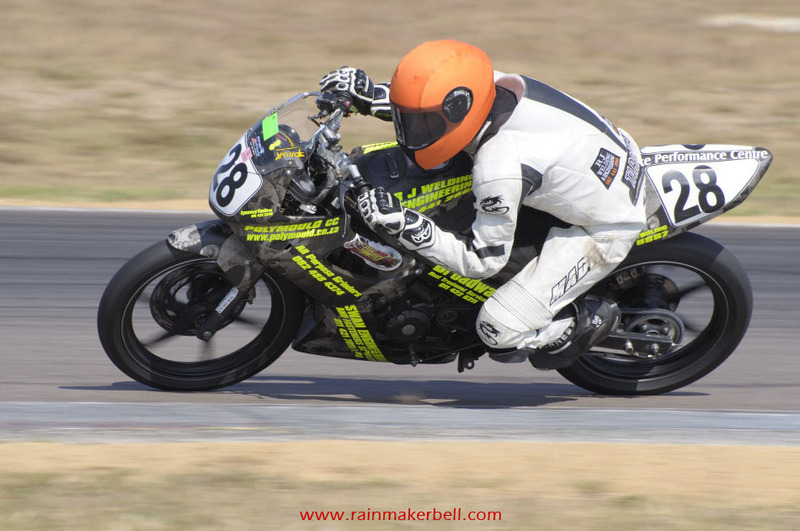 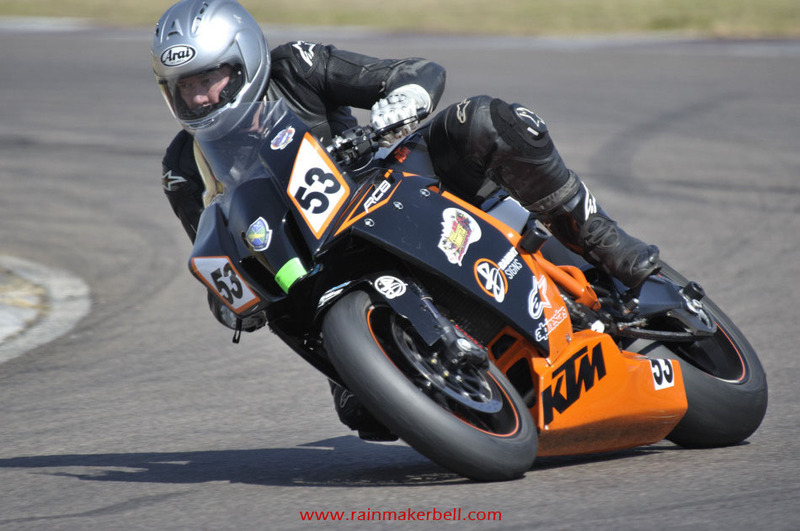 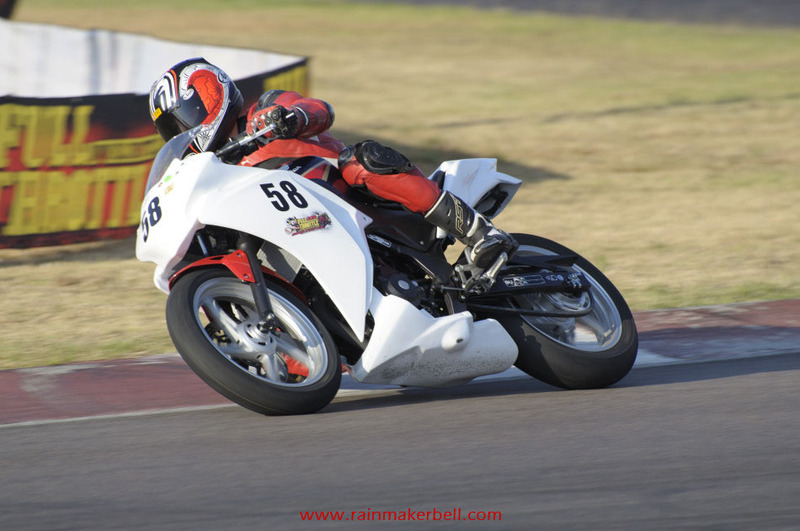 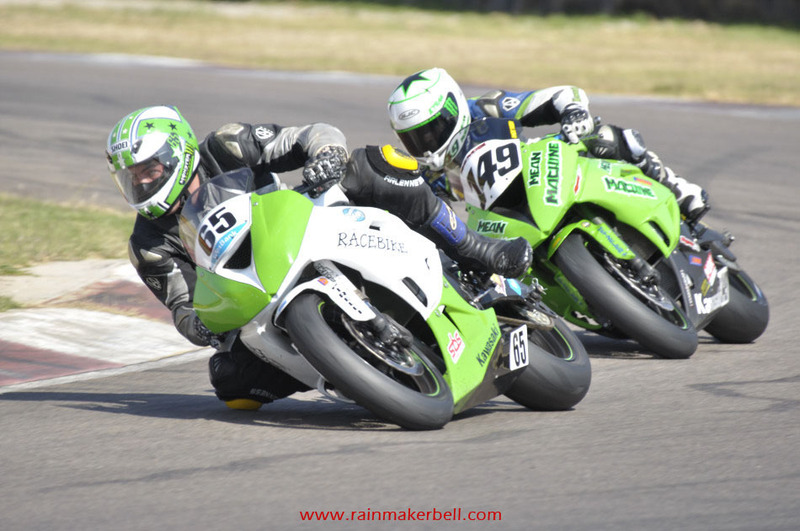 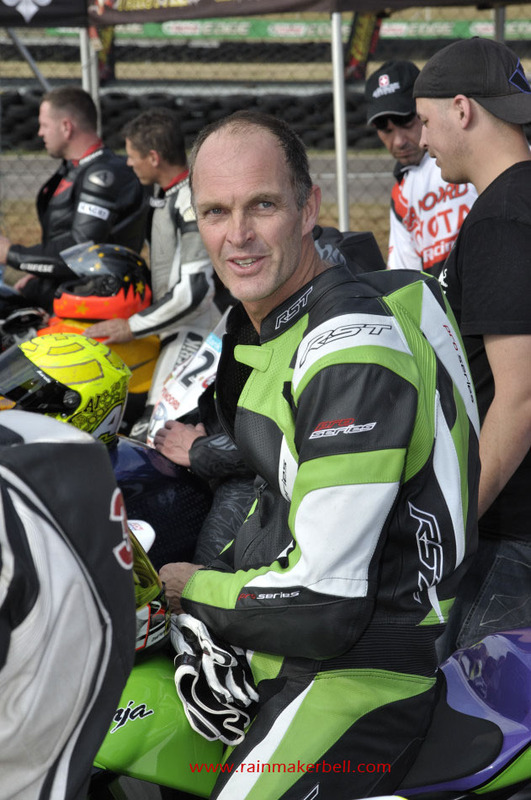 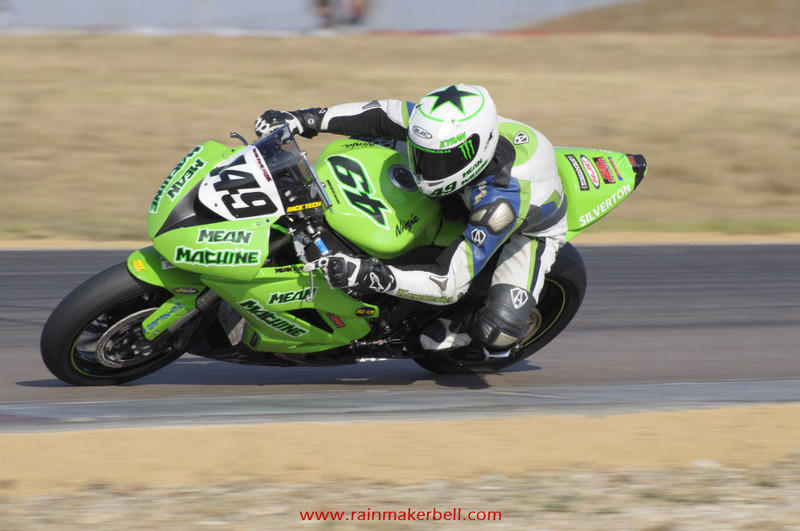 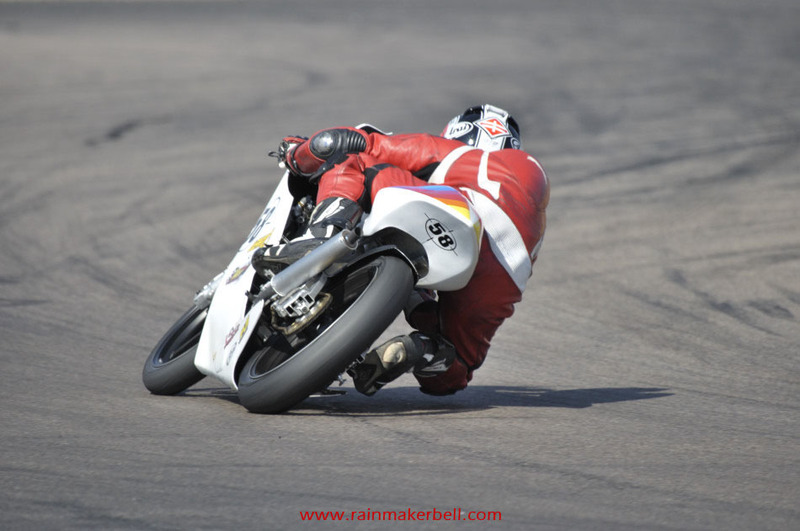 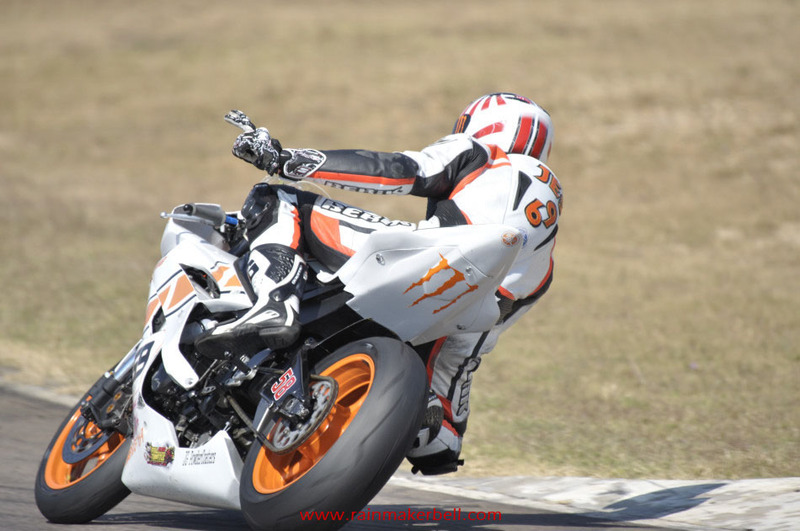 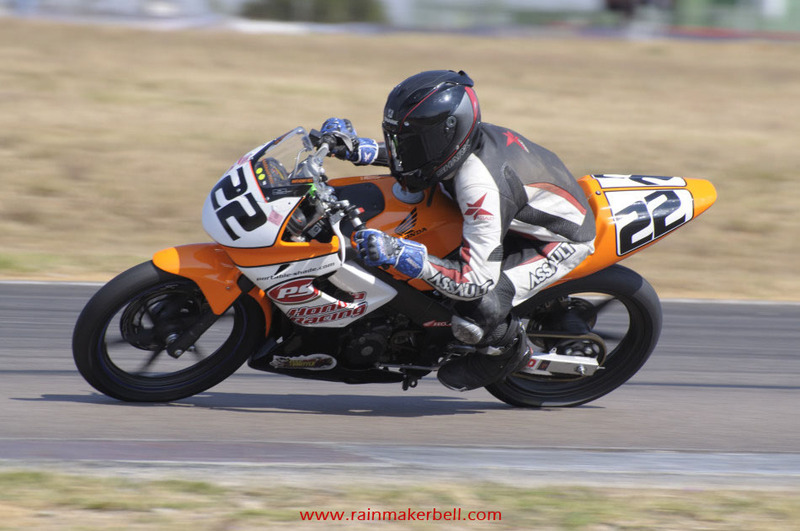 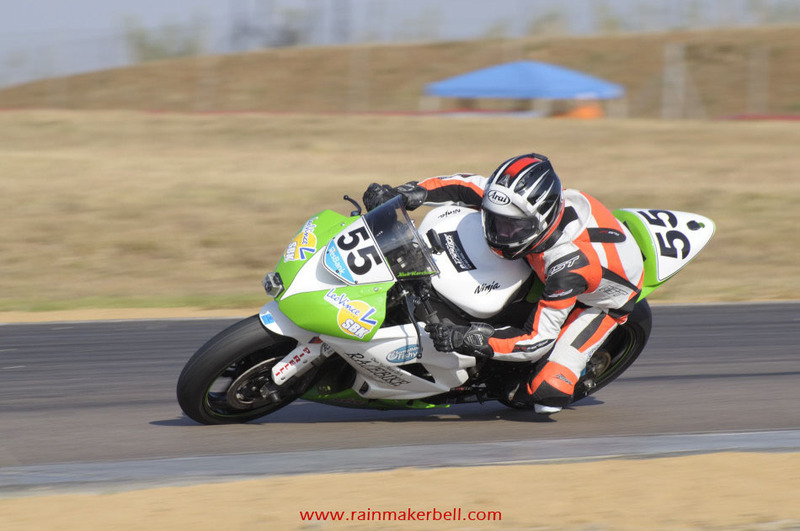 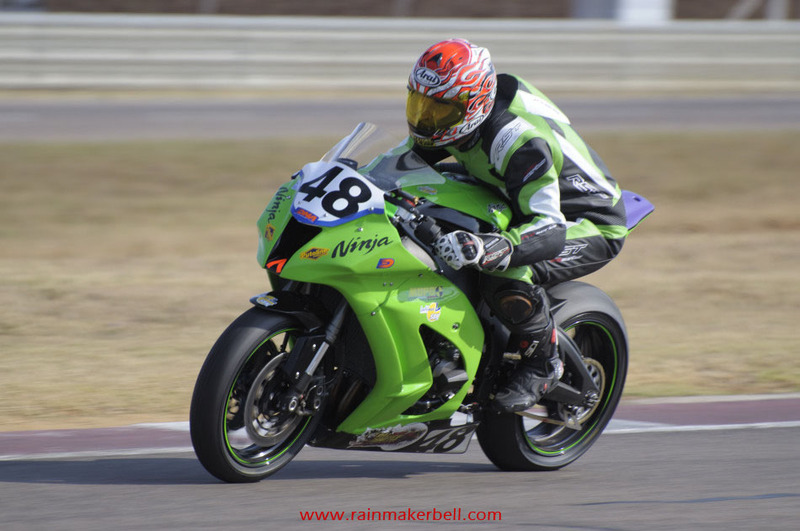 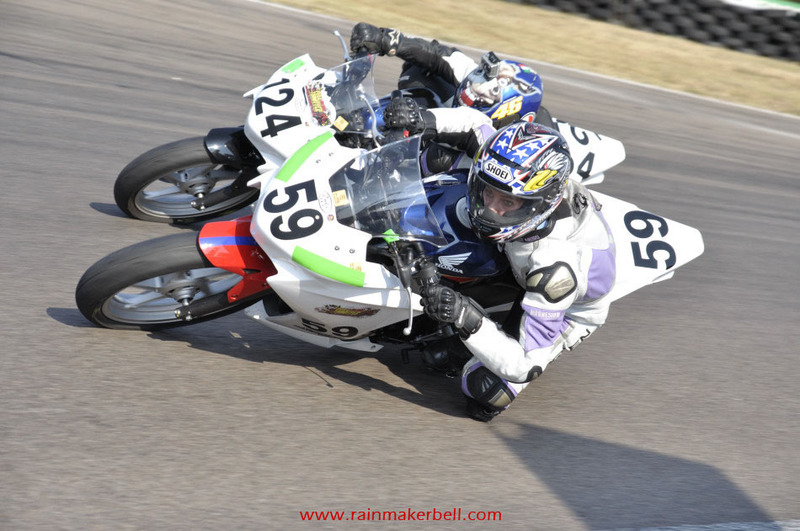 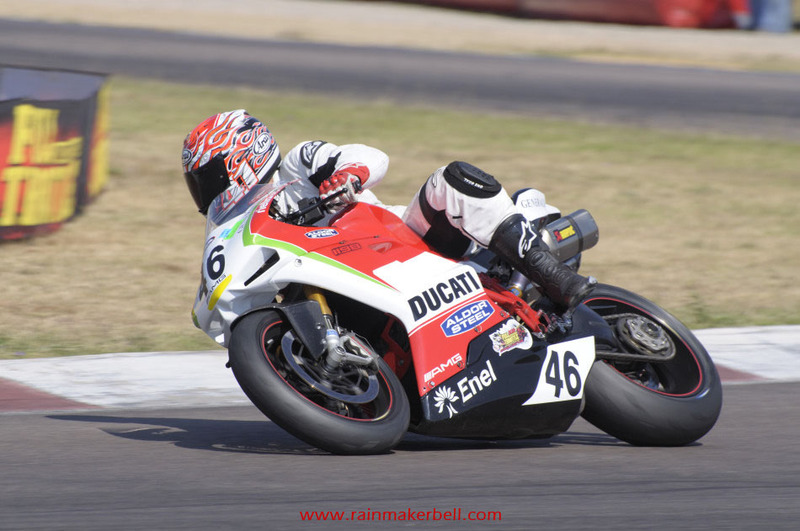 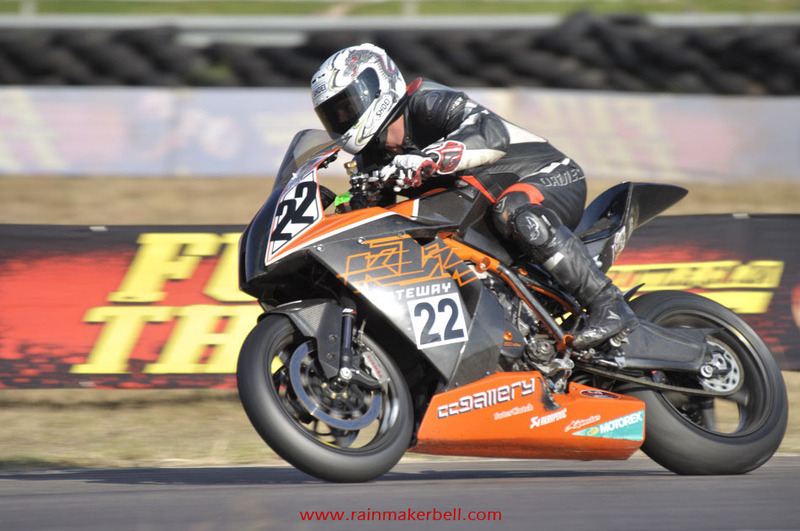 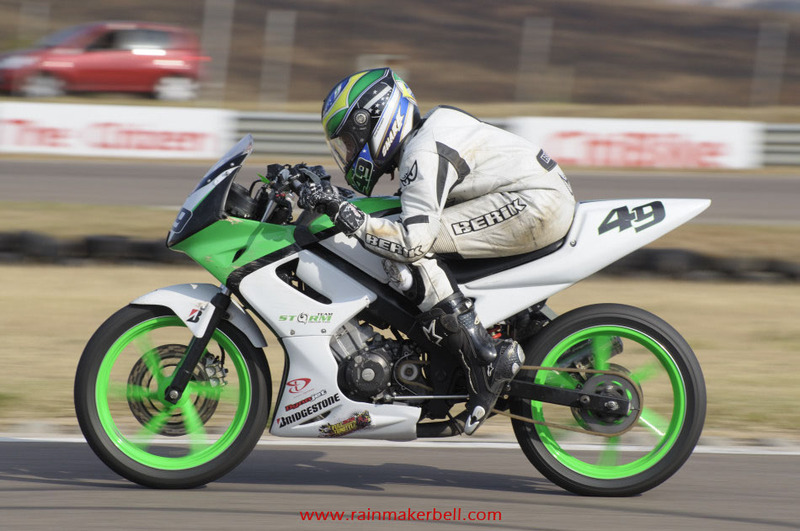 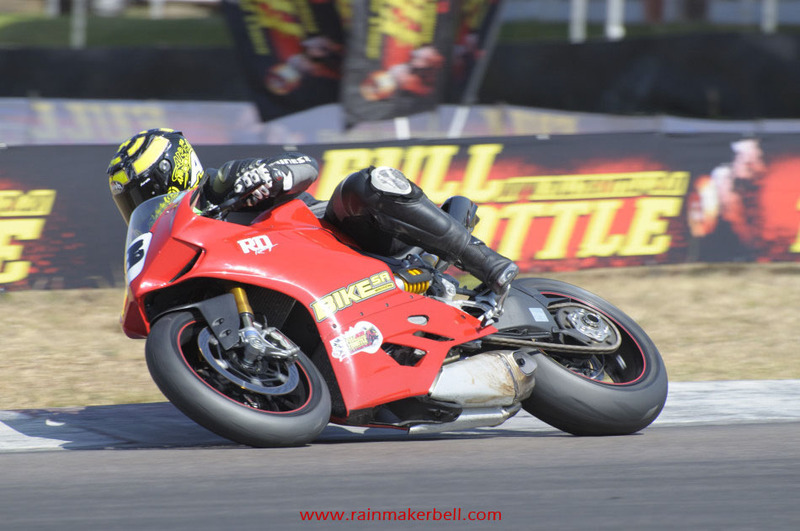 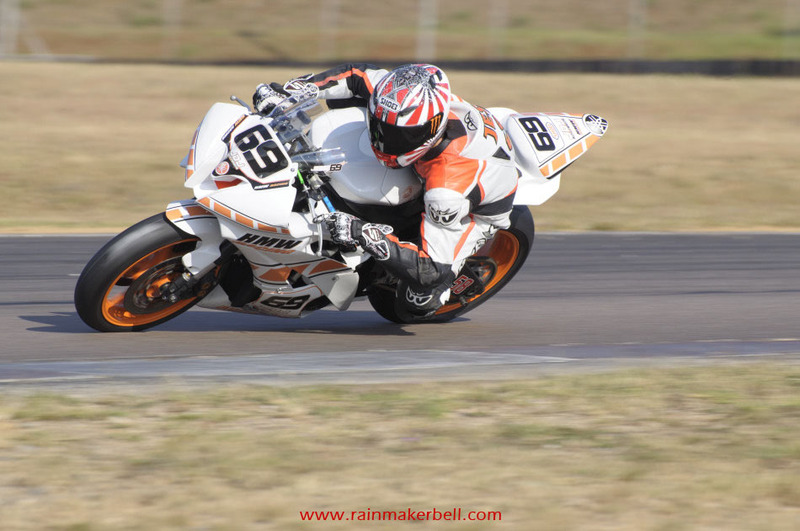 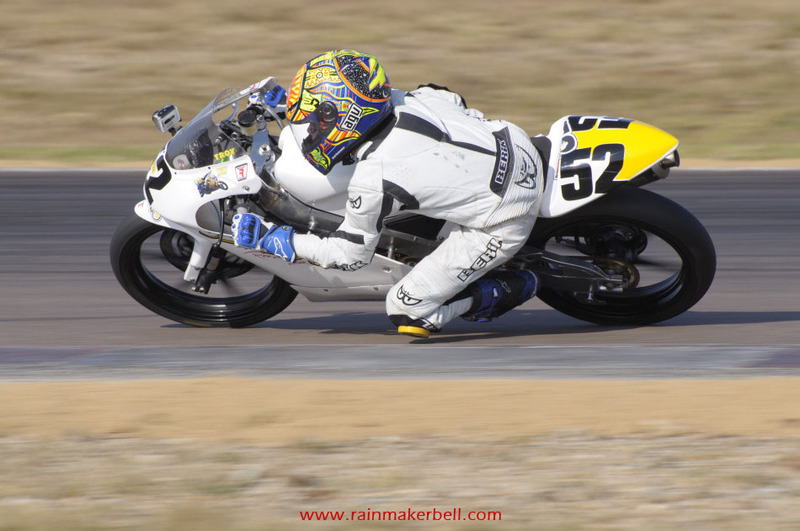 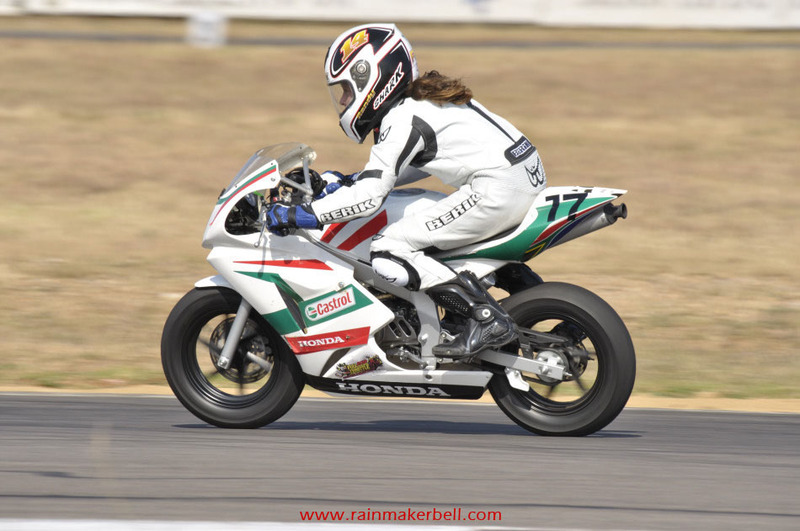 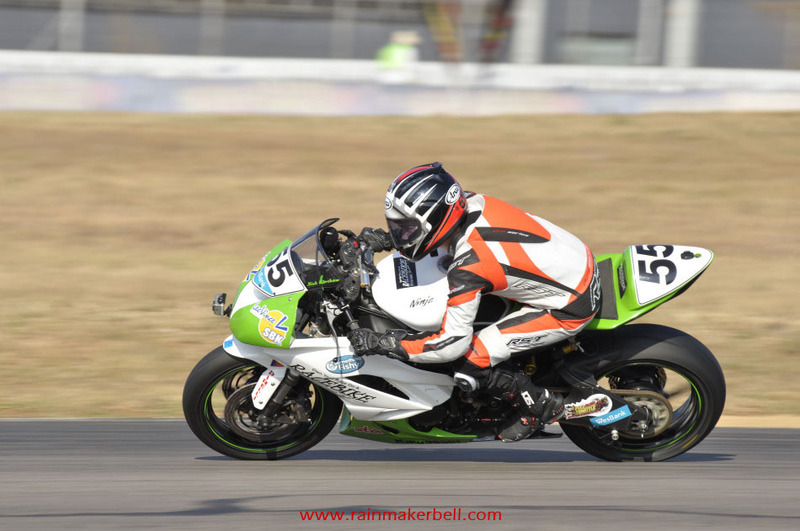 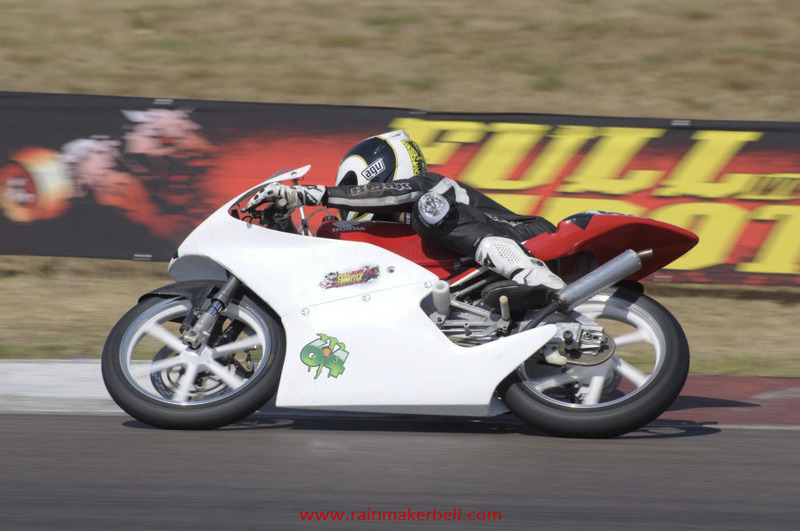 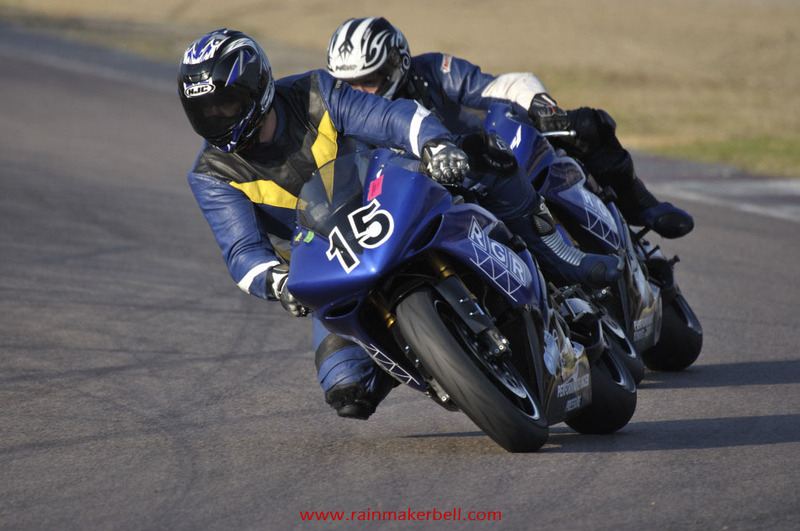 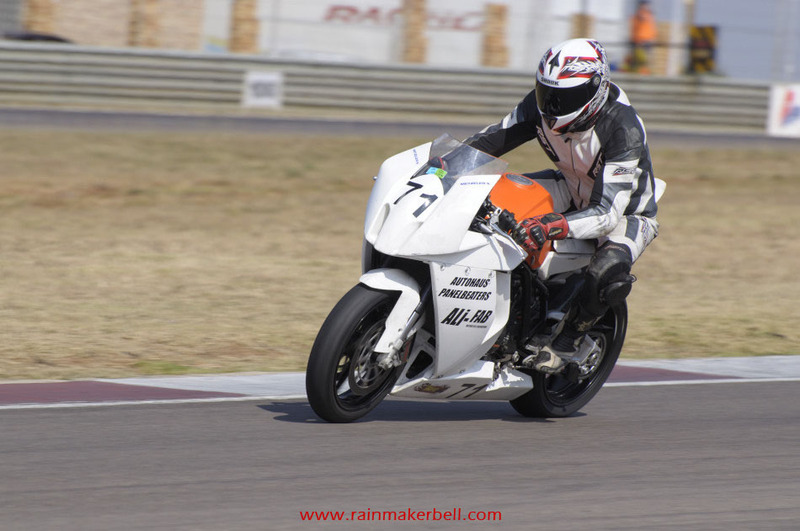 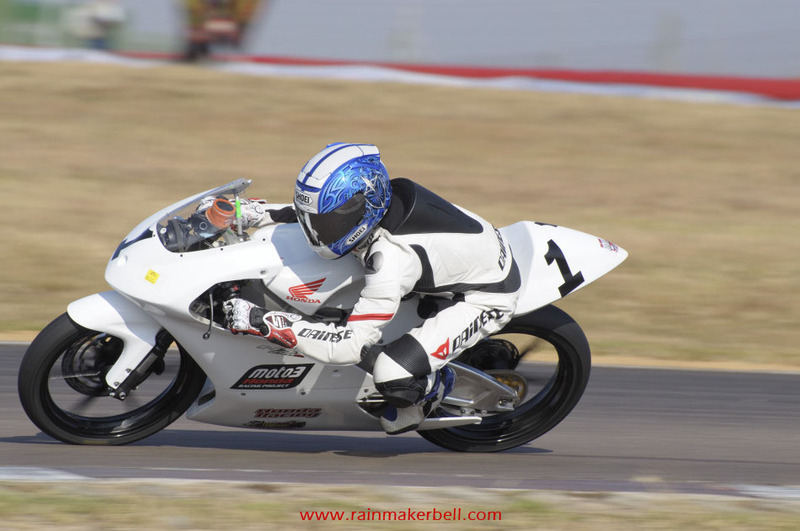 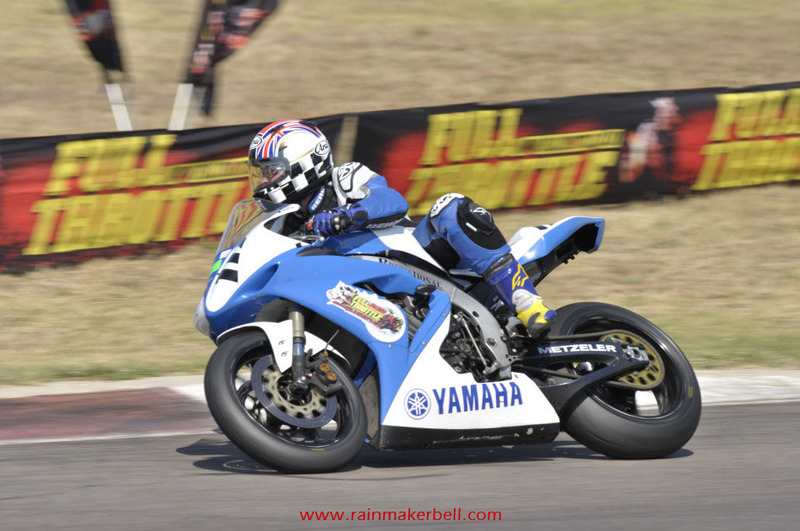 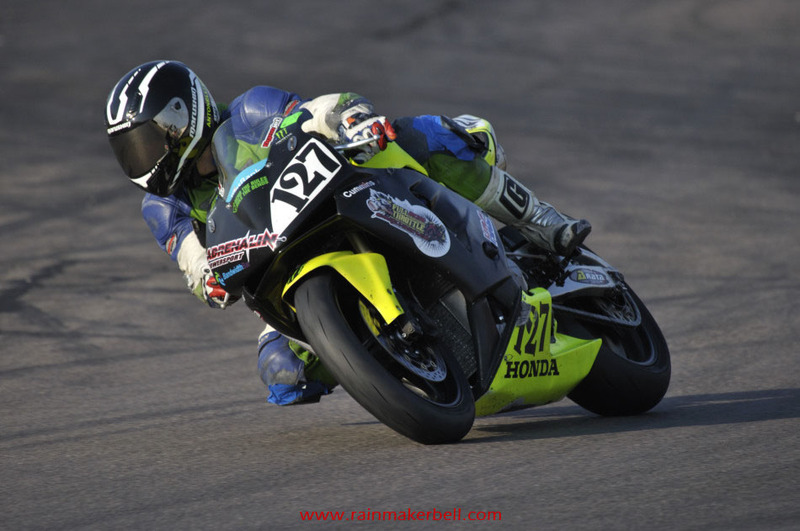 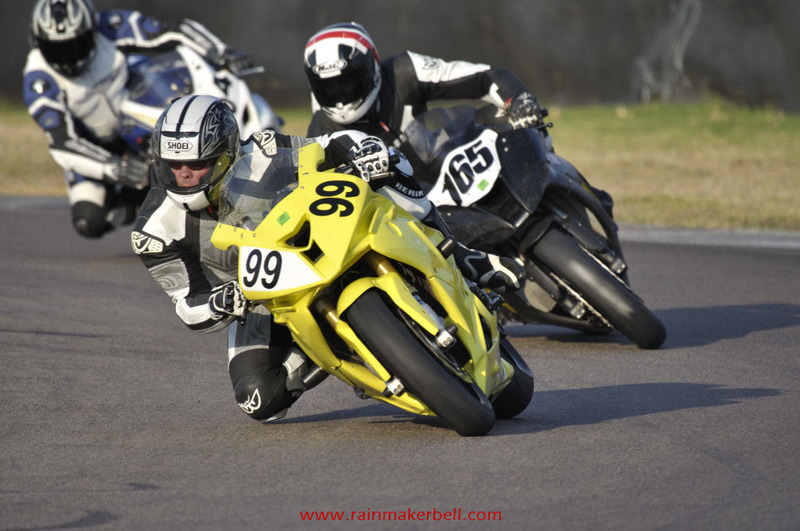 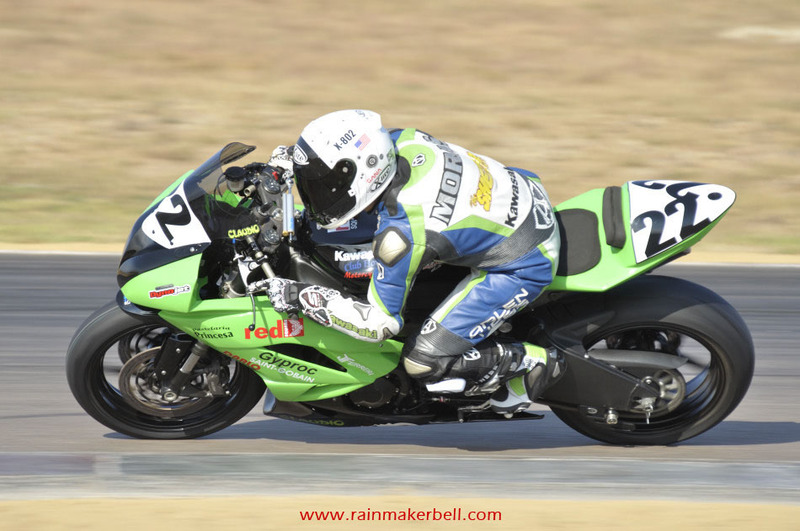 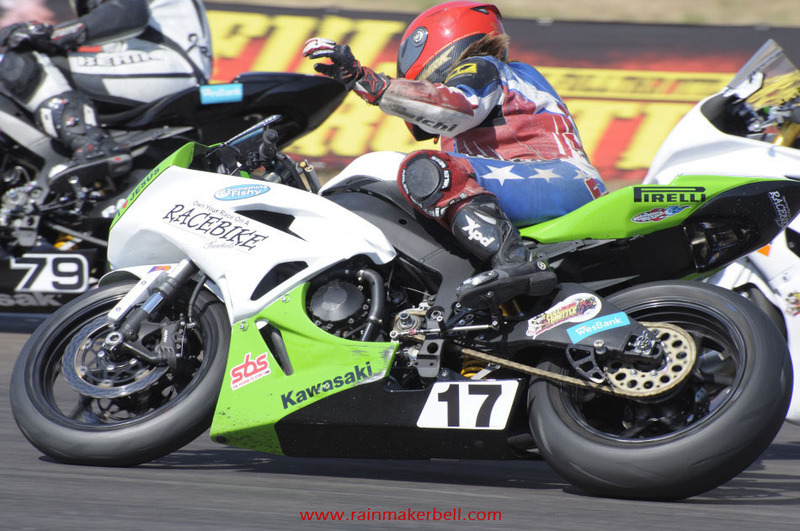 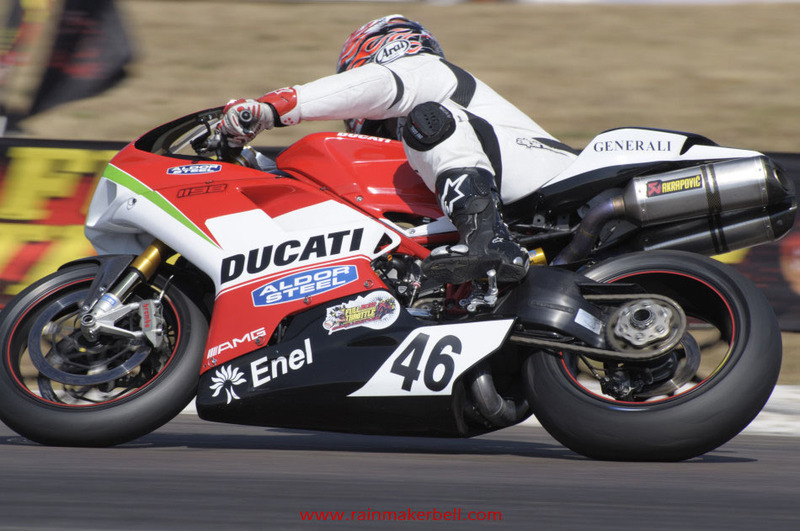 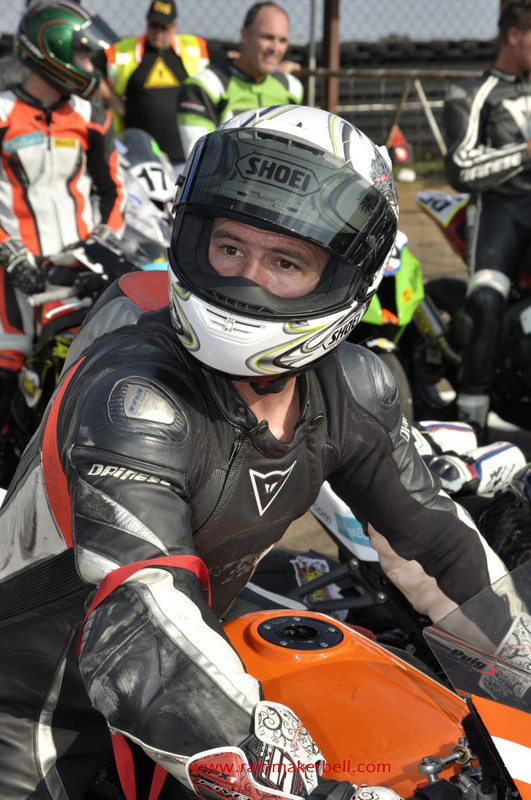 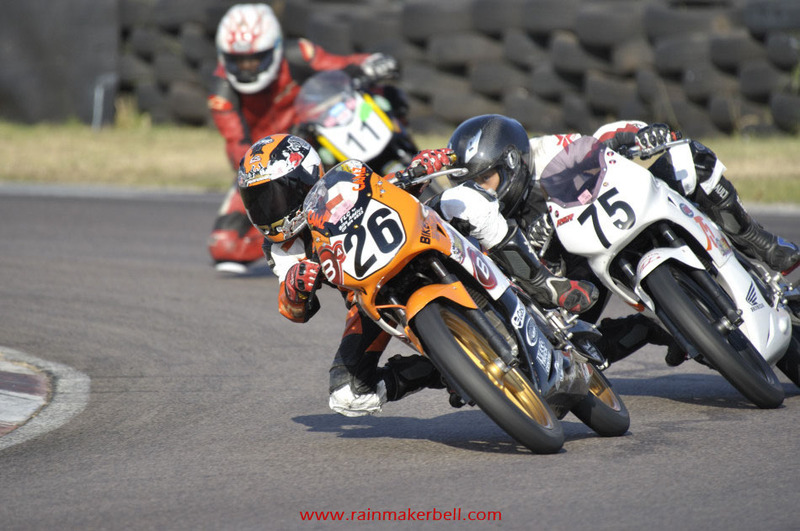 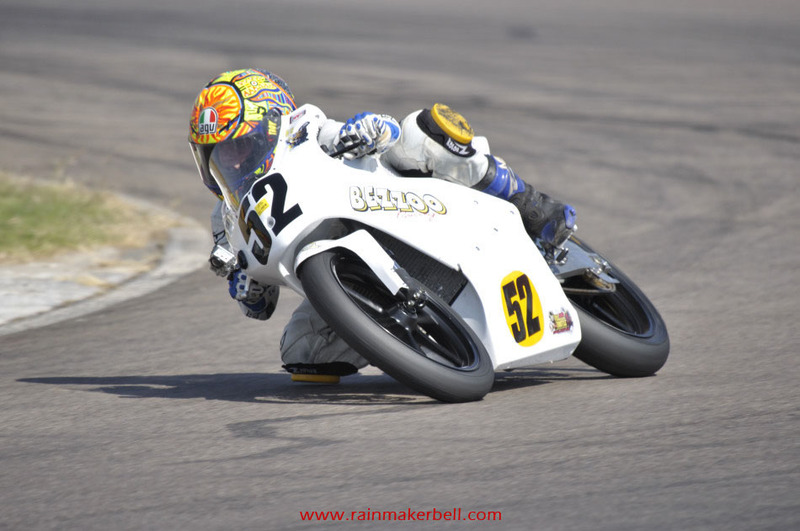 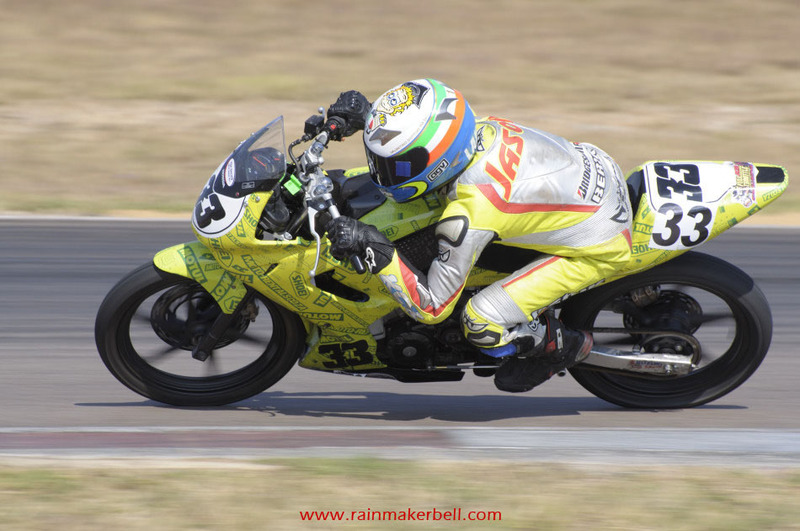 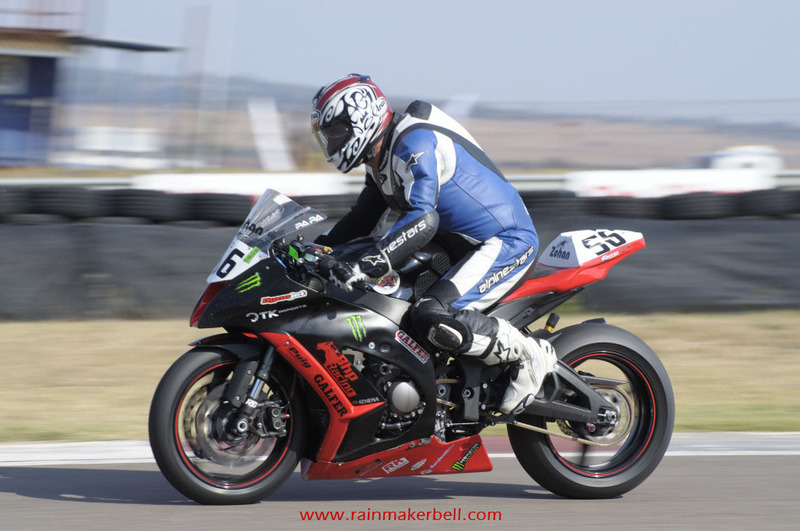 The Unlimited Superbikes are the apex of the Northern Regions (NRR) Full Throttle Race Day. 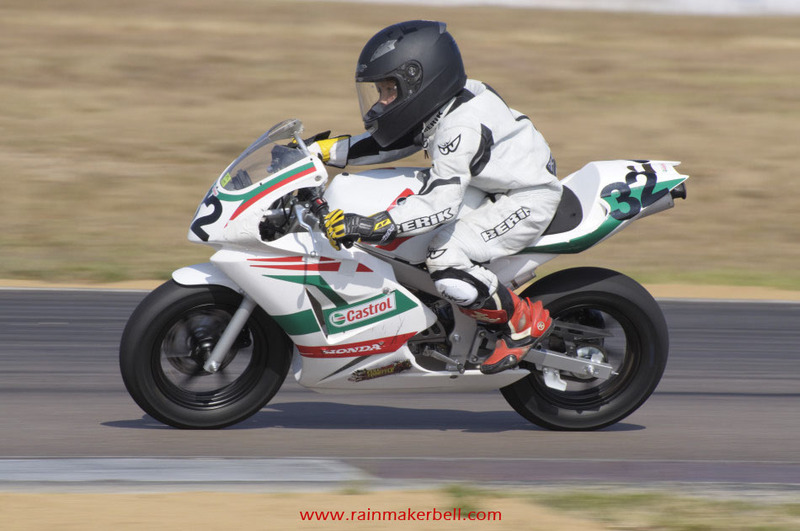 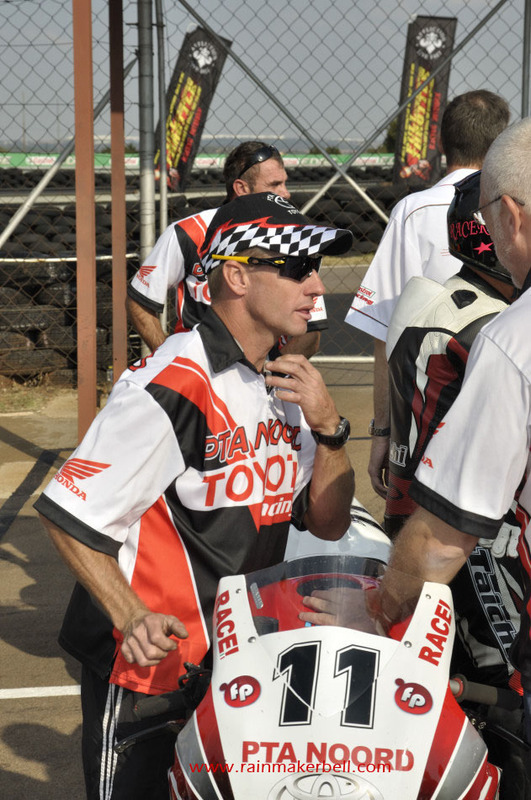 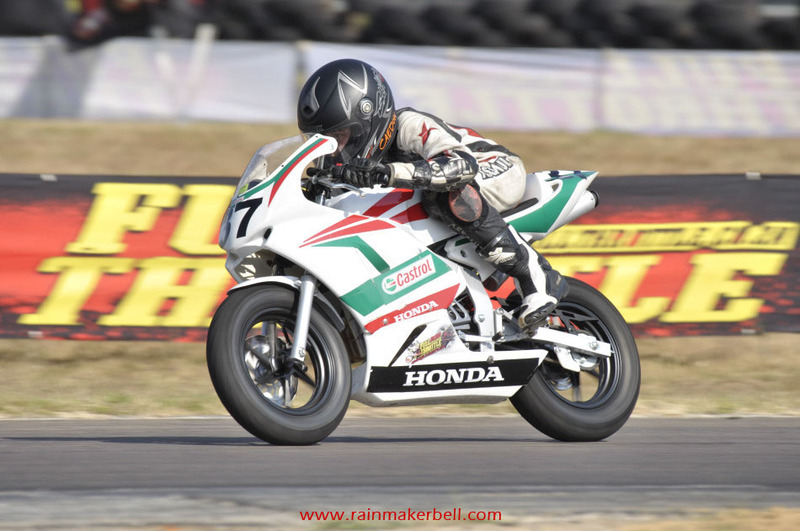 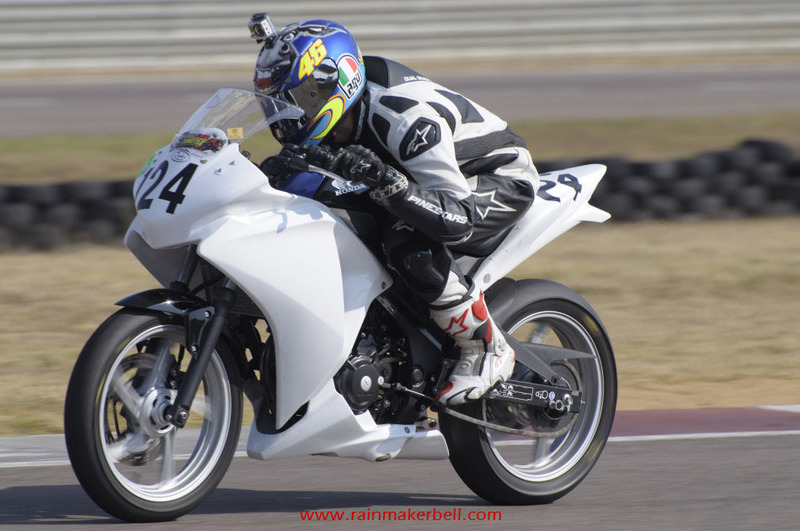 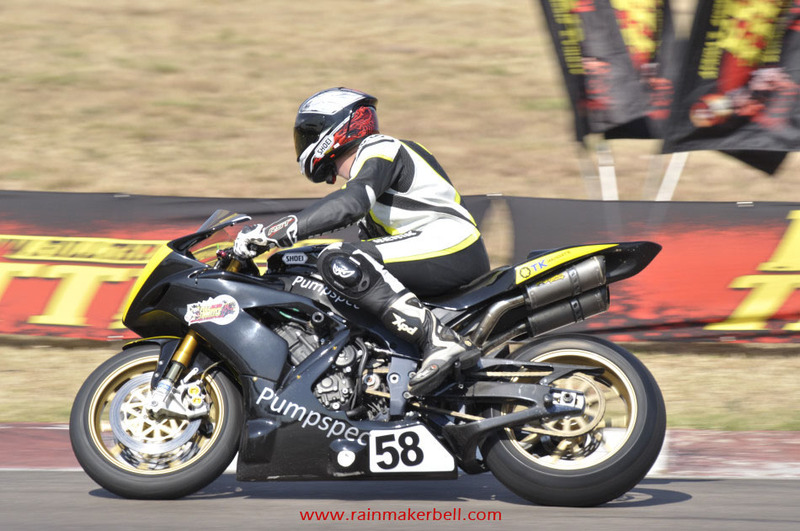 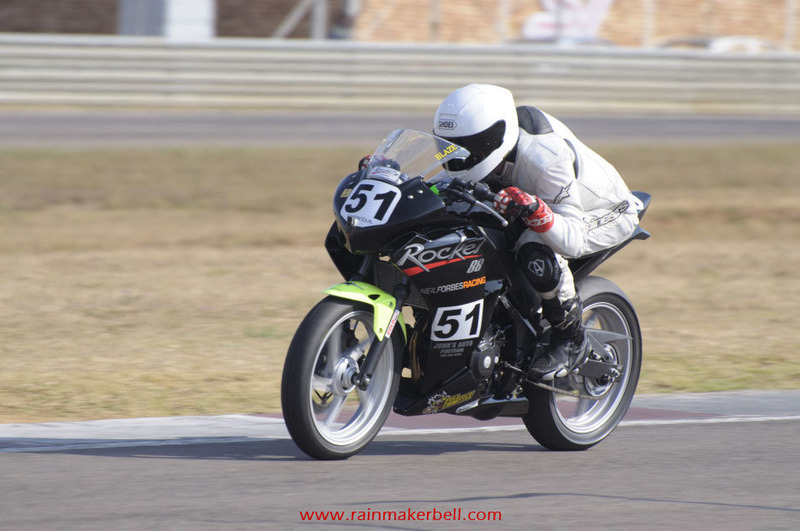 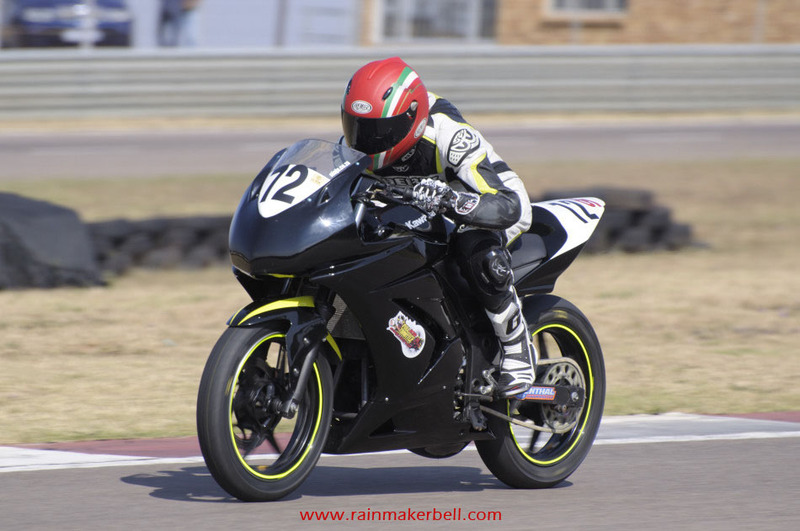 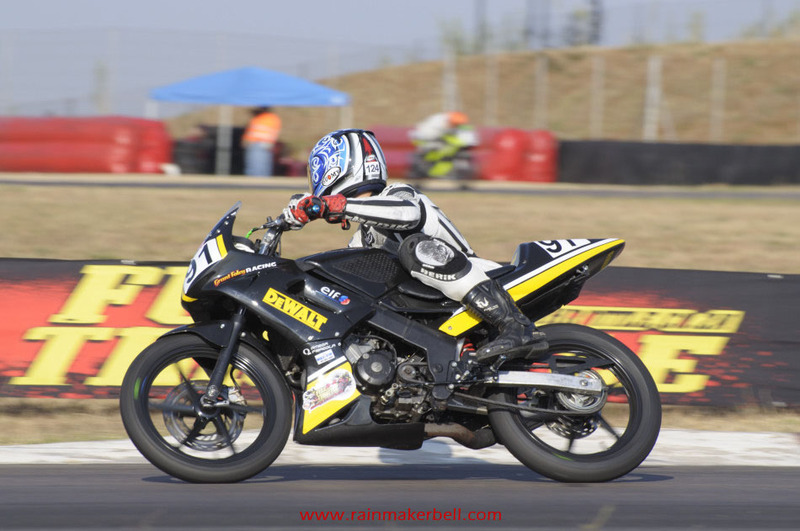 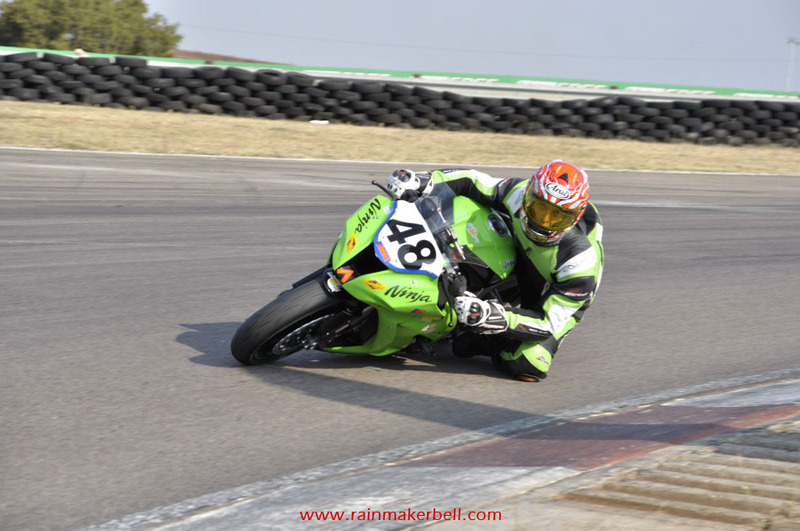 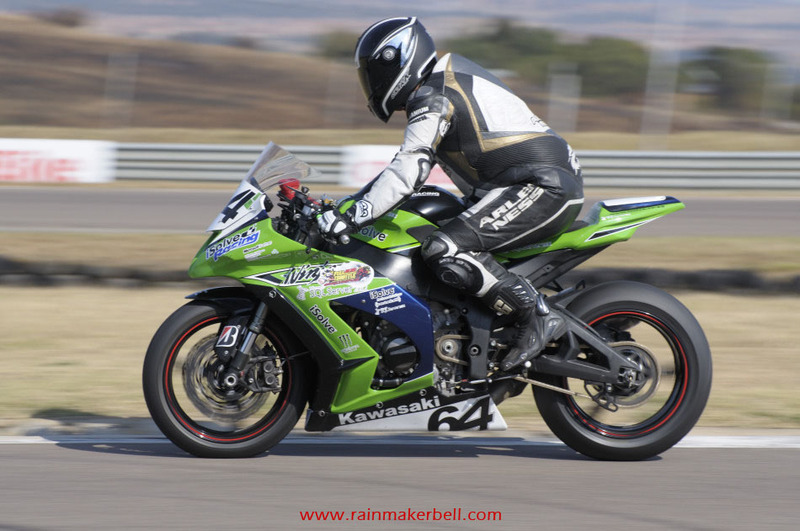 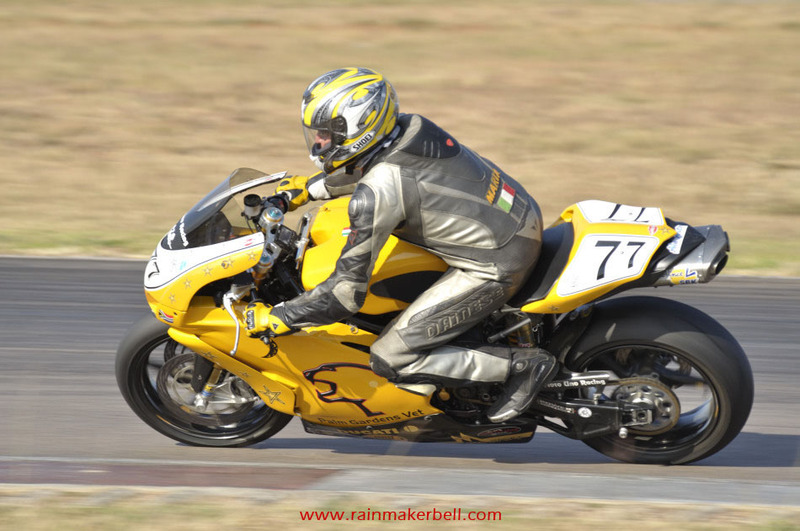 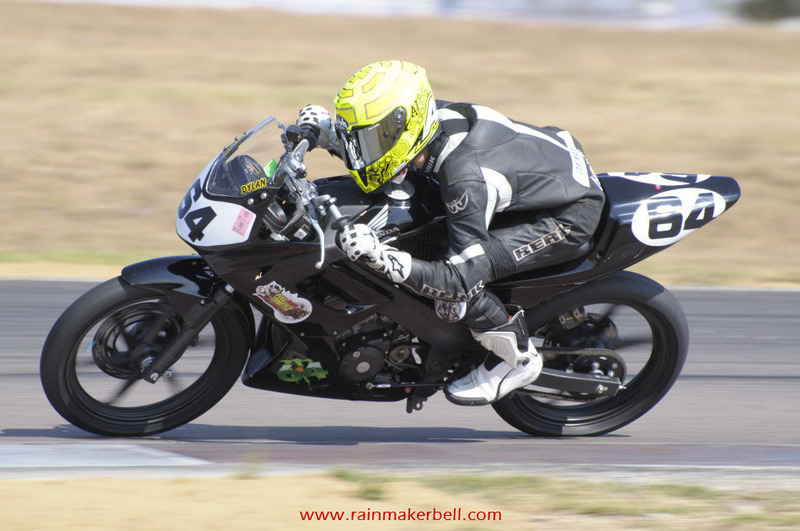 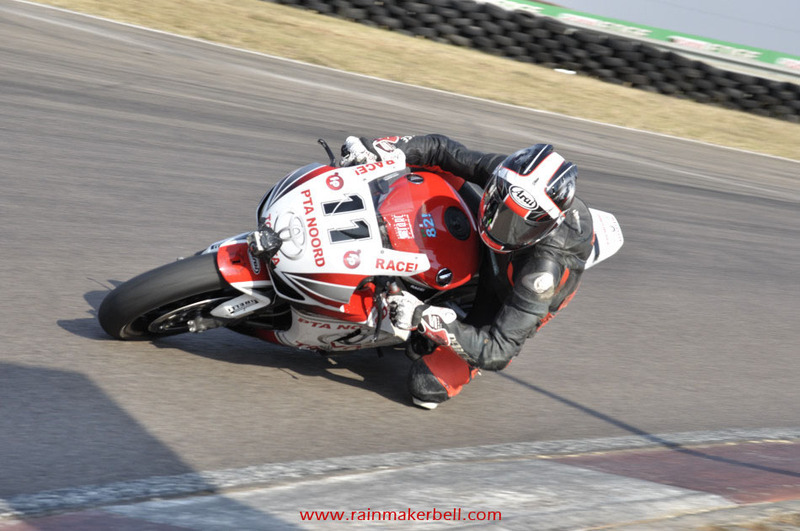 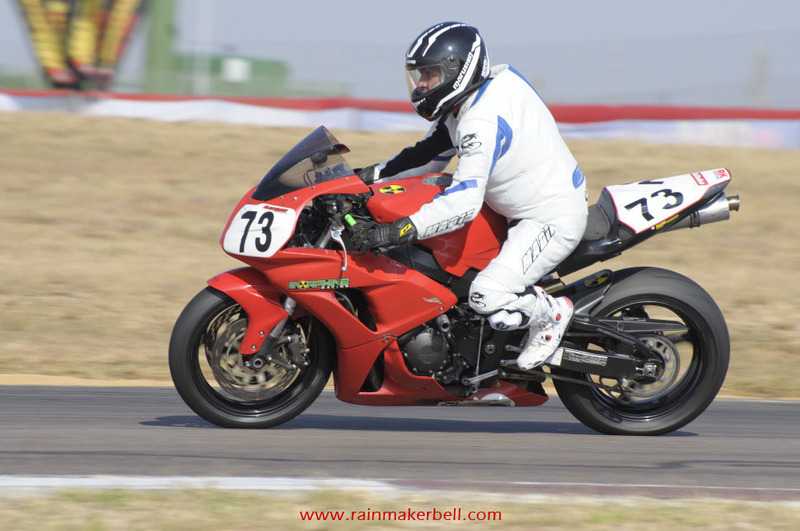 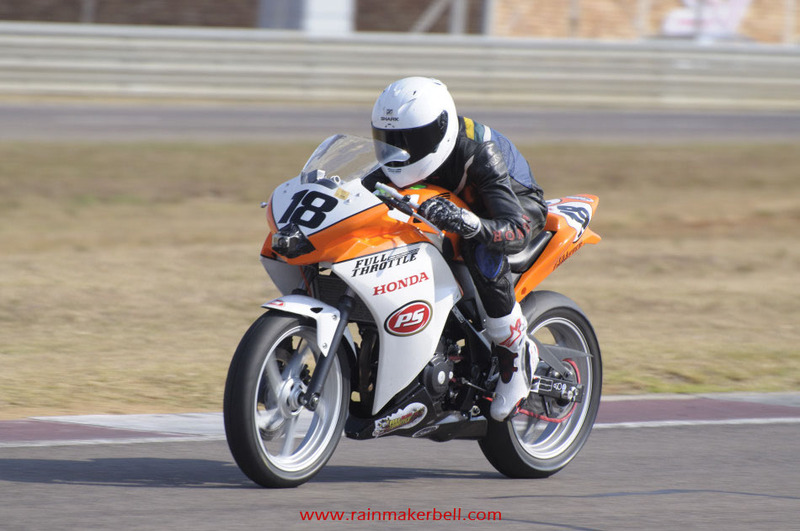 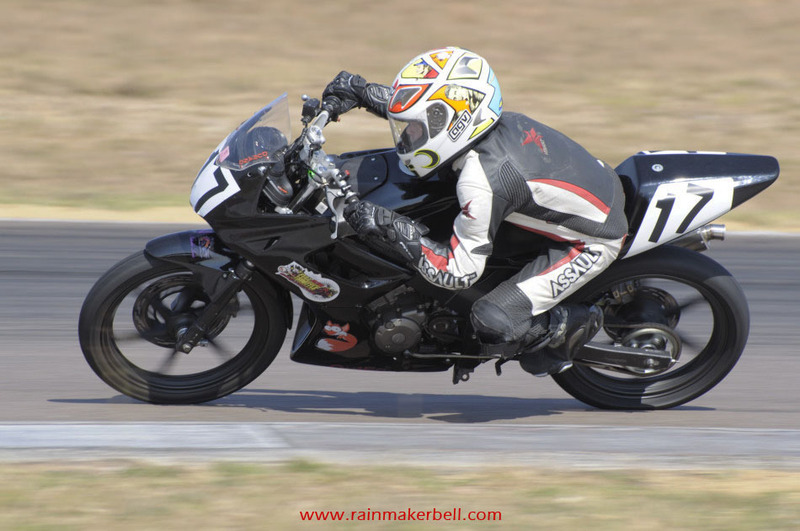 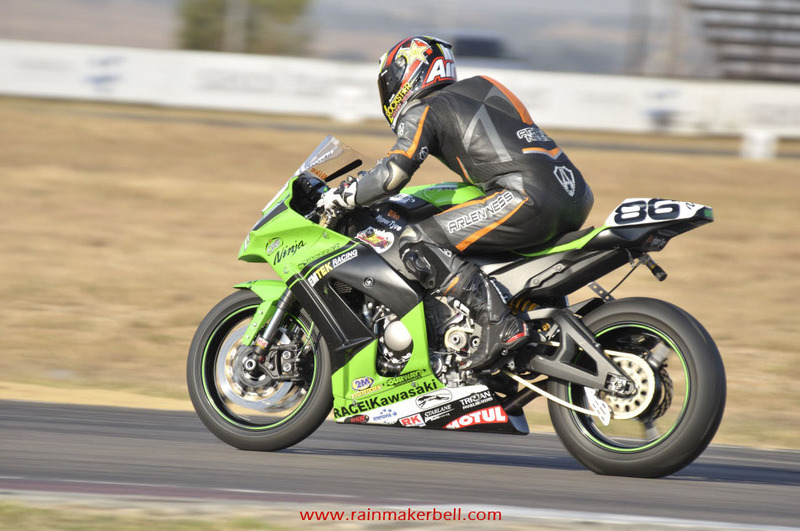 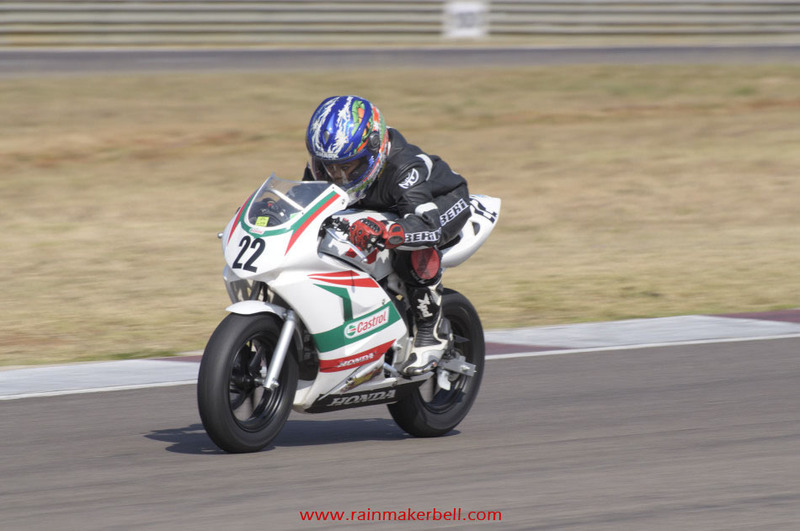 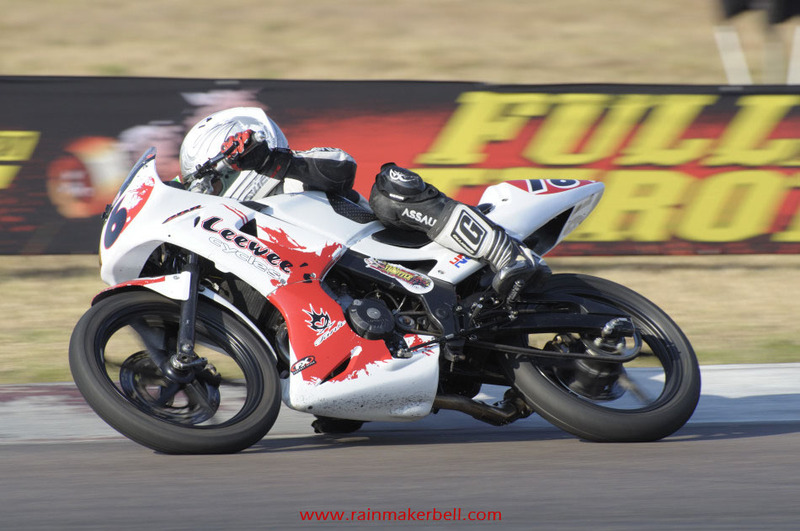 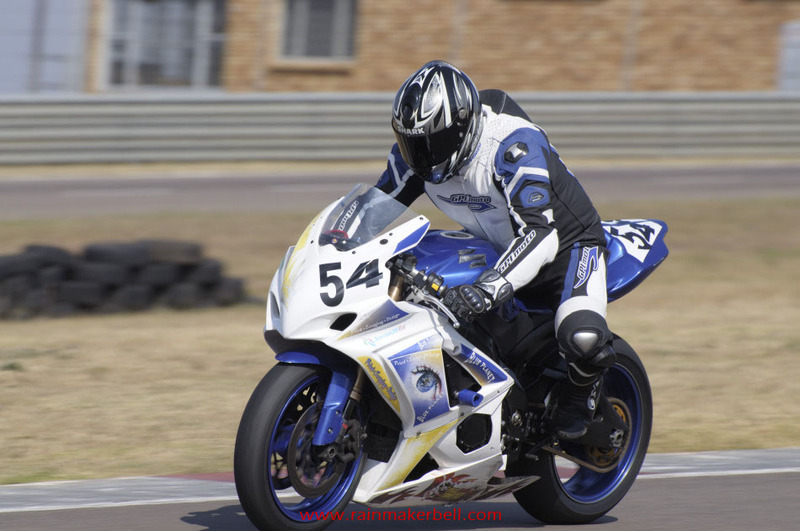 If you have ever experienced the amount of muscle and thunder that gets flaunted (144 kW claimed for the BMW S1000RR) and the speed these jockeys reach, you will also develop a short attention span when it comes to the rest of the classes. 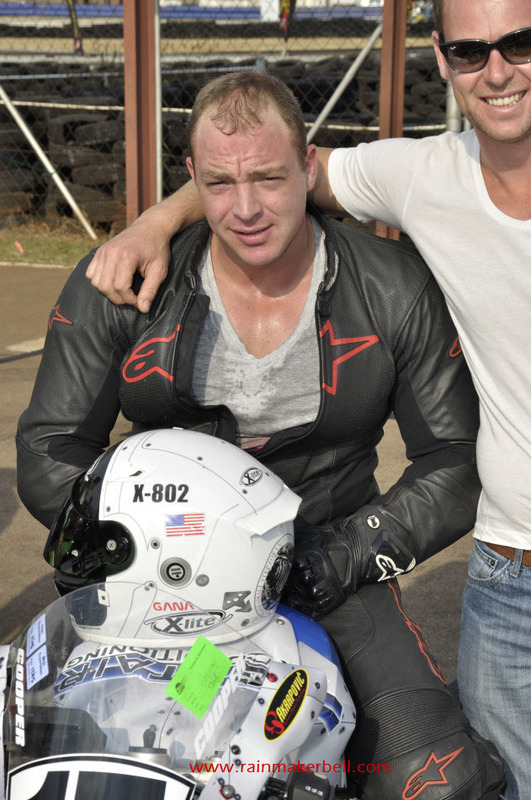 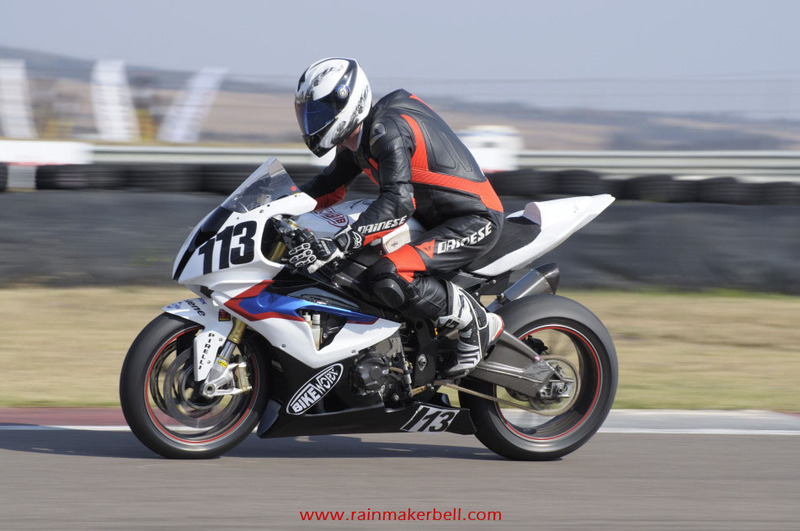 There are two prominent figures battling it out today: The Joker, Nicolas Grobler, on his Silver Dream Machine and arch nemesis, Greg Gildenhuys #1—both waging war on a BMW S1000RR. 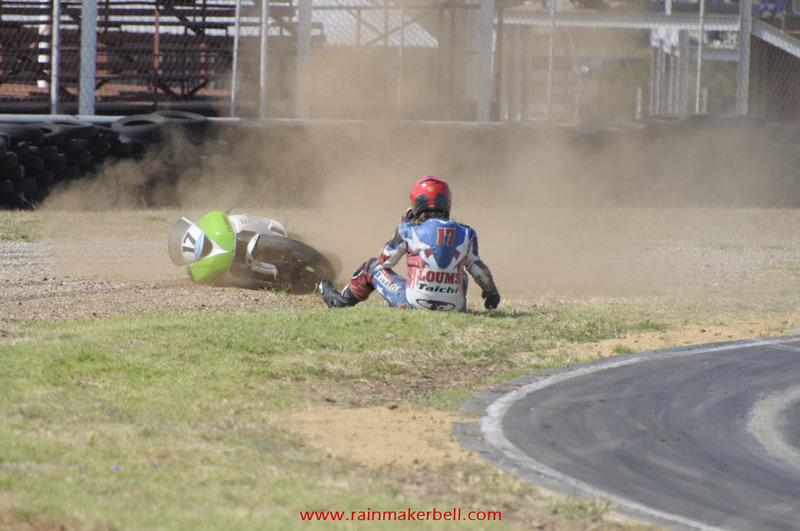 No white flags today—No surrender! 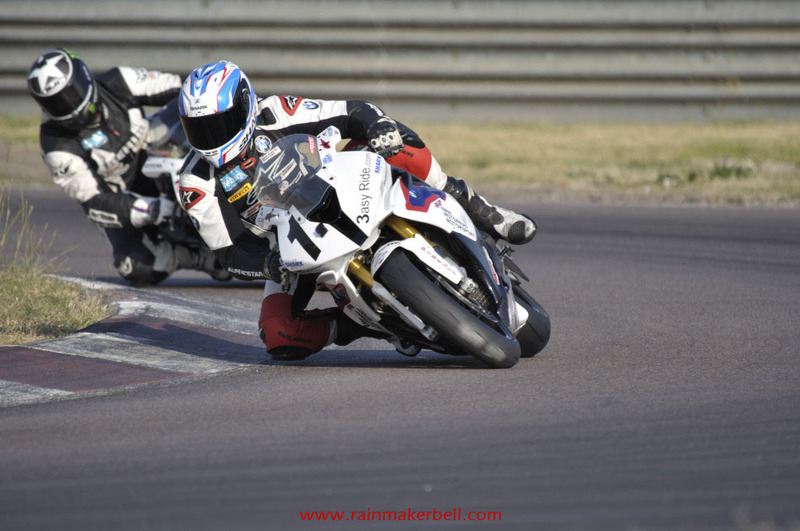 Both of them will roll out on the tarmac with the same muscle (BMW S10000RR); both will roll out with the same goal in mind—first place on the podium. 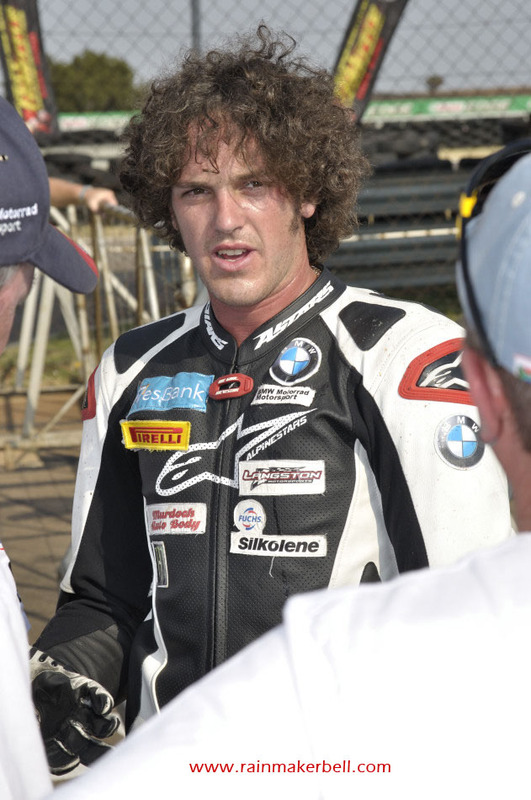 The only thing these two youngsters seem to have in common, besides their superbikes, are their hair styles—Respectfully Super Sic! 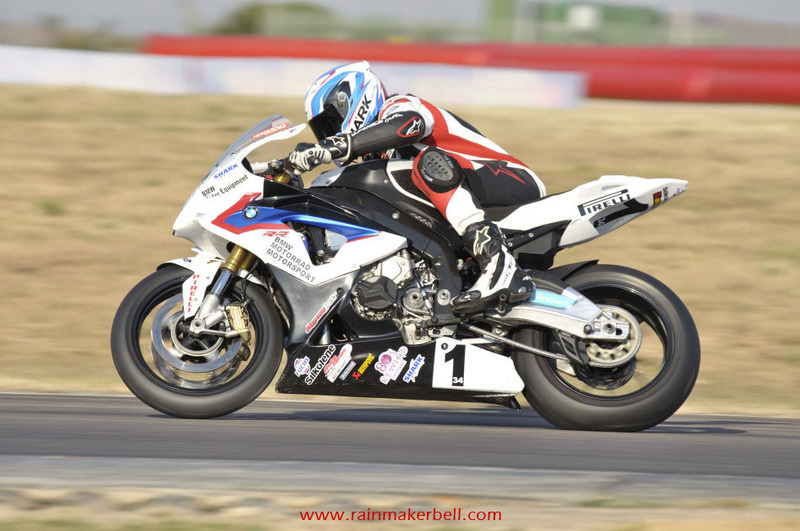 Will the new gleaming skin of the BMW give the Joker the cutting edge he needs for the fierce battle ahead, or does #1, Greg Gildenhuys, have tricks hidden in his Alpinestars race suite... 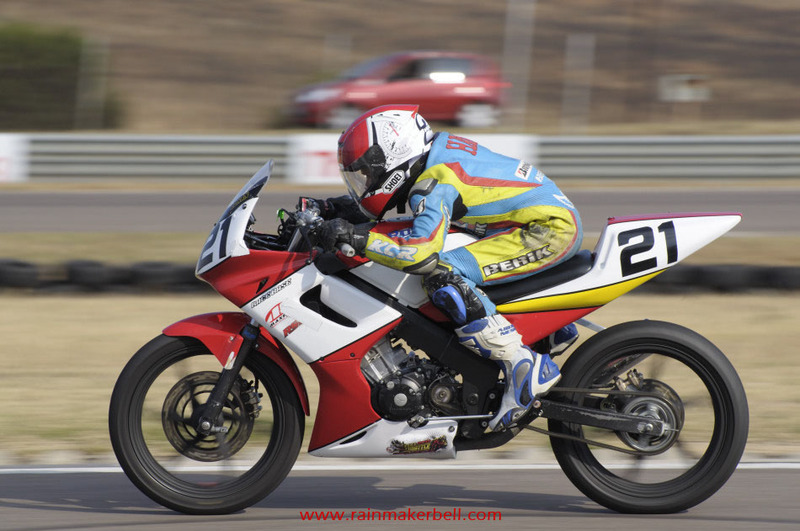 They say that the small things in life can make a big difference. 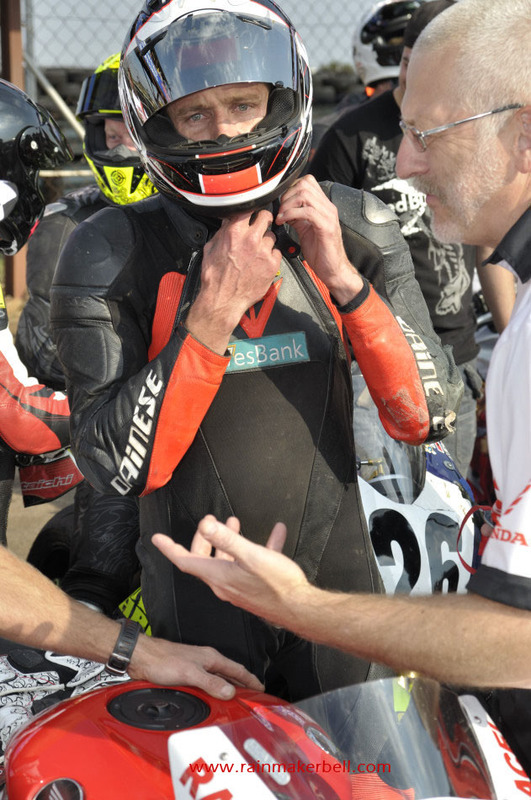 How big I really don't know, but stay tuned for the results. 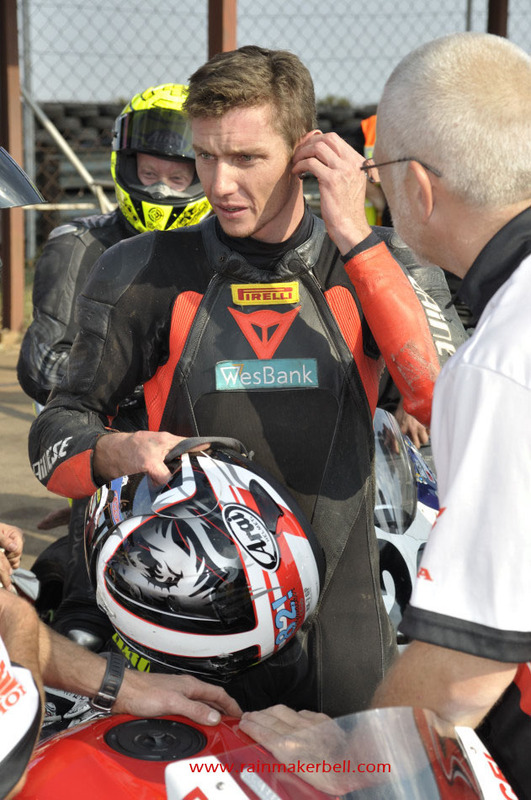 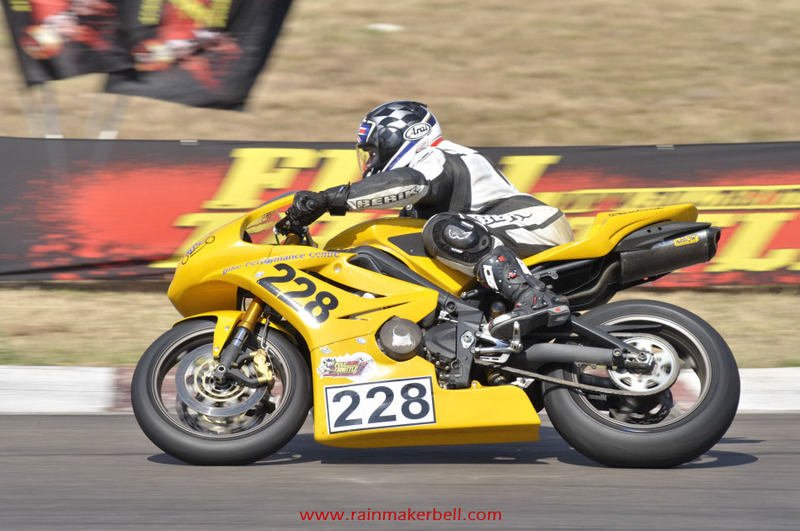 Greg takes the chequered flag—WELL DONE! 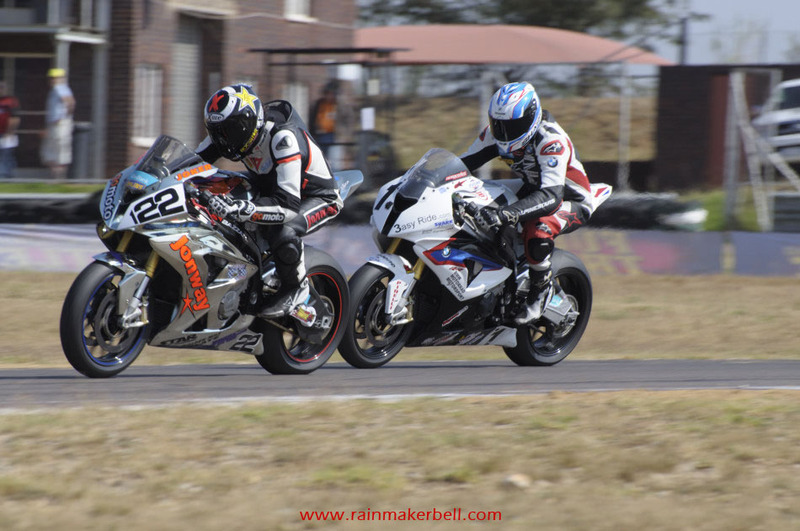 Again the loud thunderous superbike roar indicates the start of heat two and again the Silver Dream Machine (#122/#22) takes the lead. 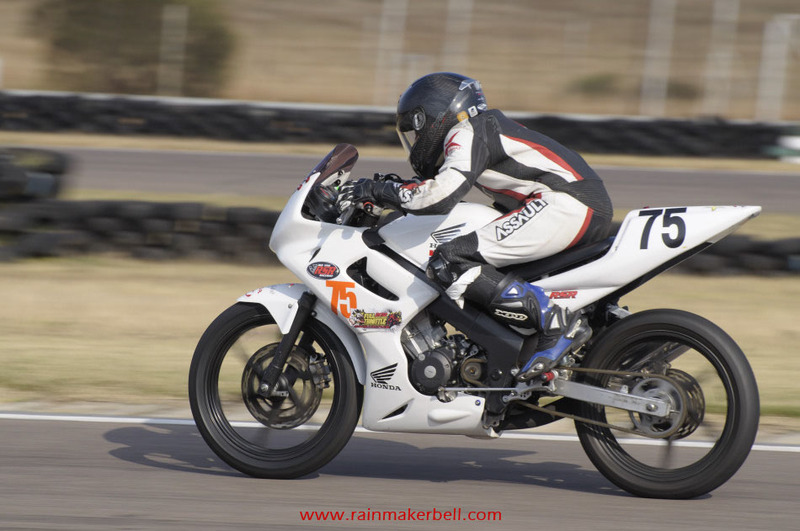 If you thought that Francisco 'Pipin' Ferreras can hold his breath, you should see my attempt, I can do it for almost 10 laps. 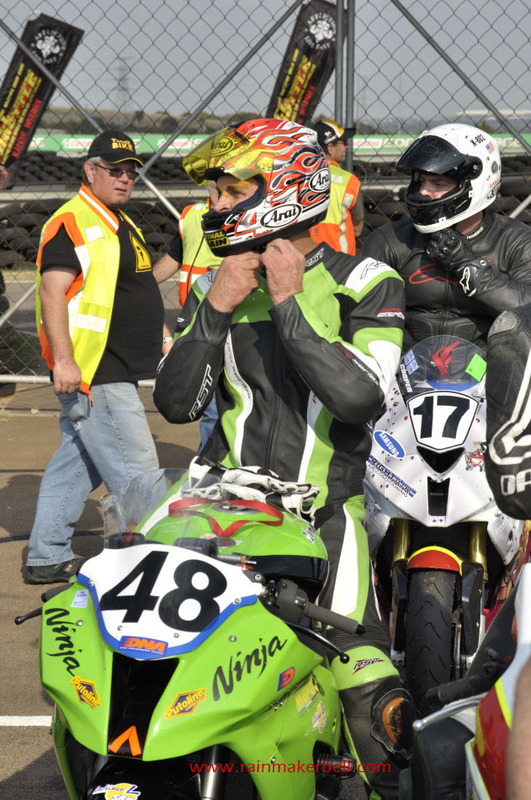 Ten breathless laps of cheering, swearing and strategic mind-bullets—Nicolas takes the gold and I take a deep breath. 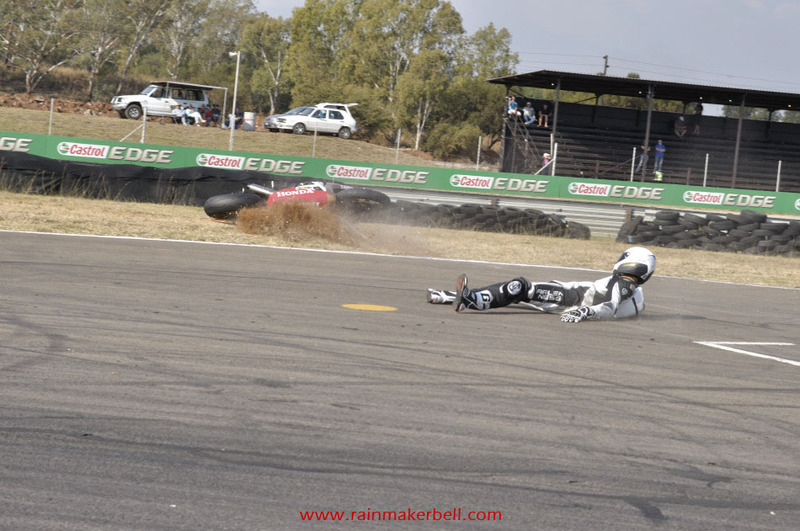 Now they are even. 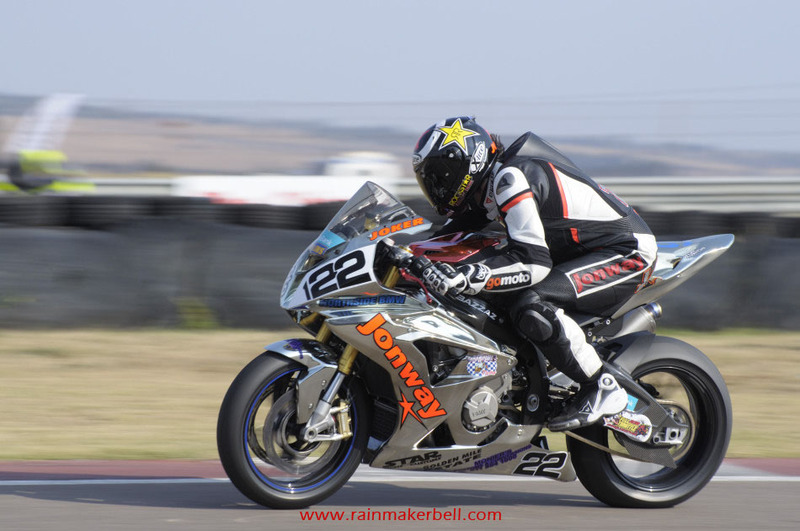 Maybe its because the Silver Dream Machine projects a rather quaint chrome skin (as you are well aware by now, the Joker, Nicolas Grobler, has turned his beloved Ballistic BMW S1000RR into a rather shiny affair. 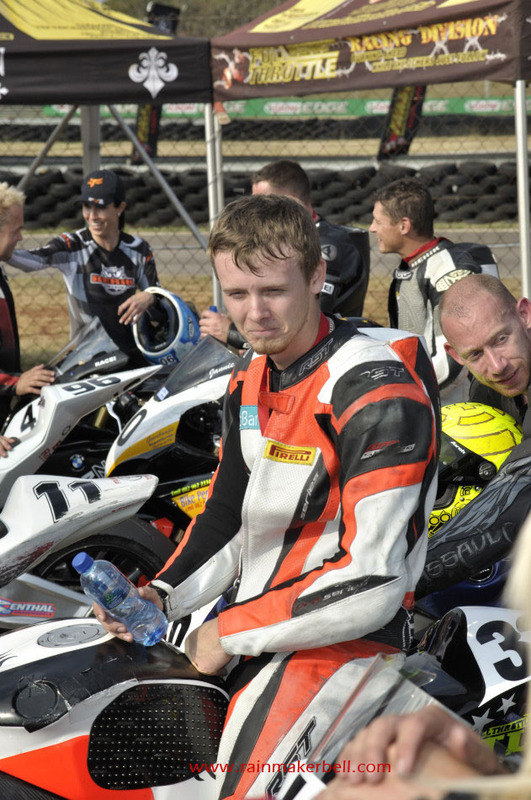 Wonder how David Essex would respond to this?) 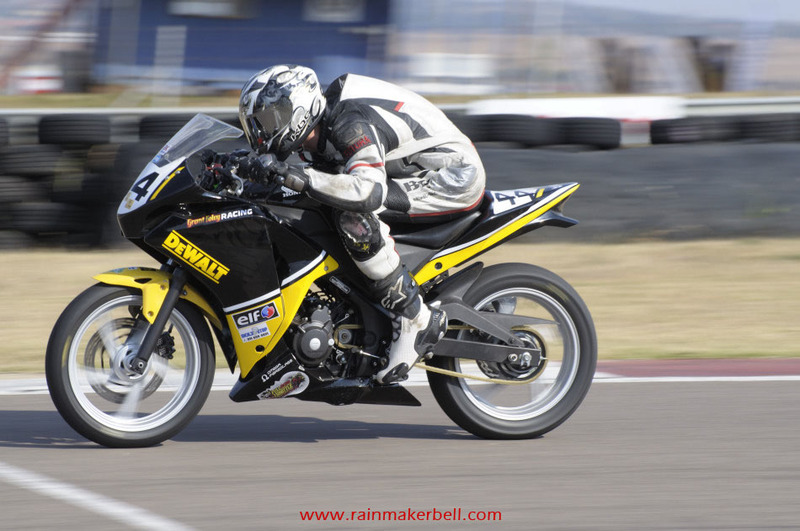 or maybe perseverance was the key factor all along. 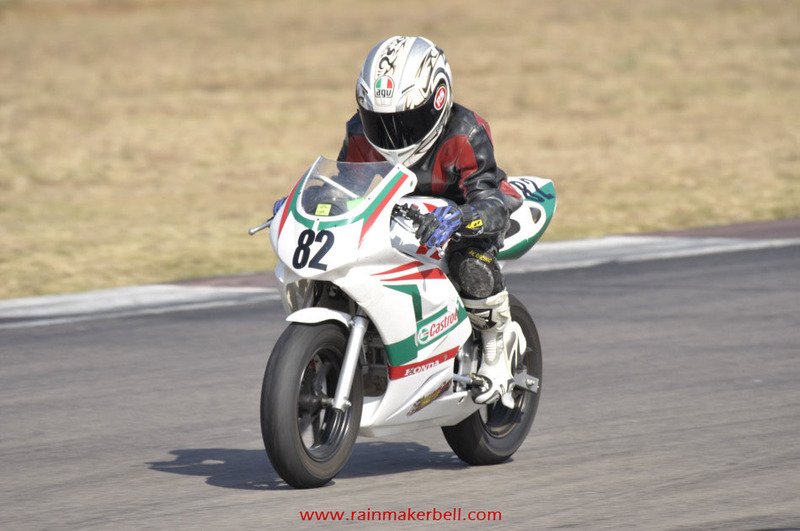 What ever it was—WELL DONE Nicolas! 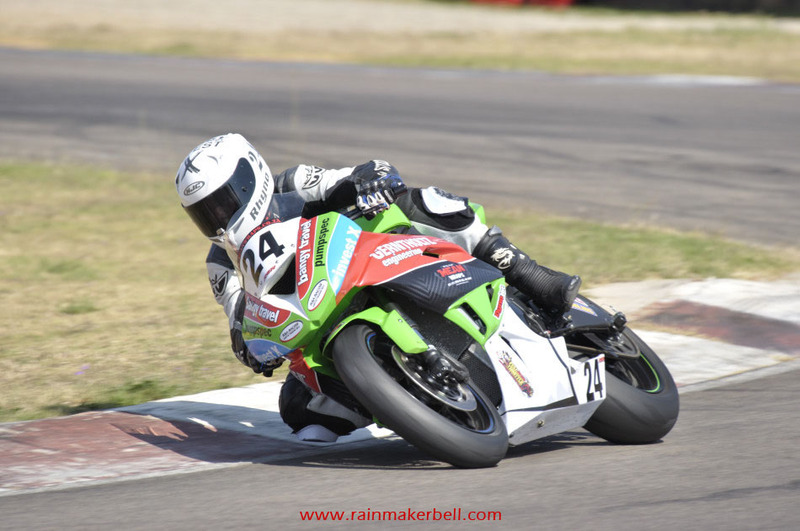 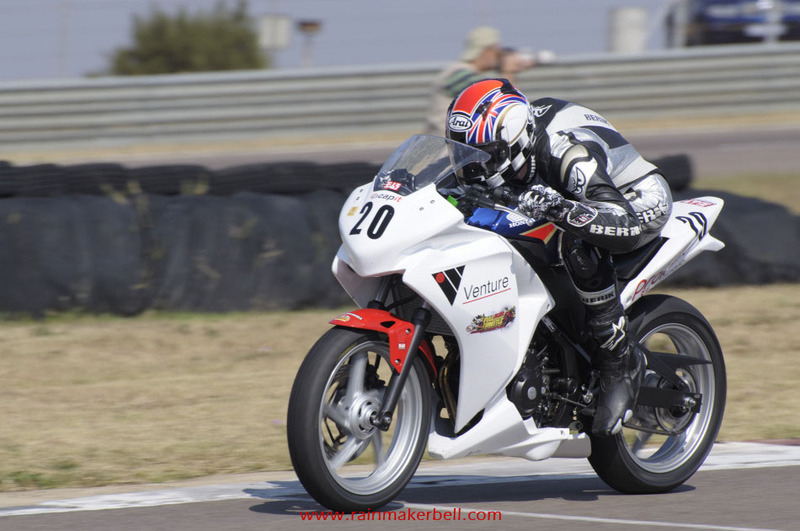 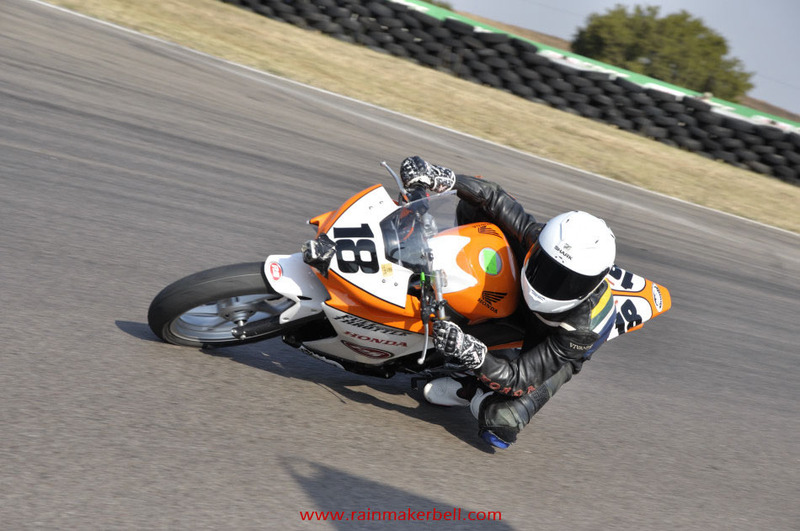 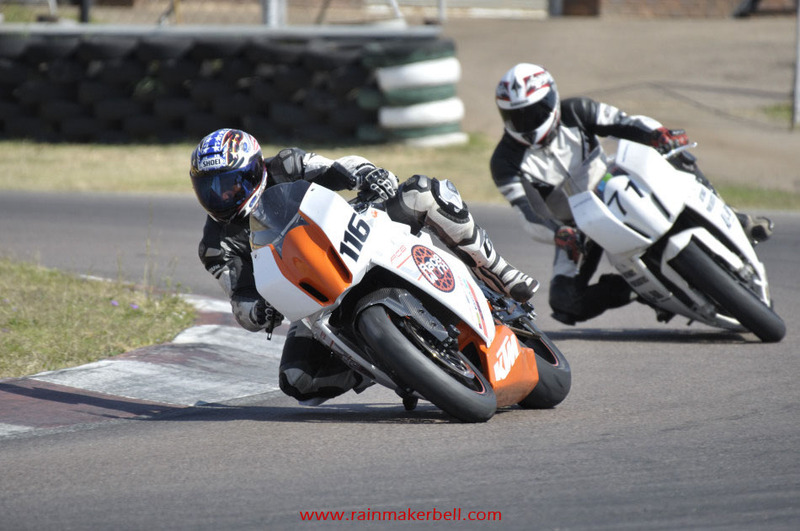 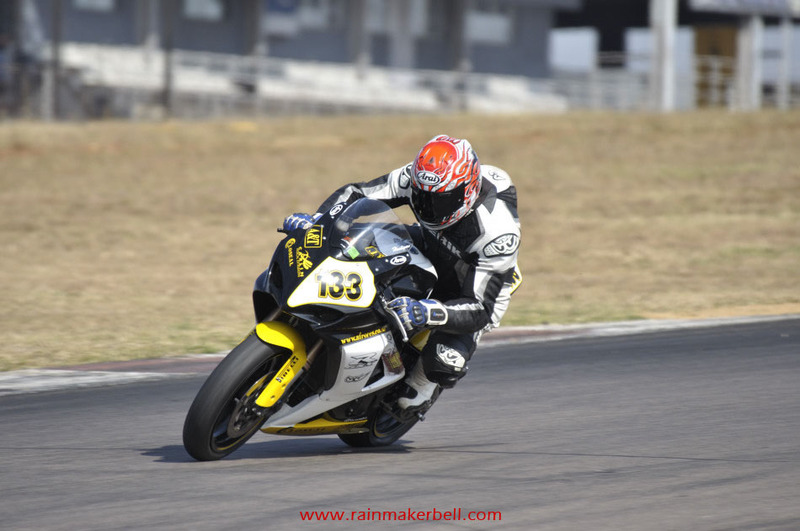 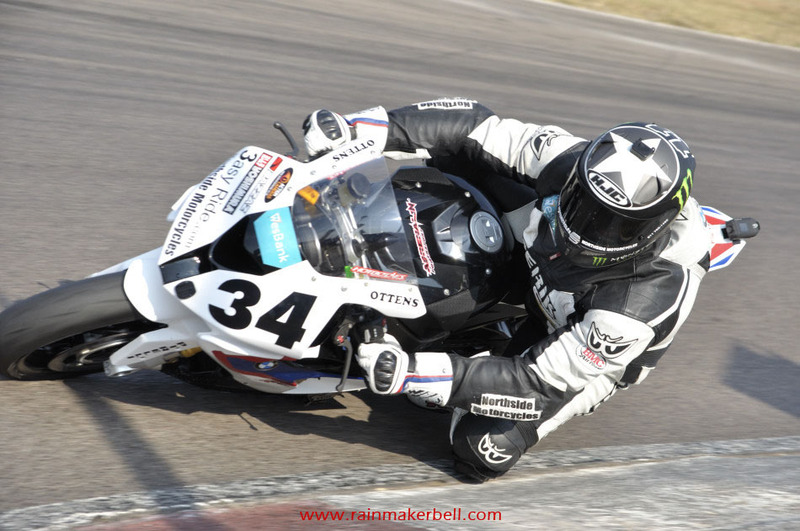 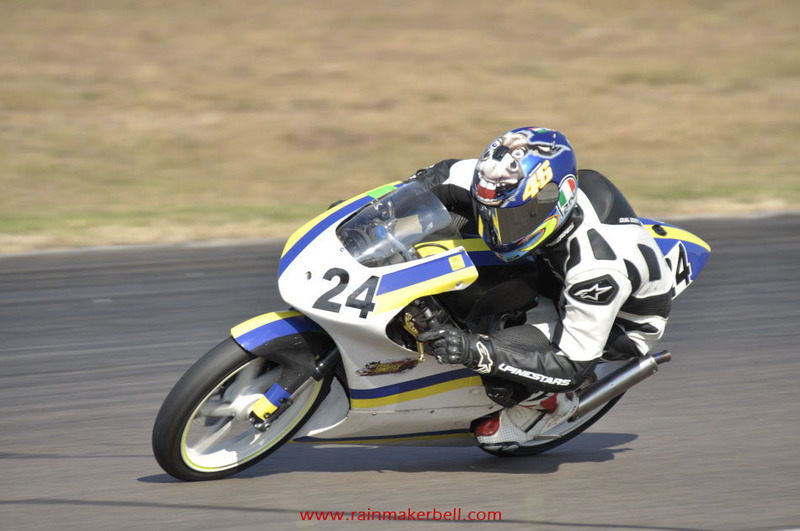 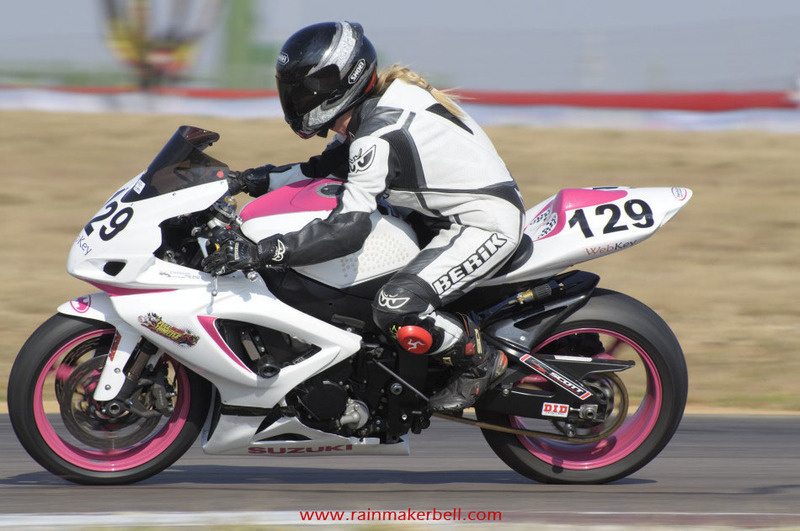 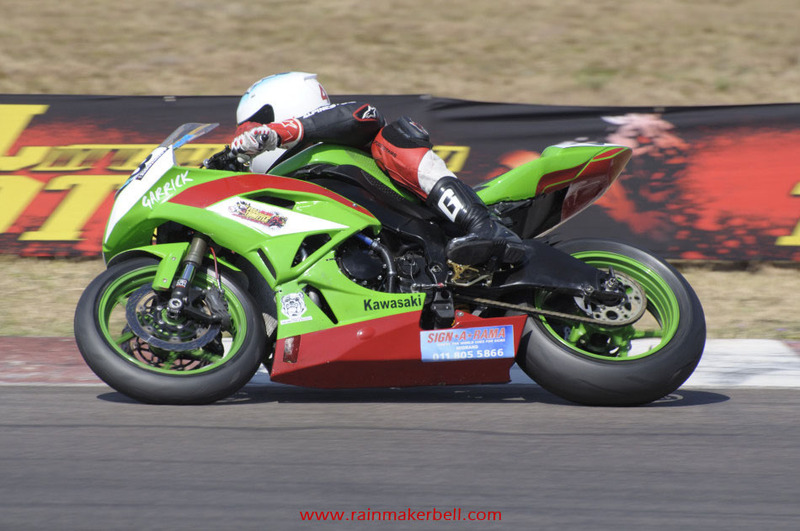 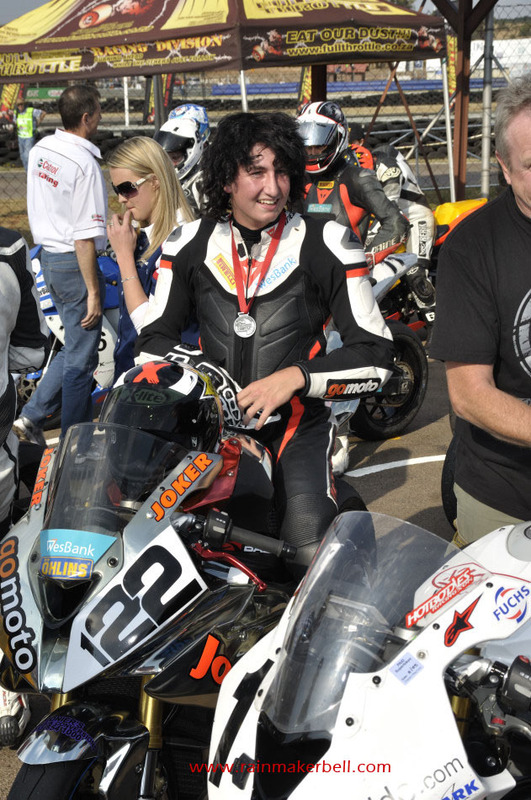 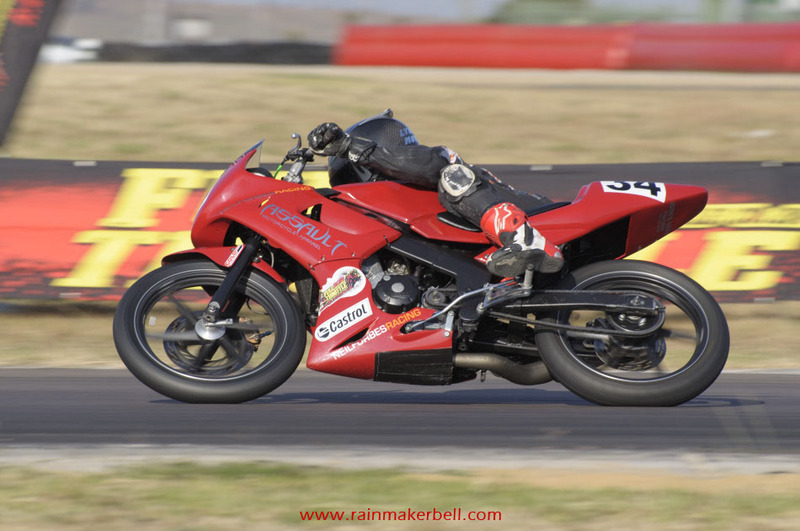 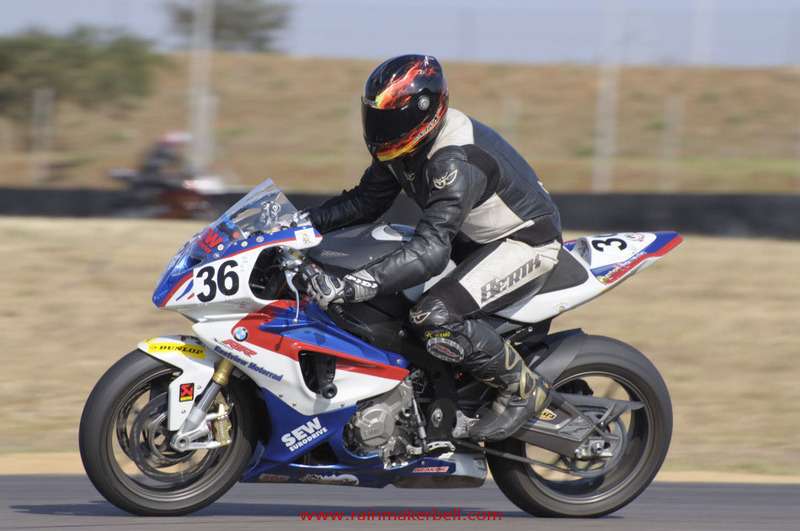 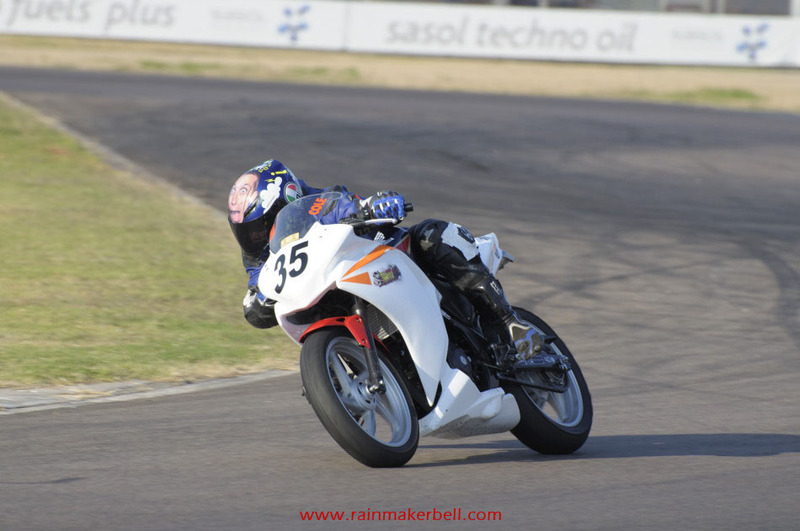 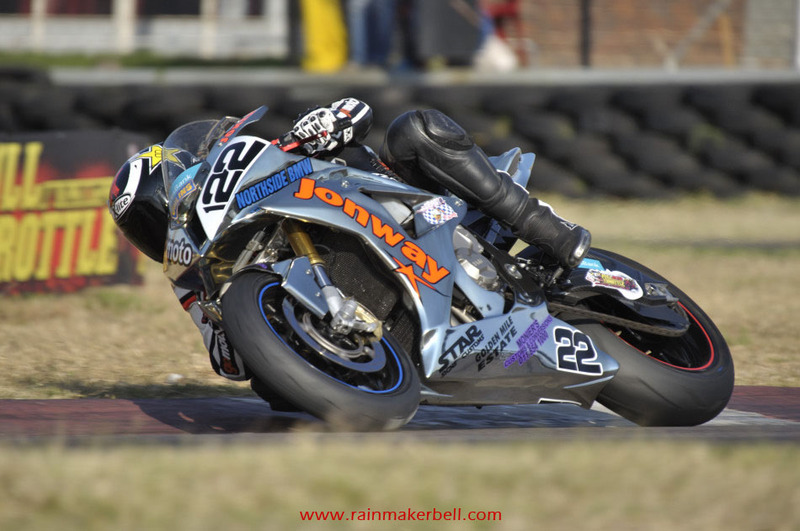 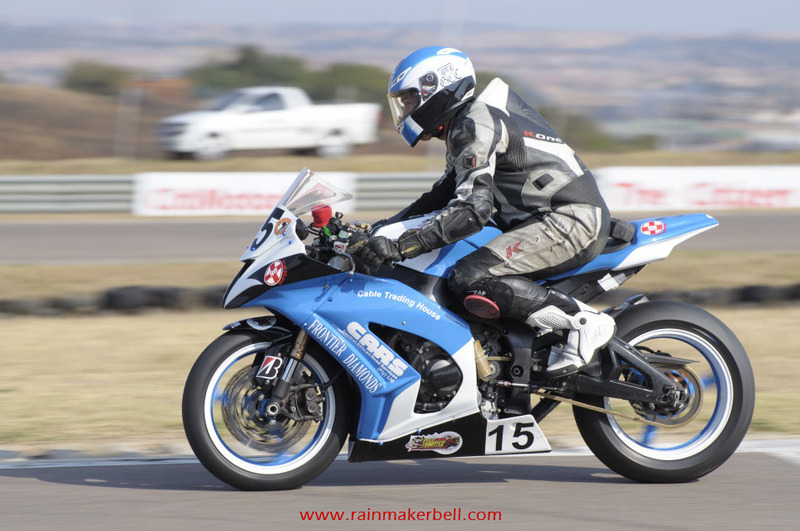 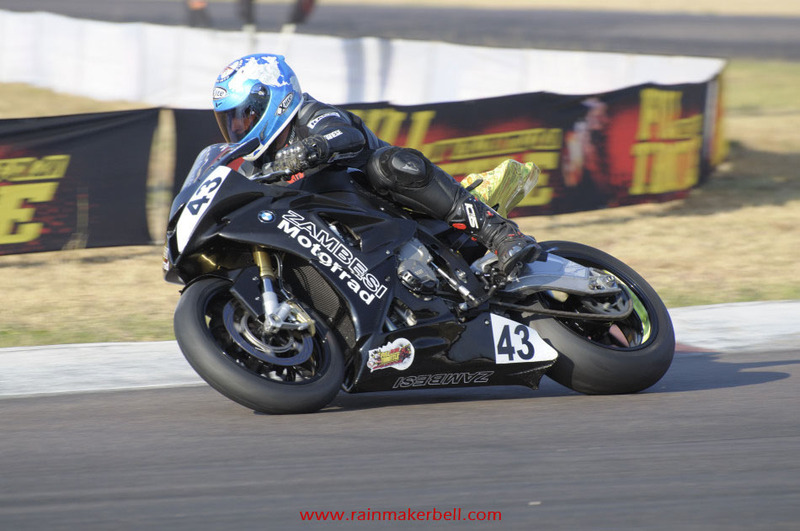 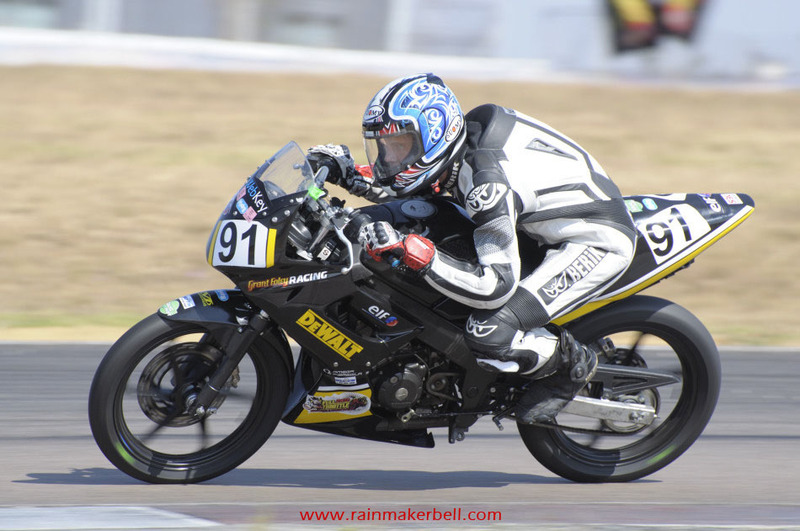 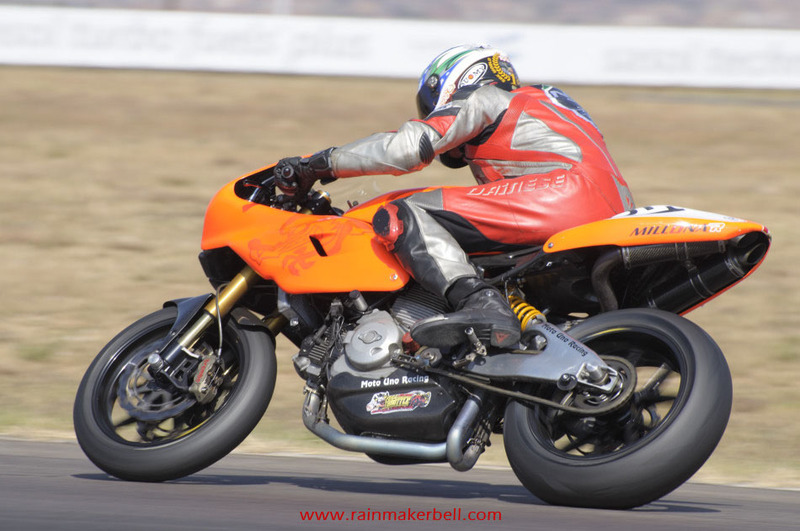 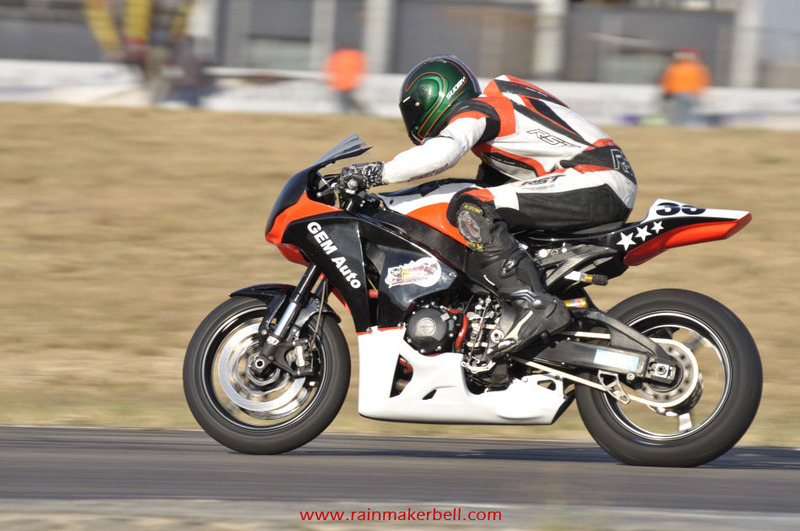 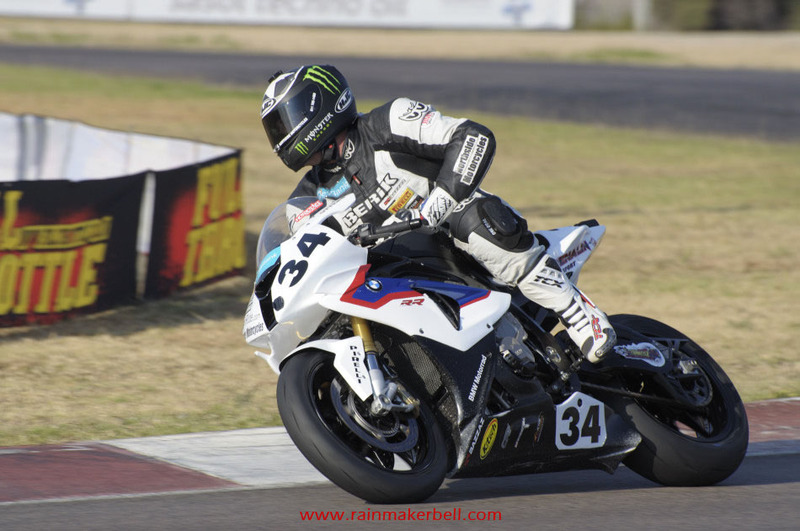 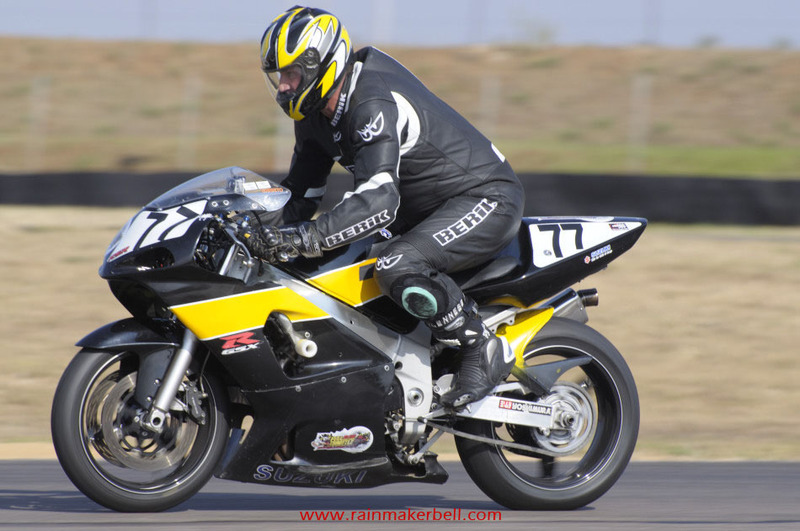 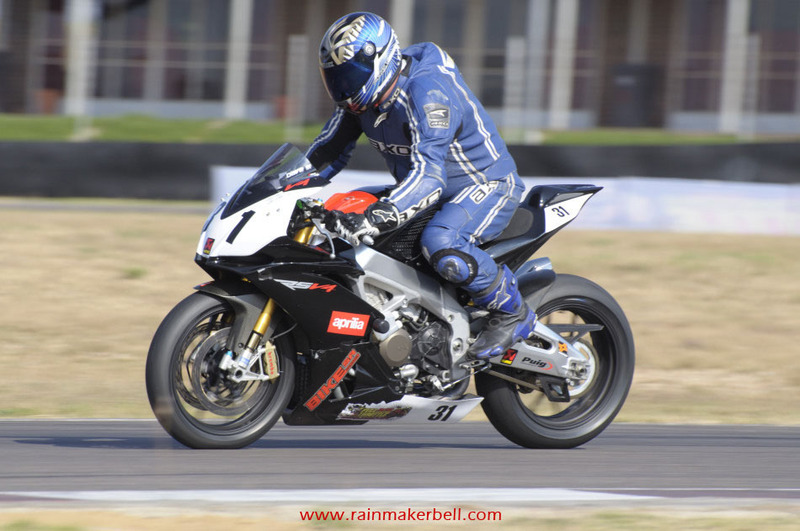 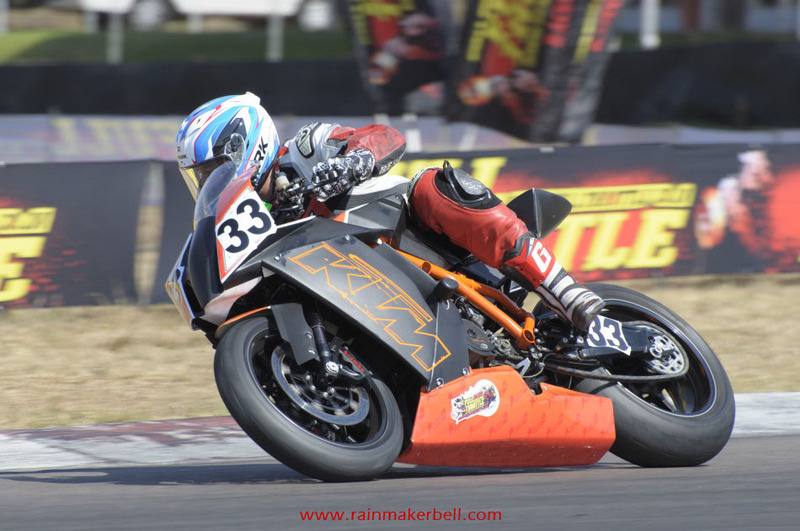 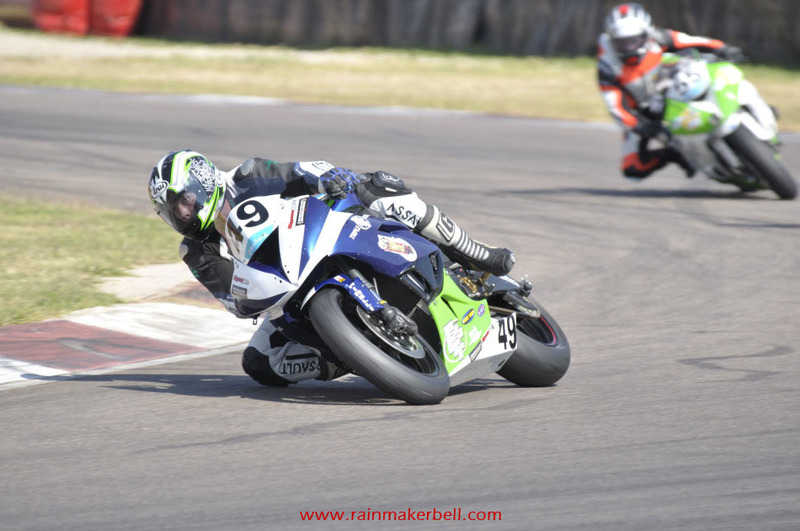 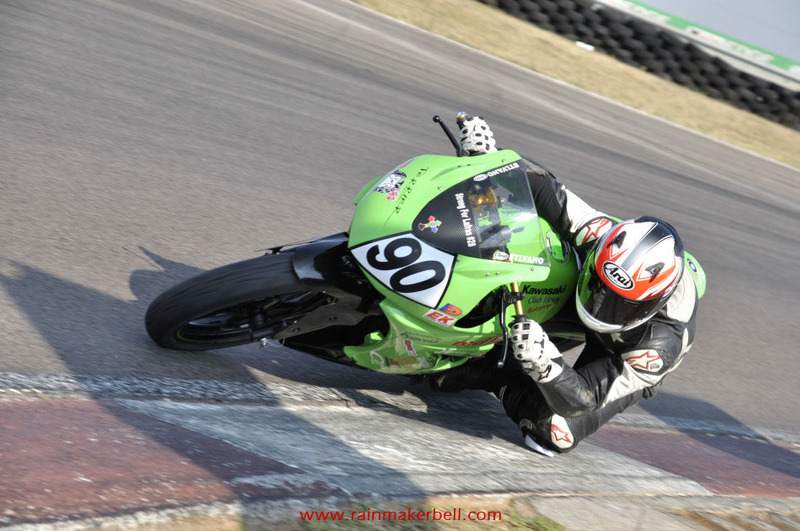 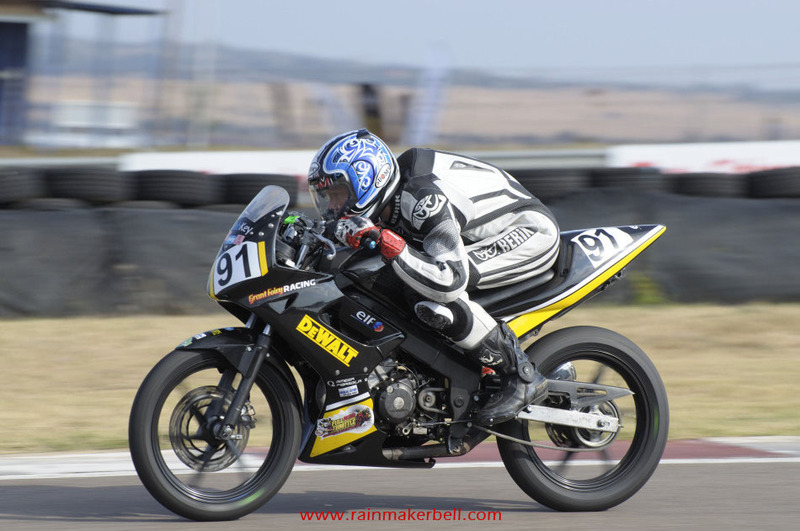 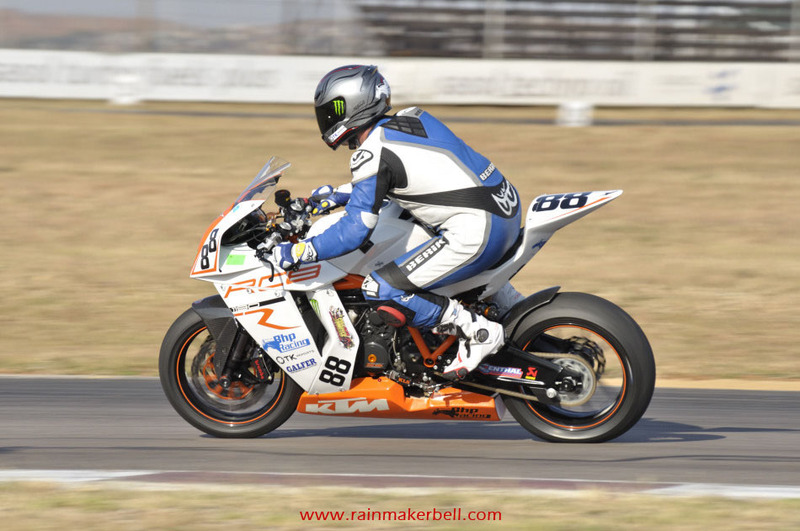 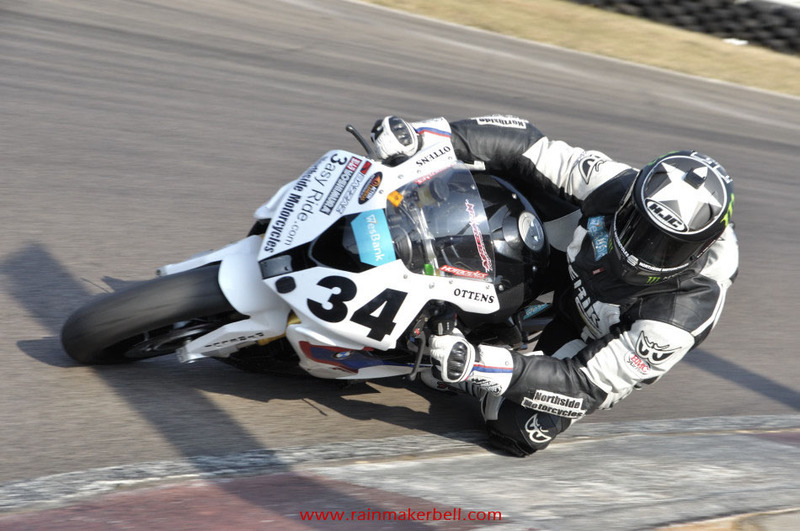 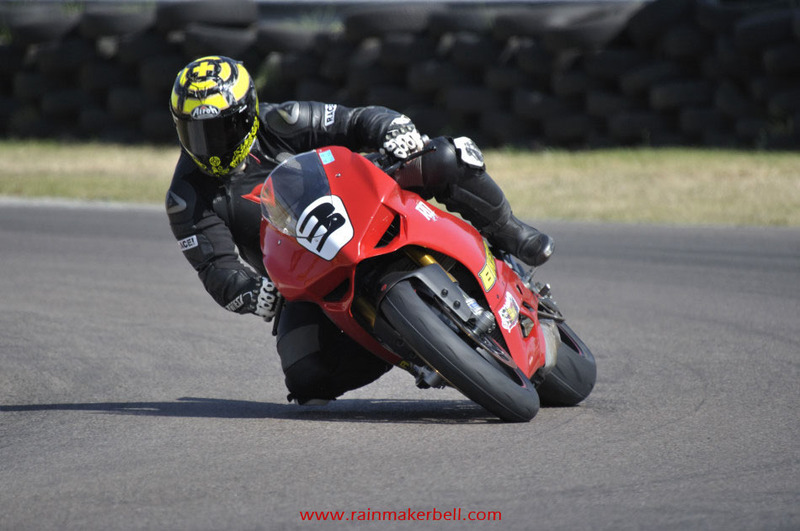 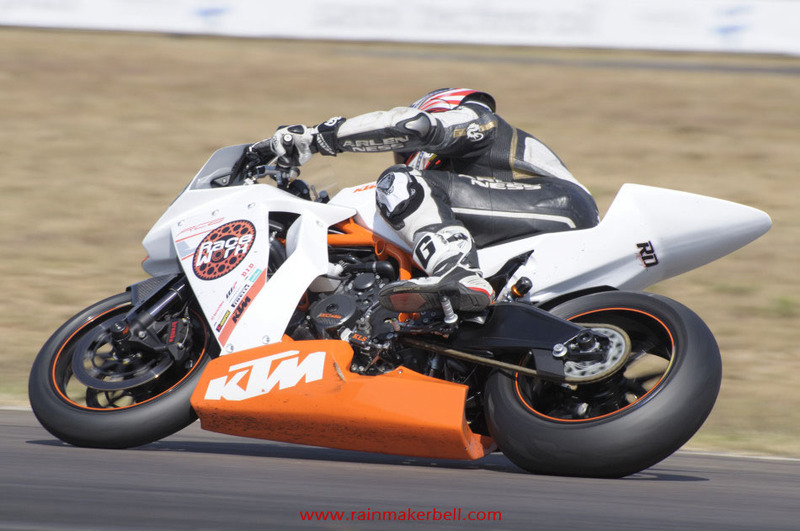 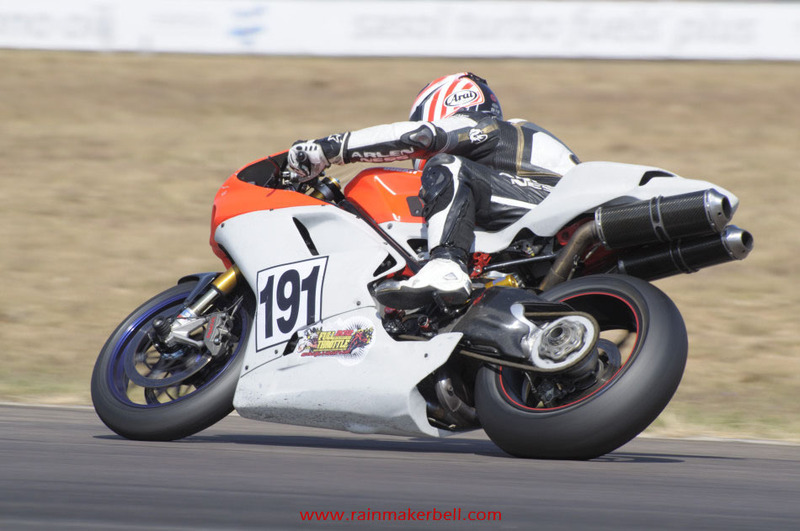 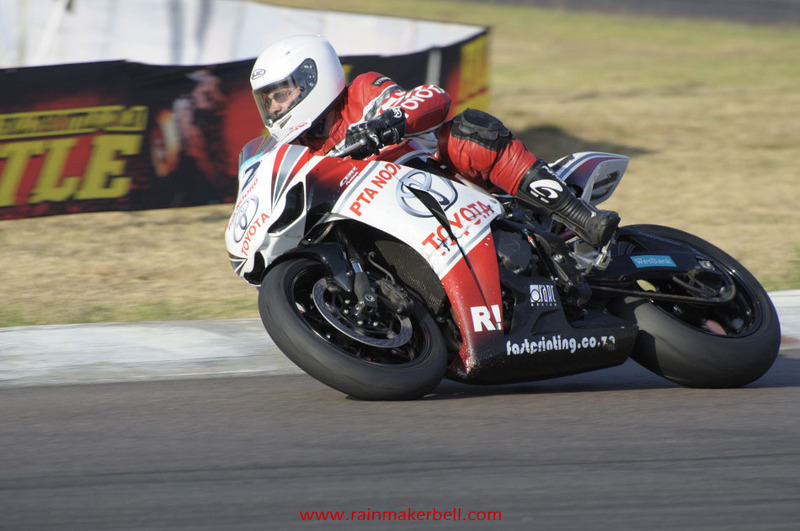 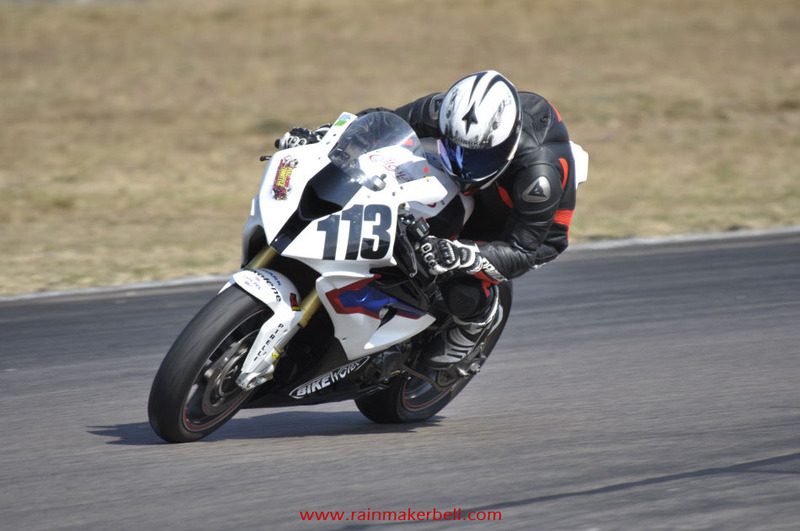 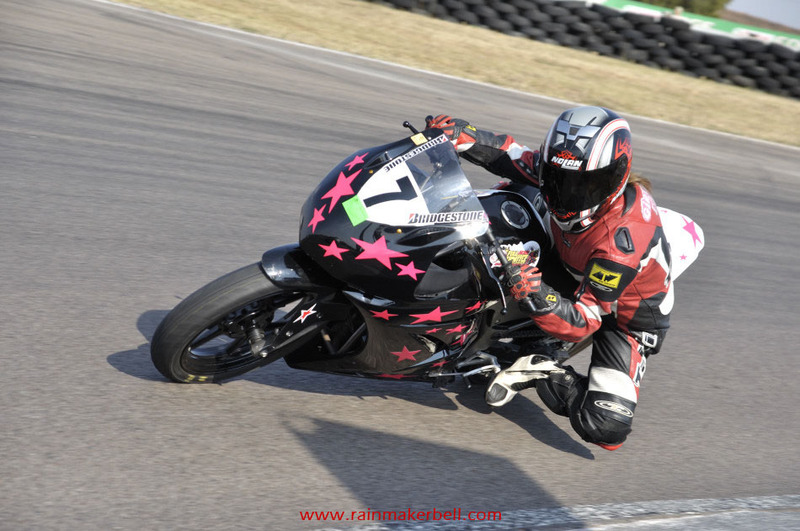 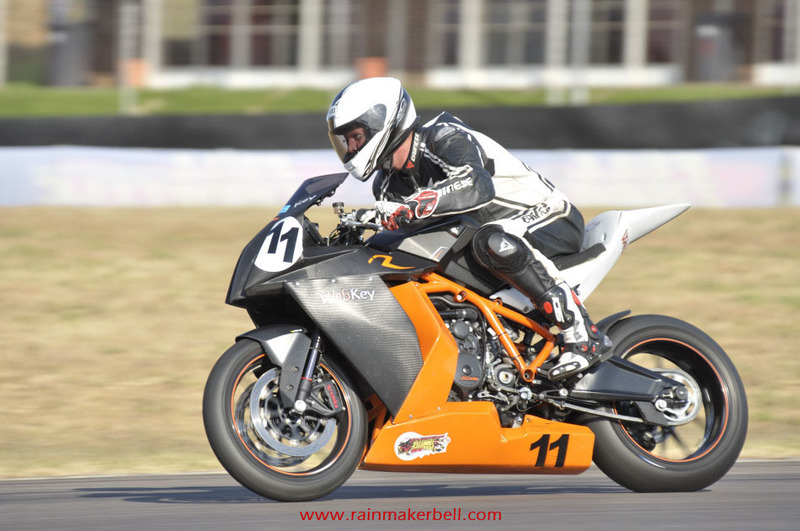 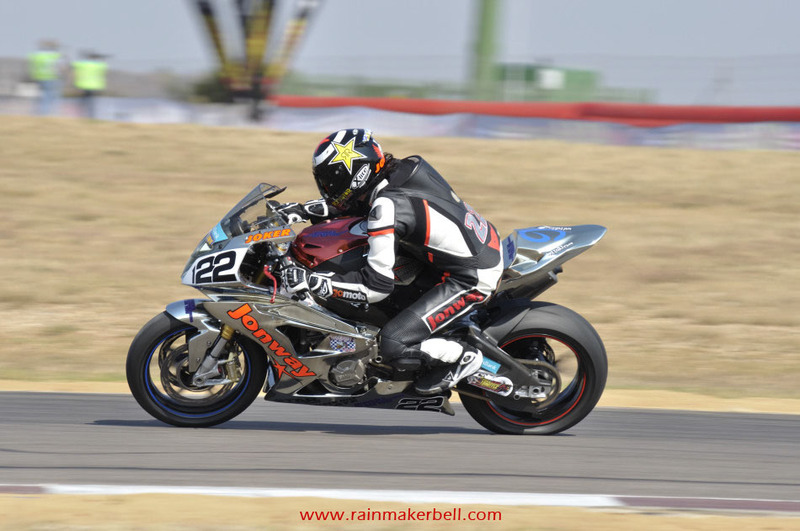 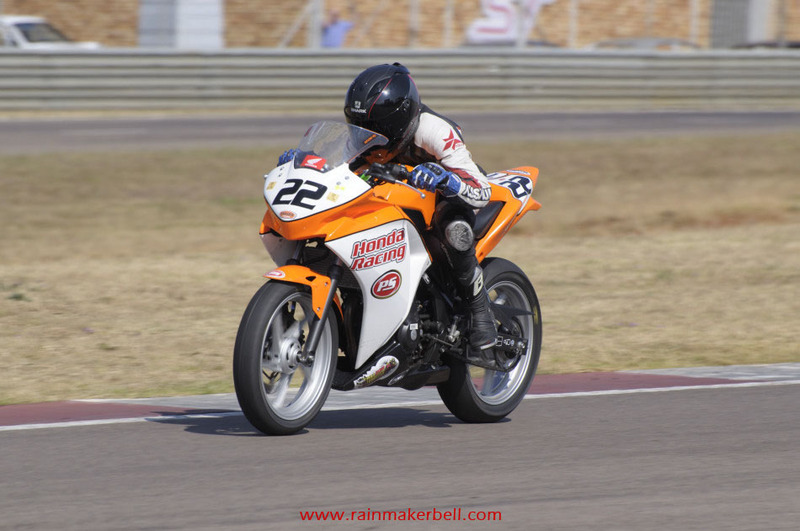 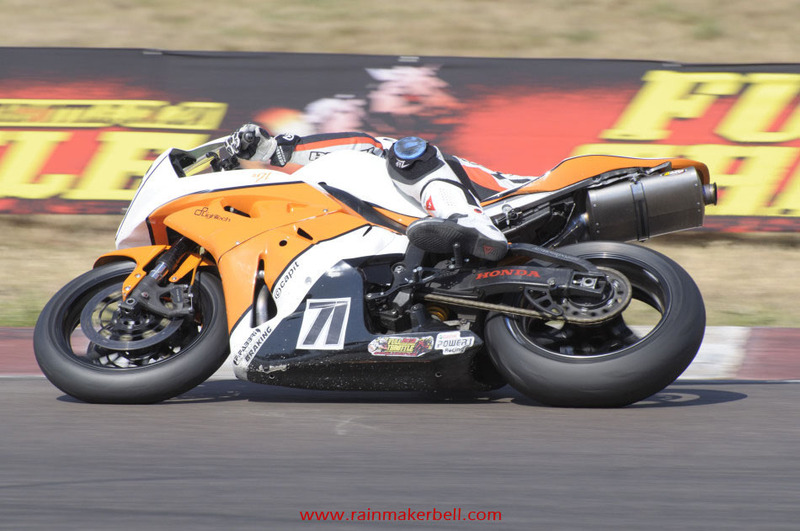 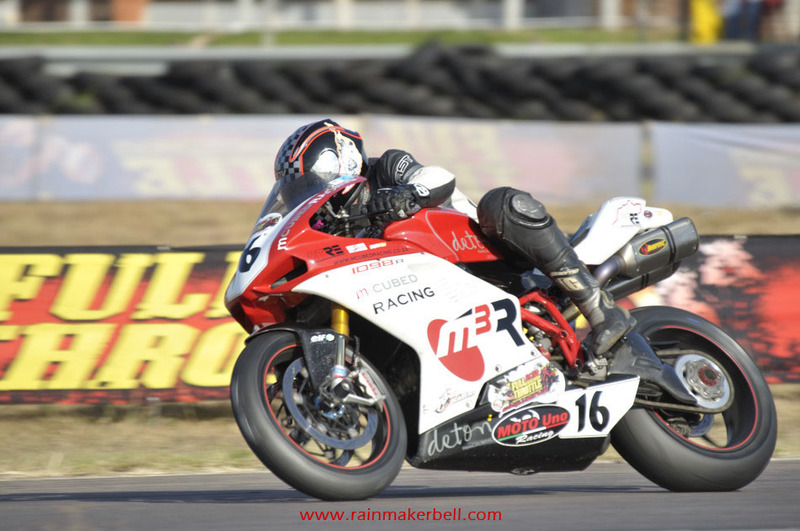 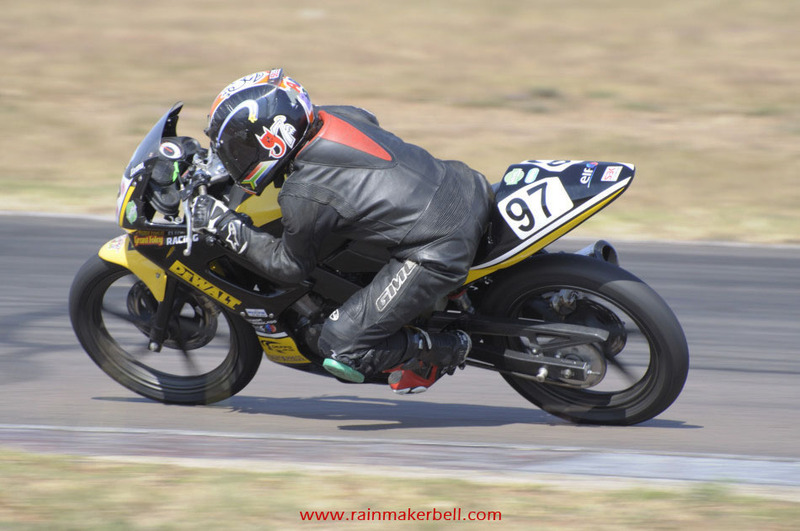 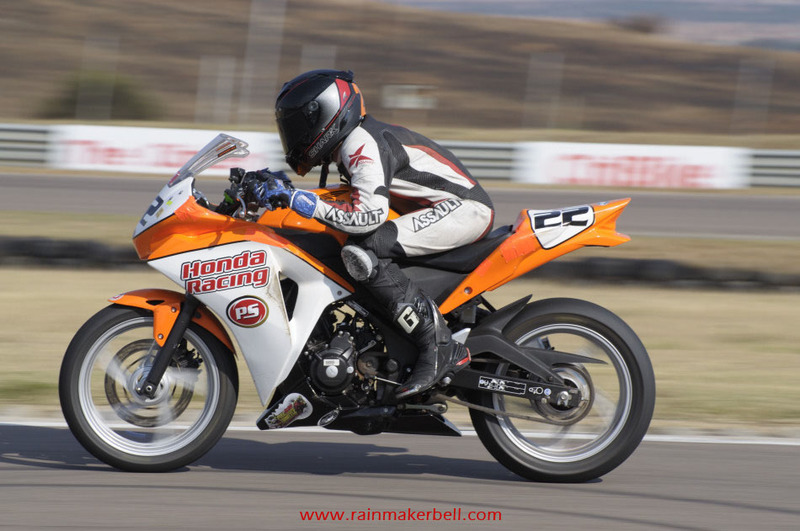 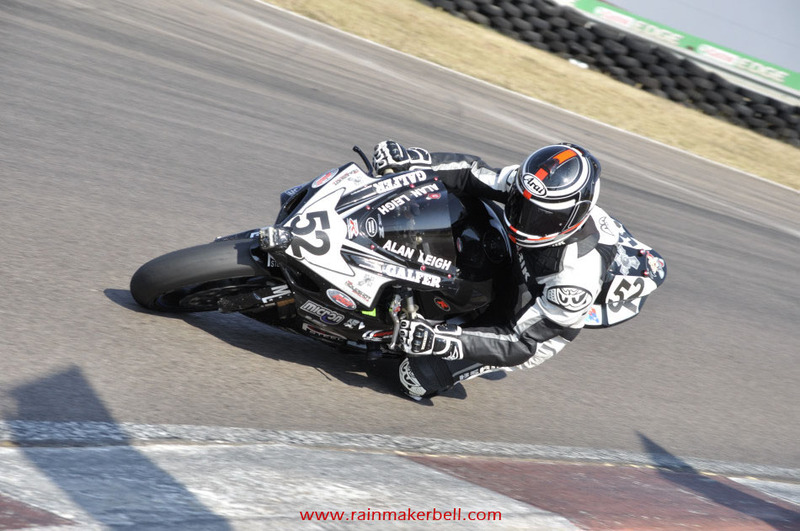 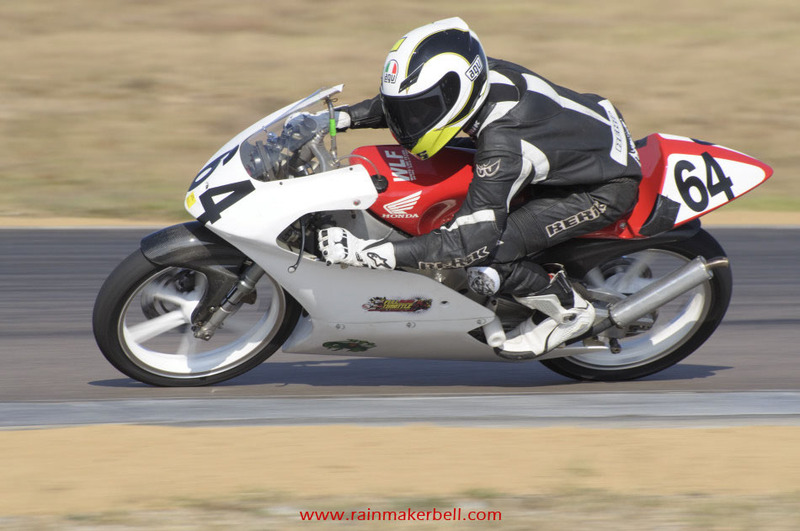 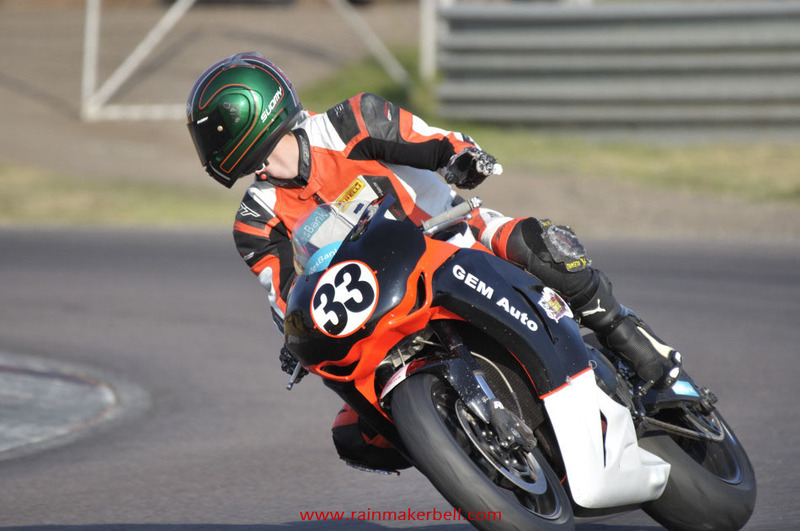 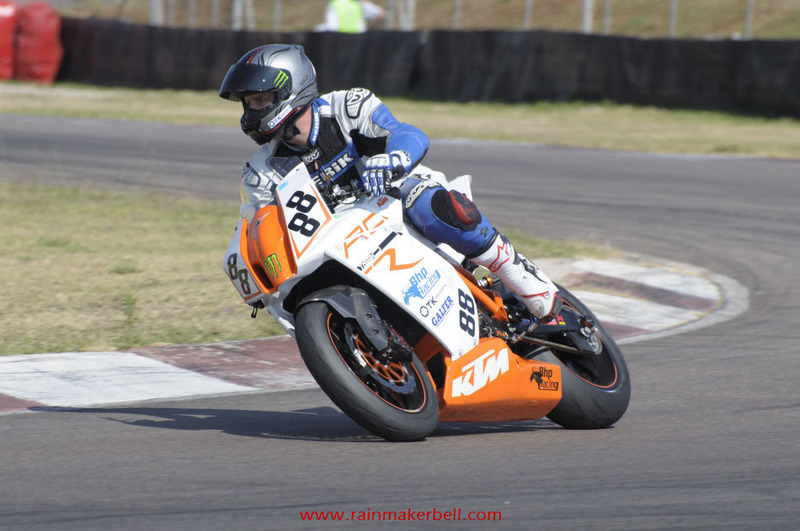 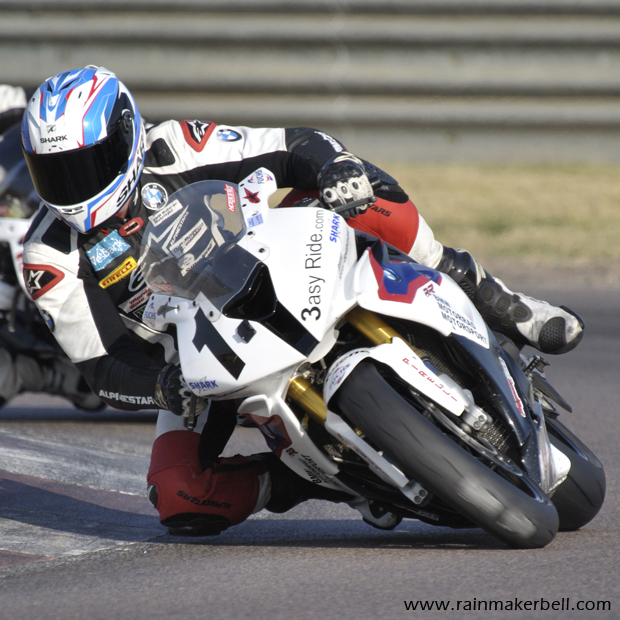 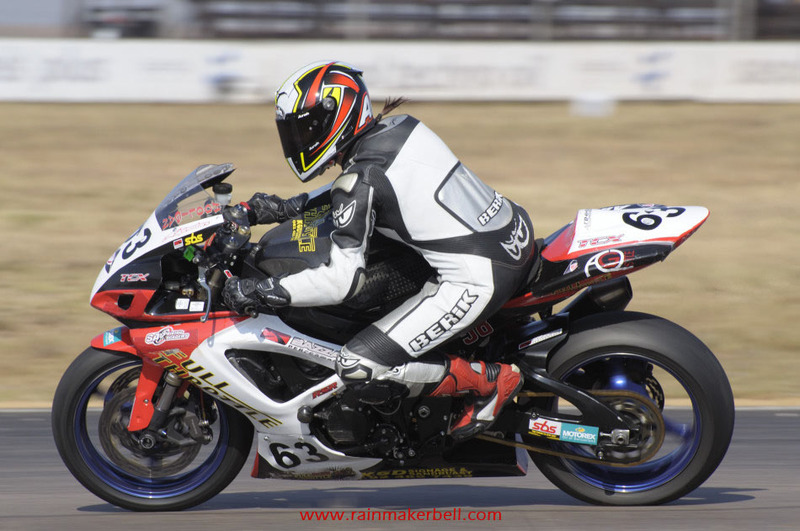 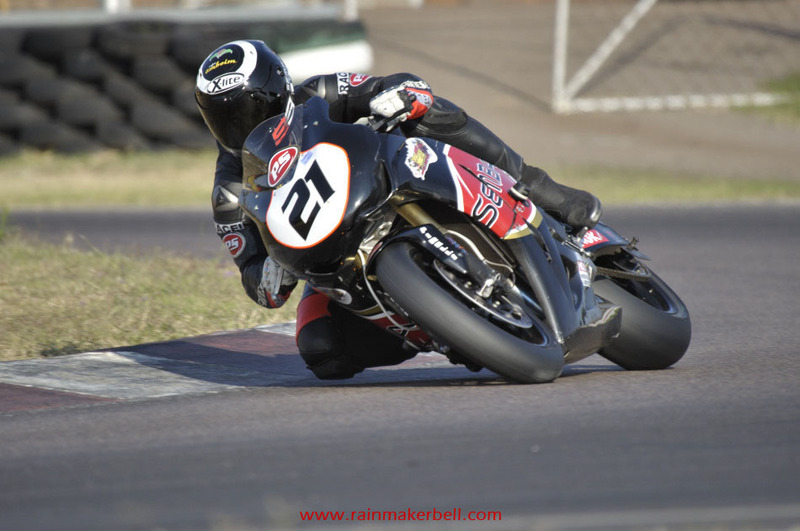 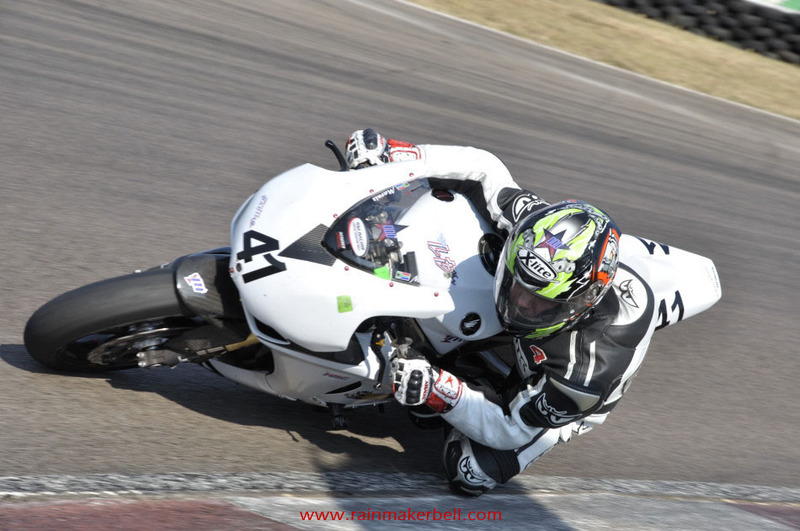 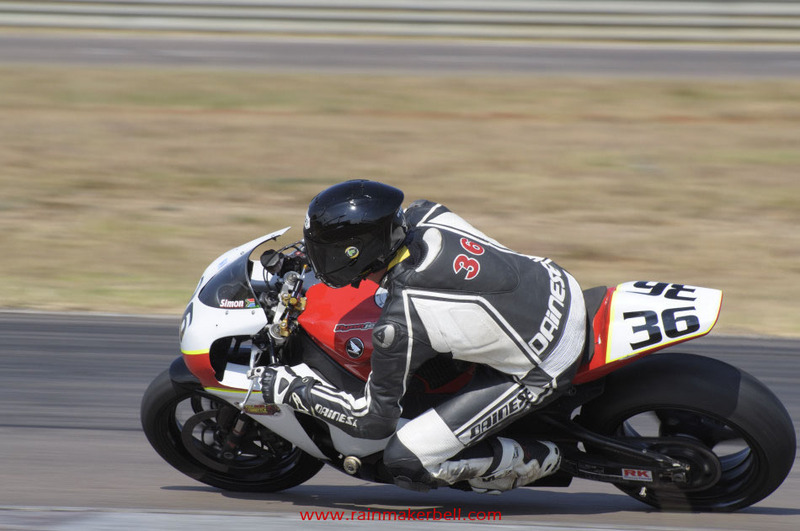 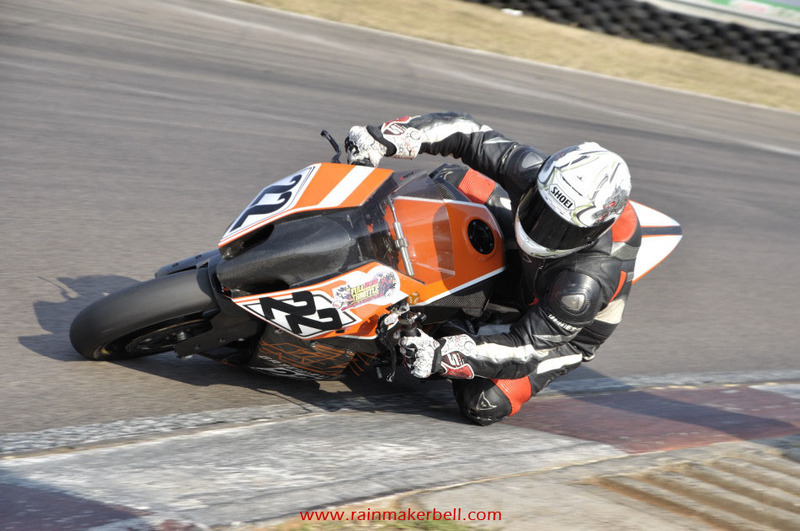 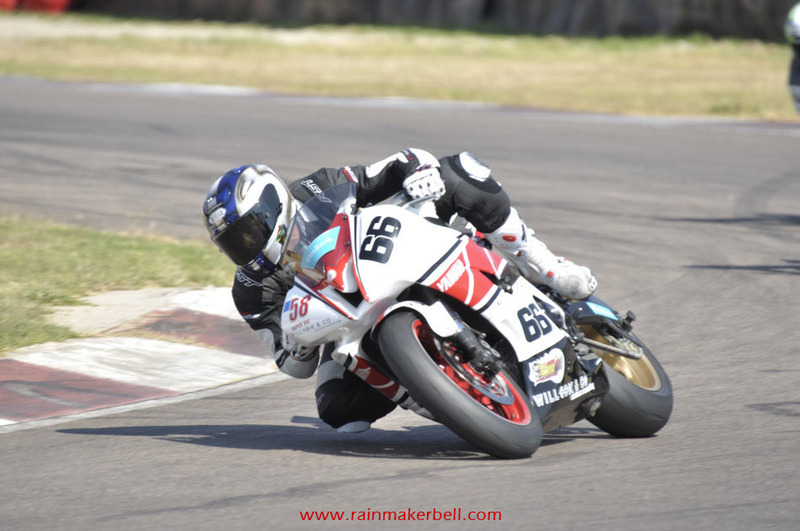 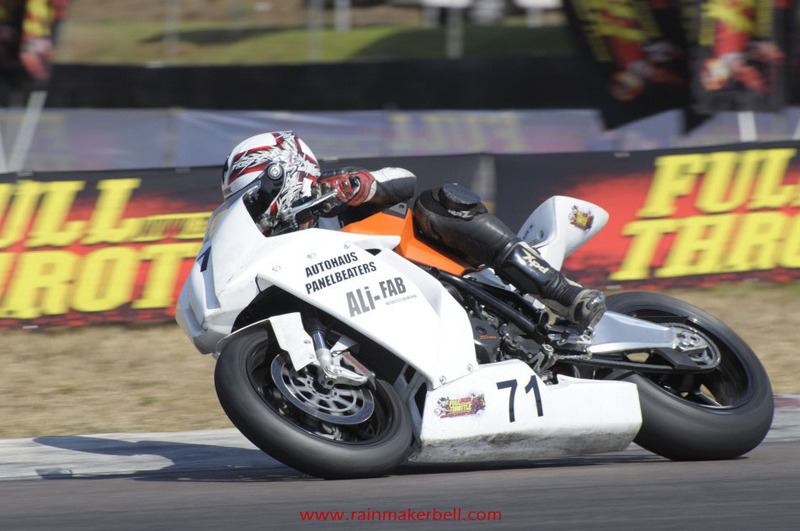 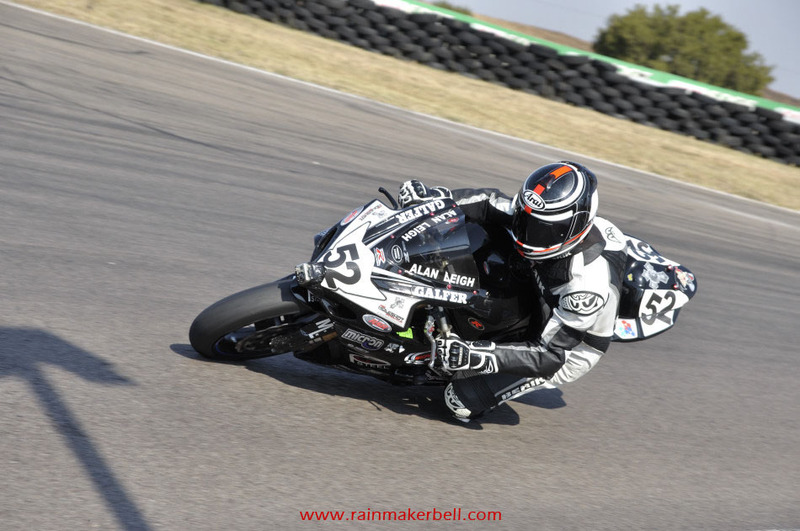 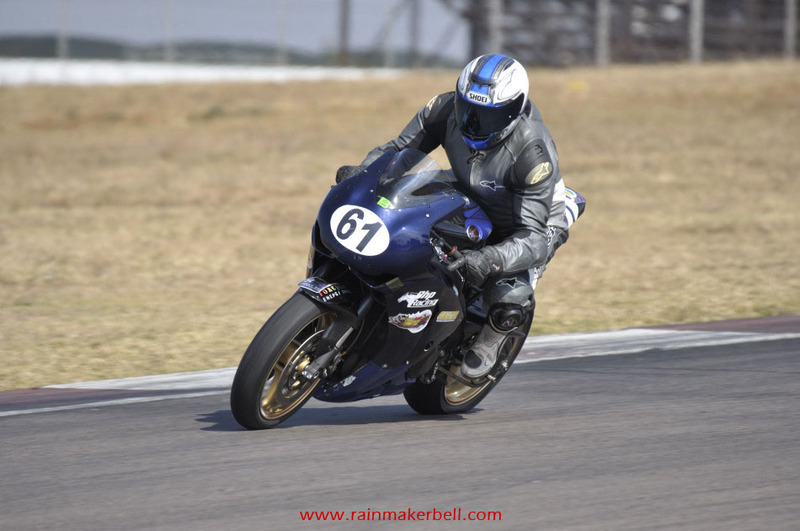 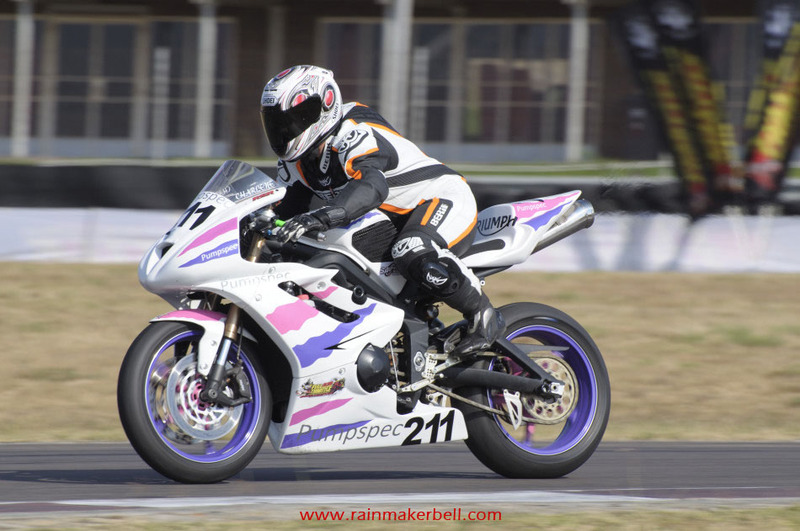 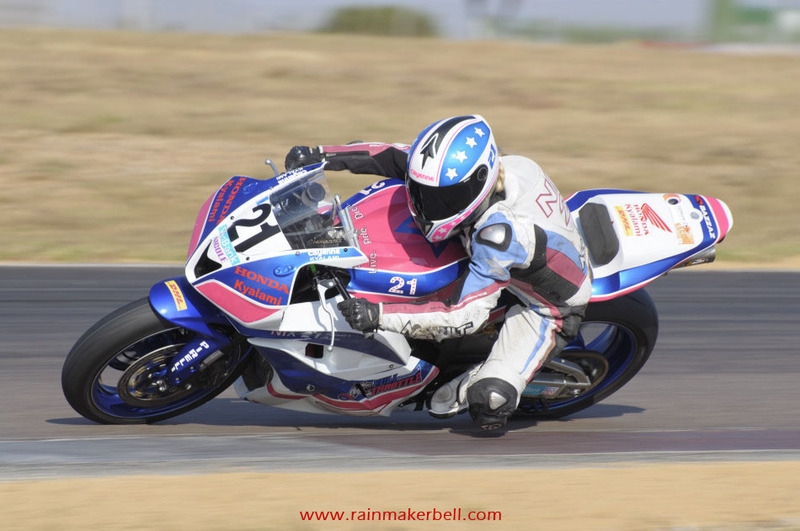 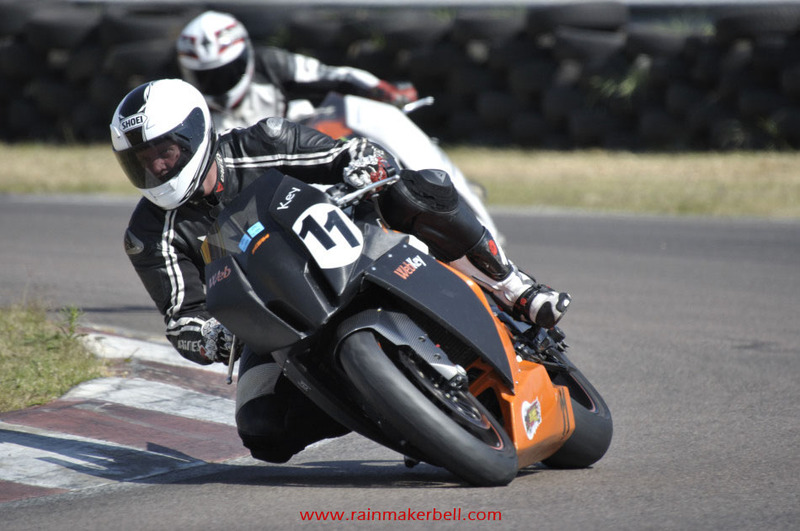 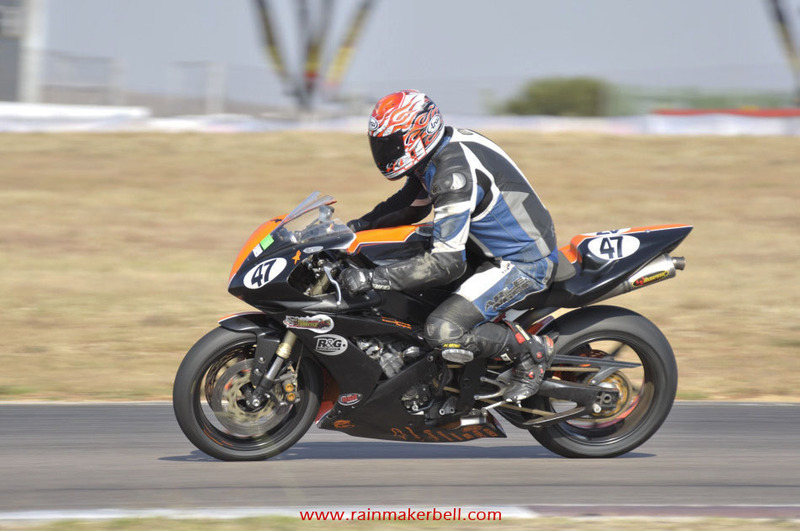 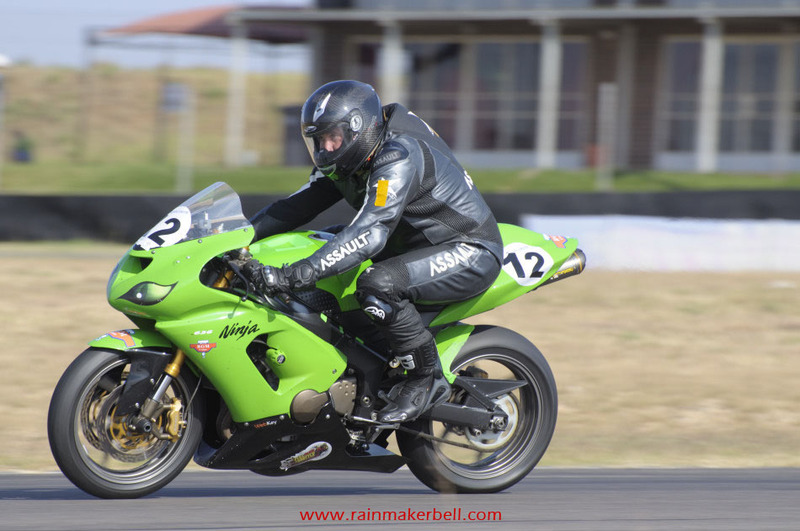 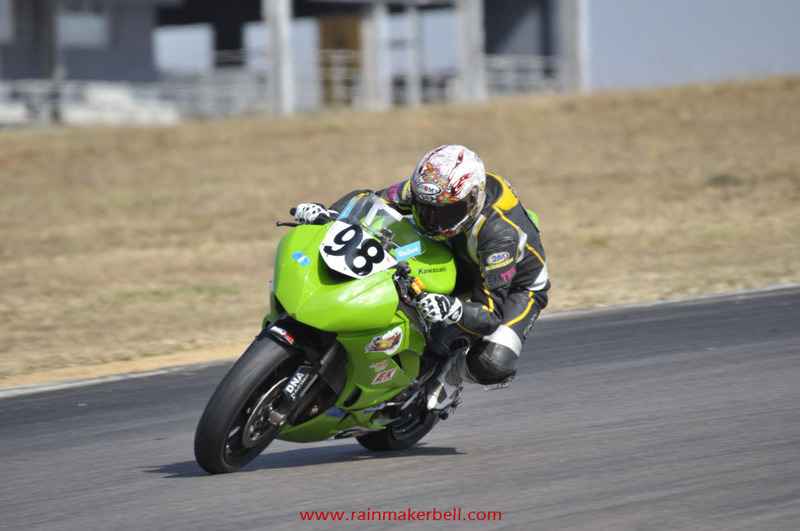 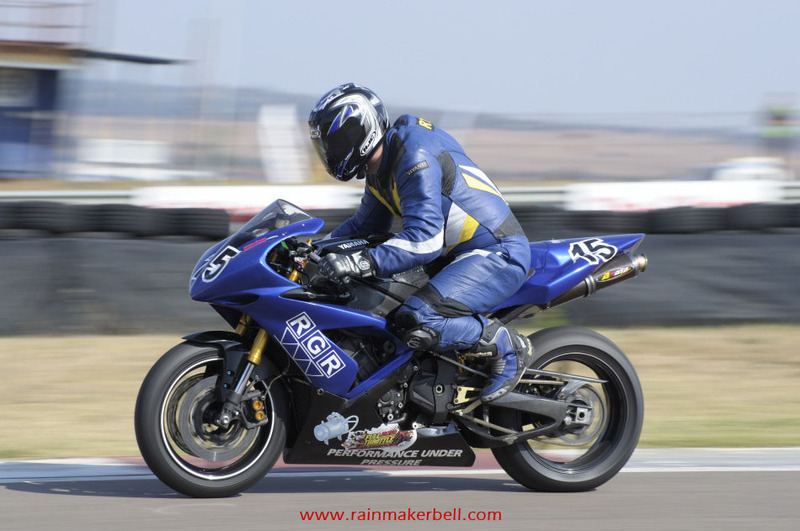 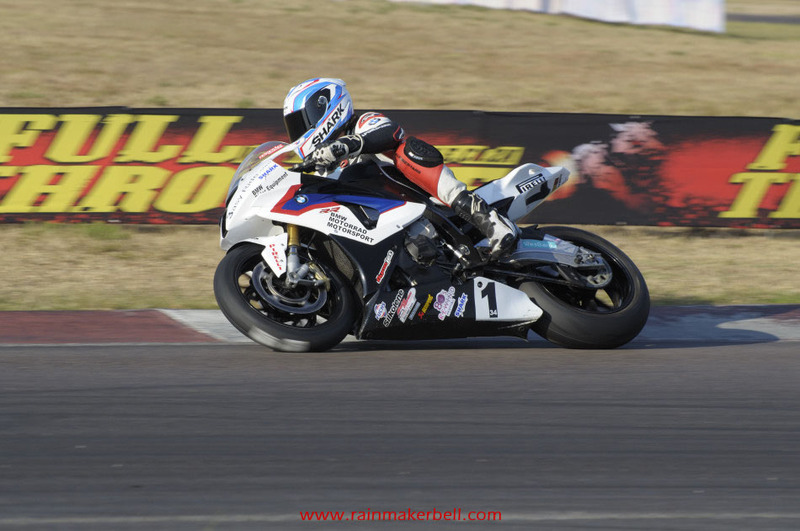 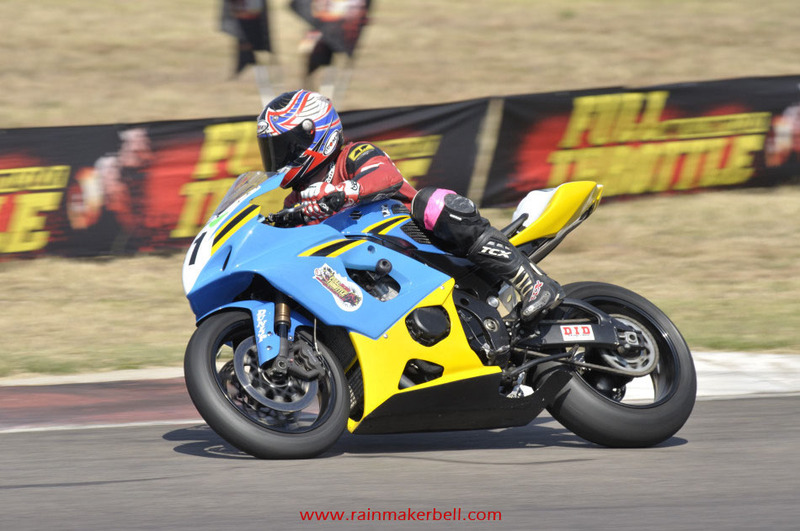 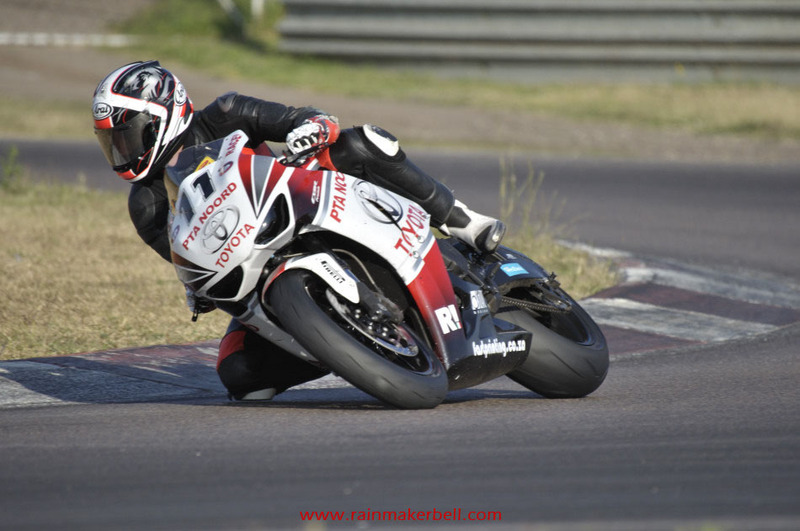 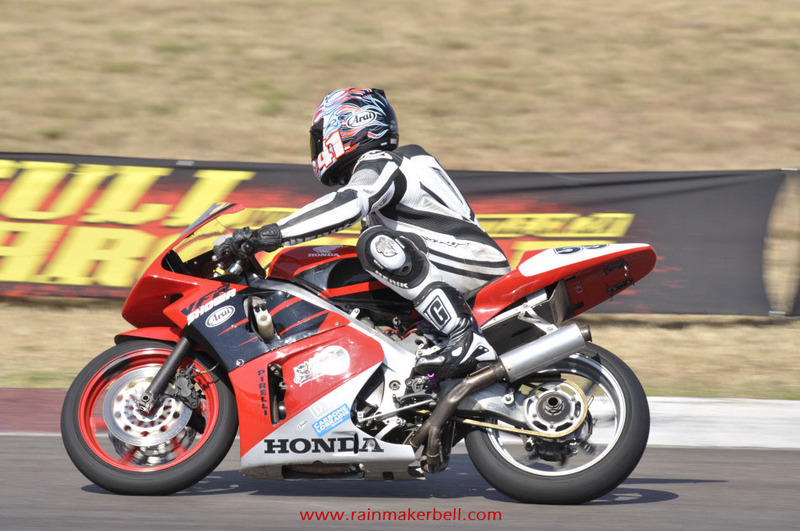 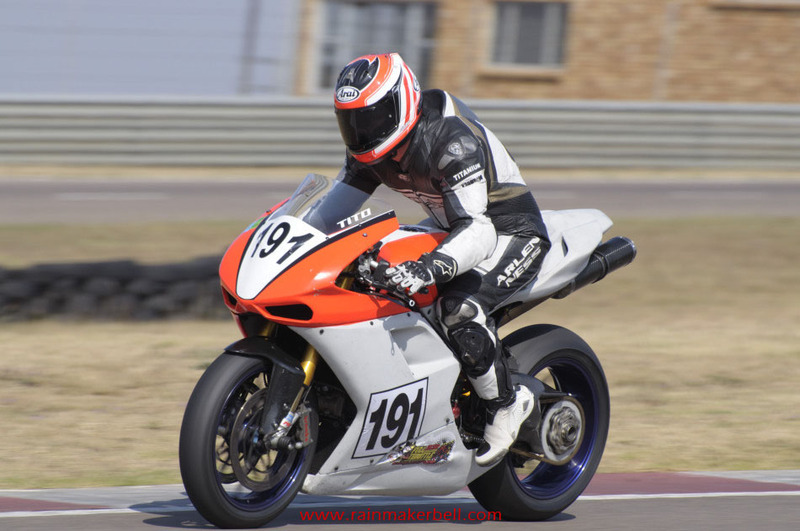 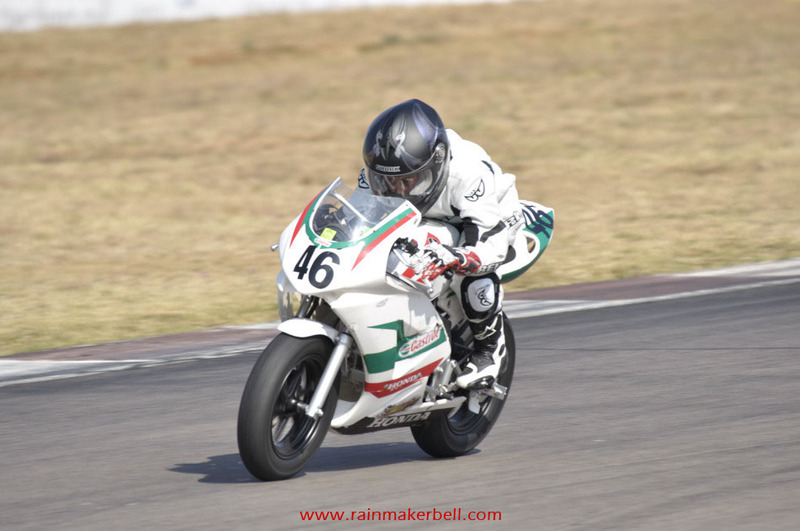 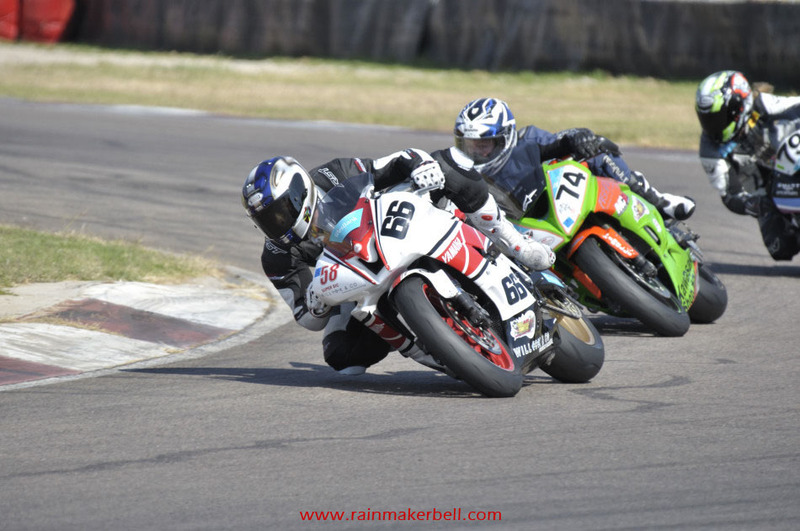 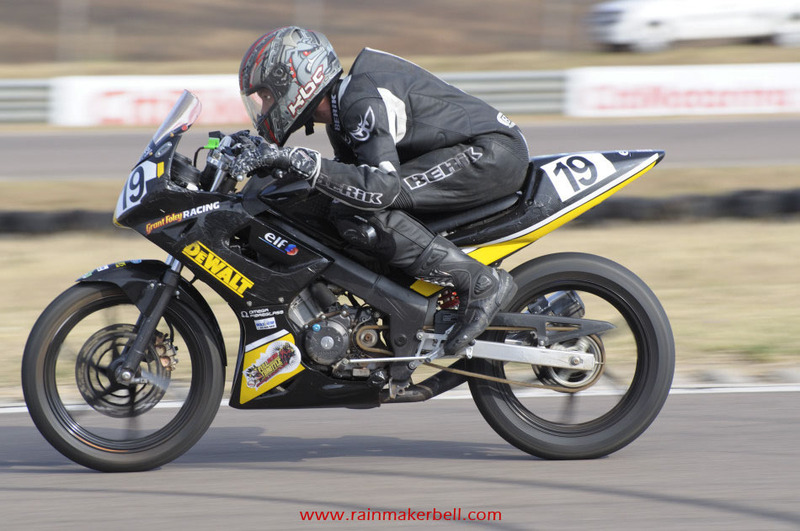 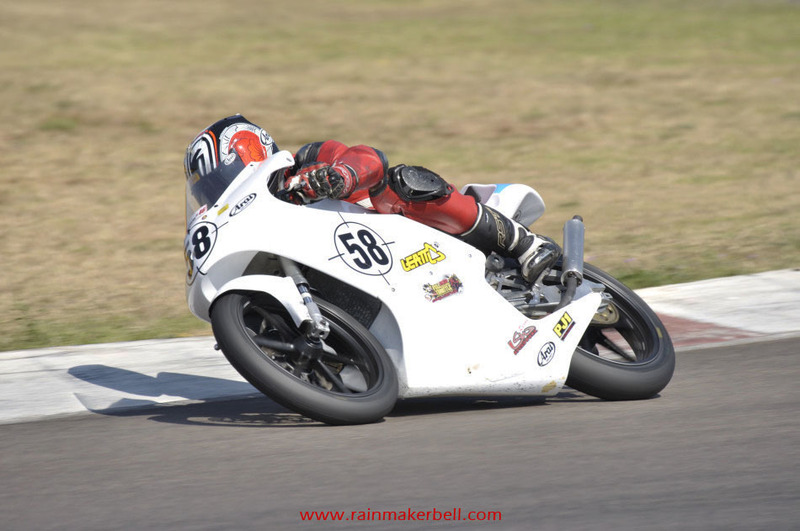 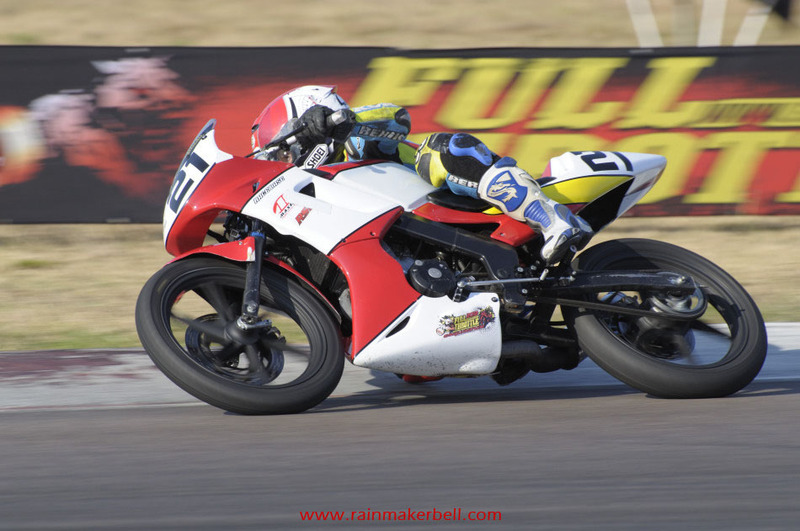 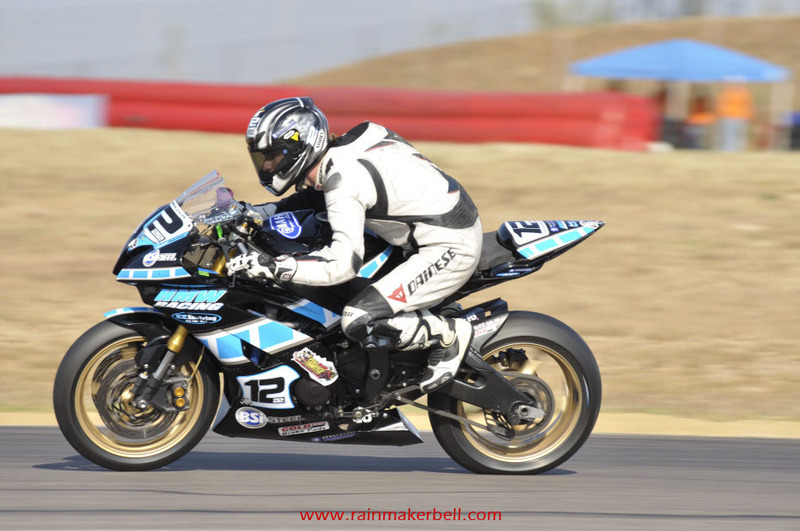 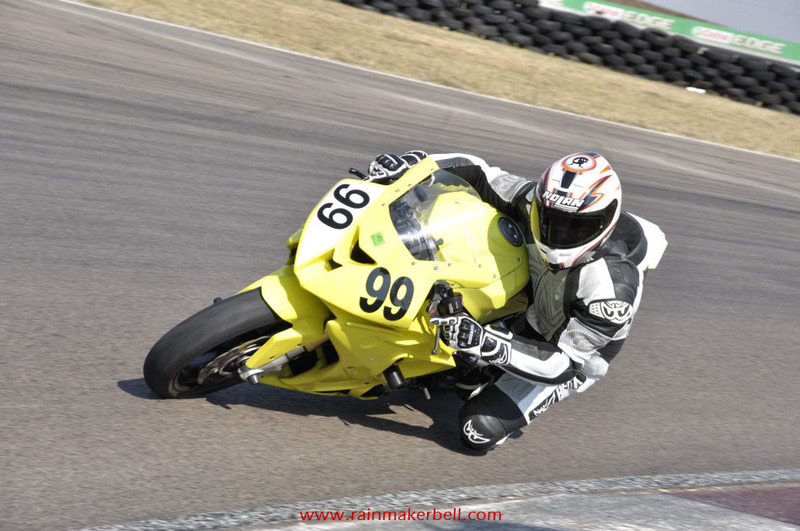 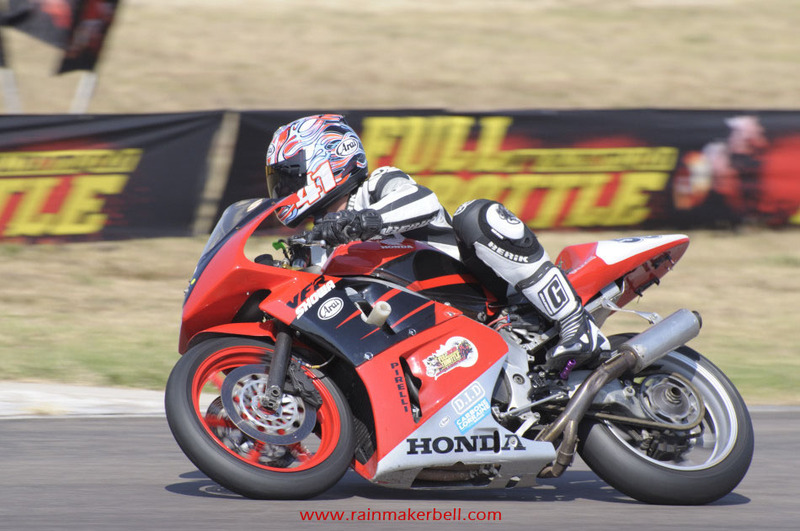 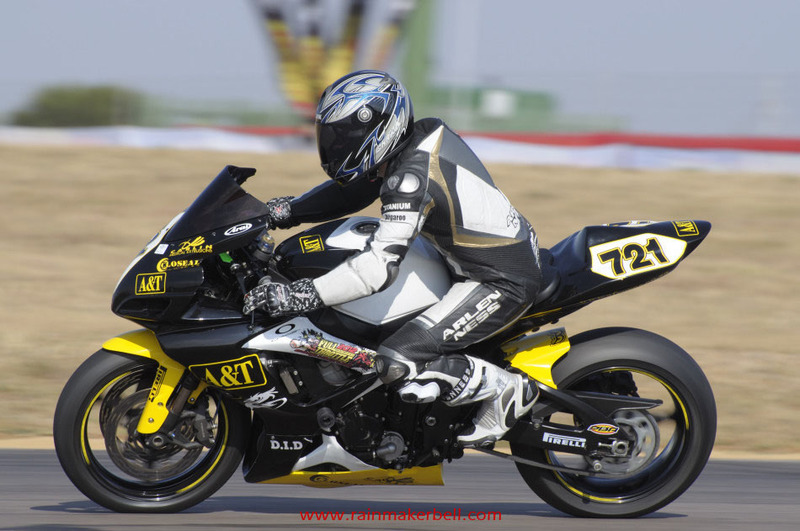 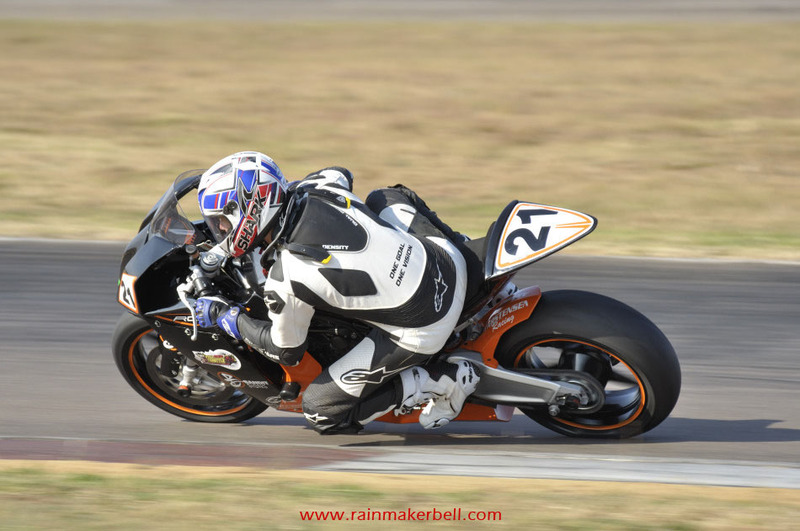 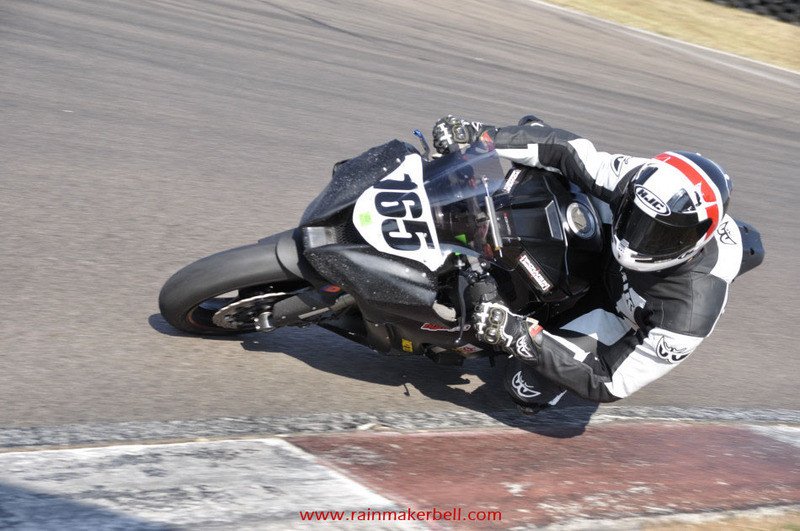 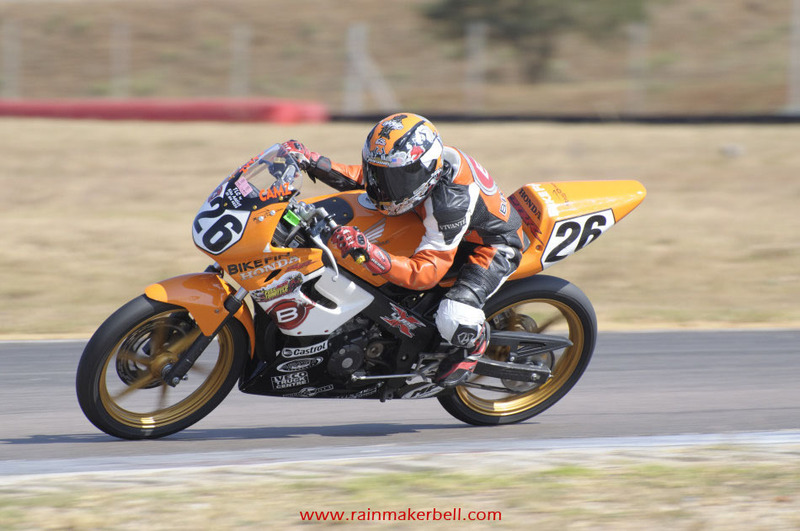 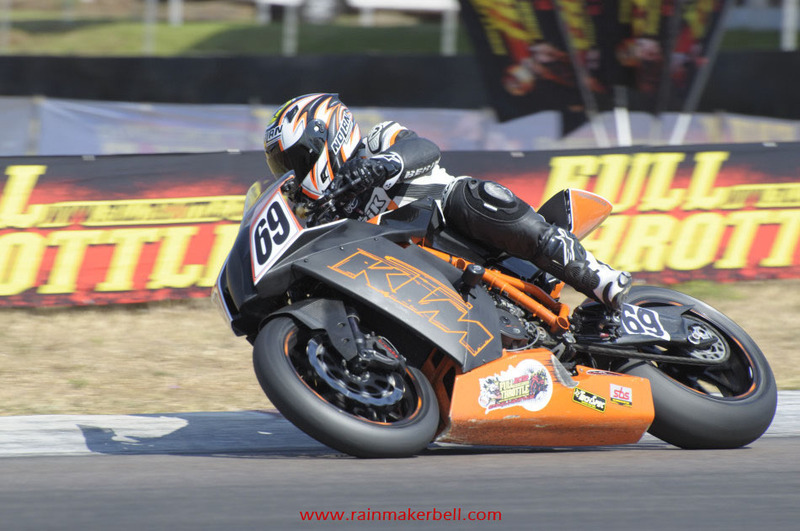 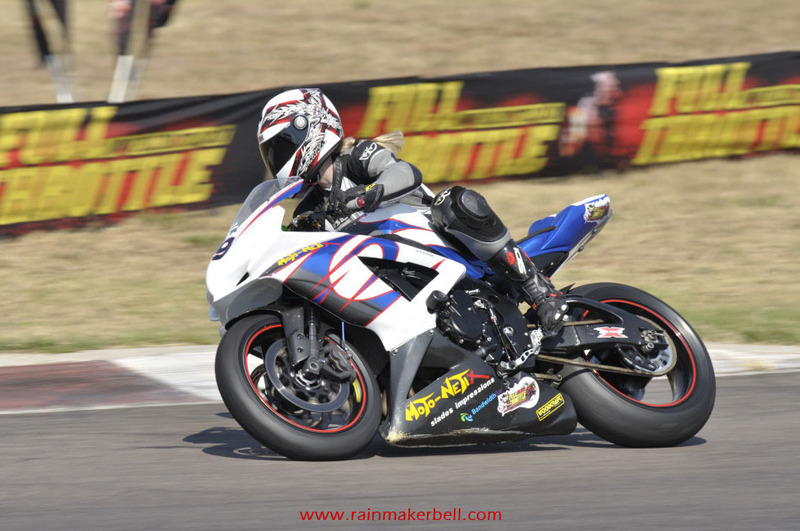 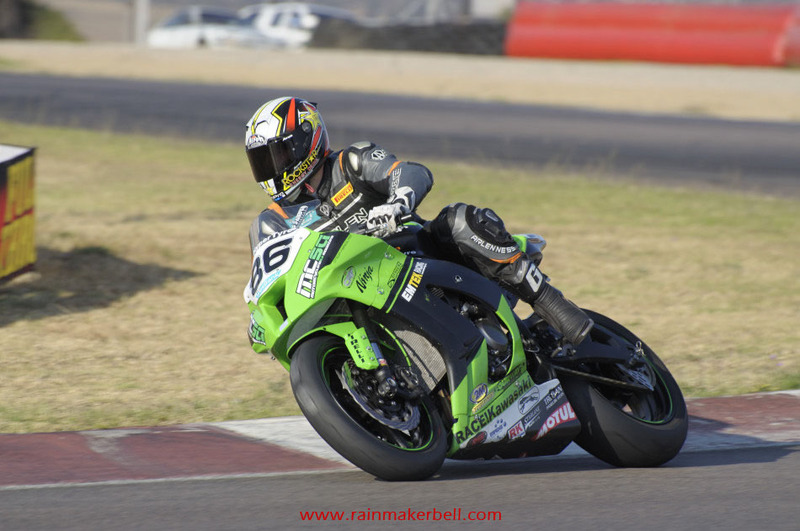 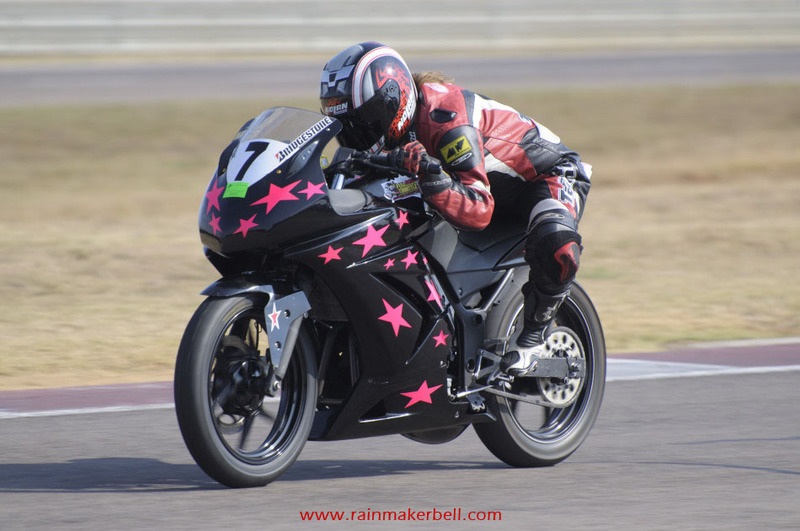 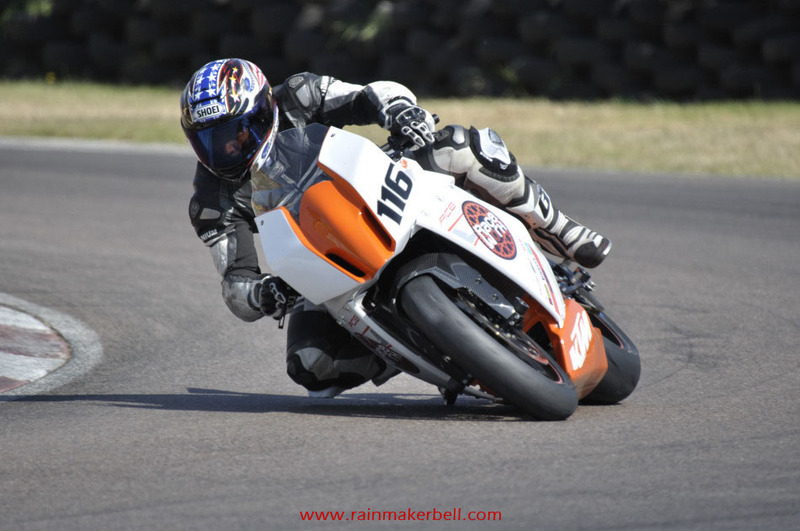 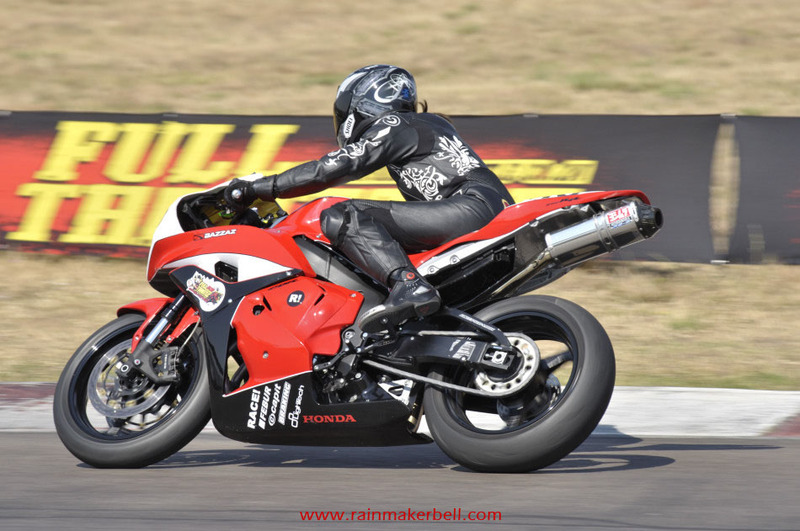 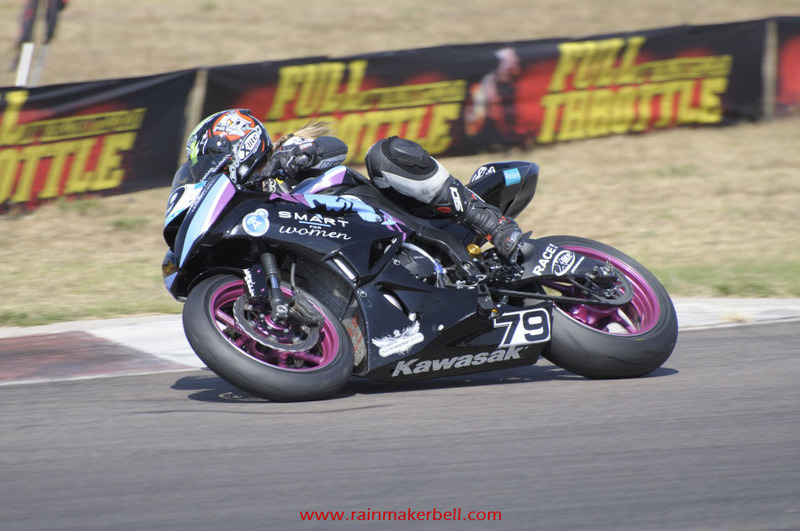 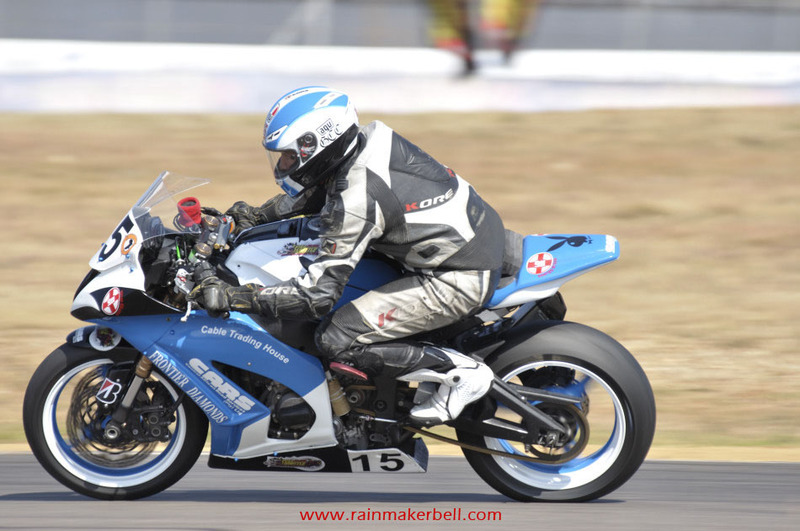 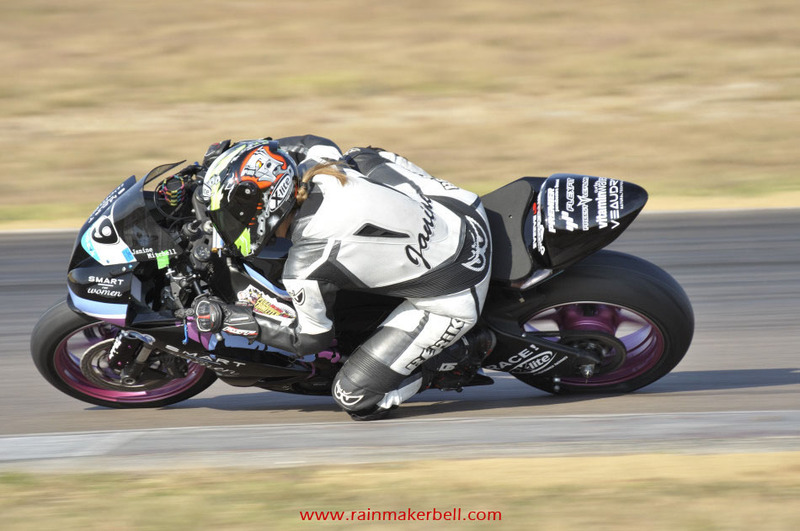 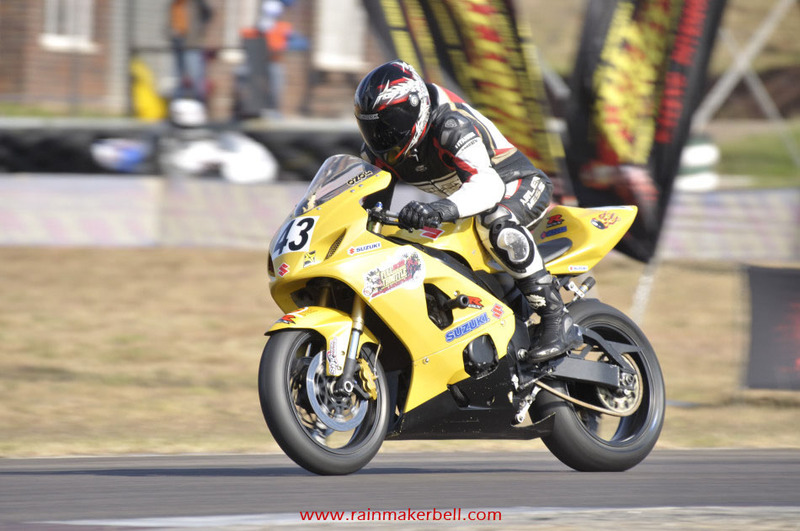 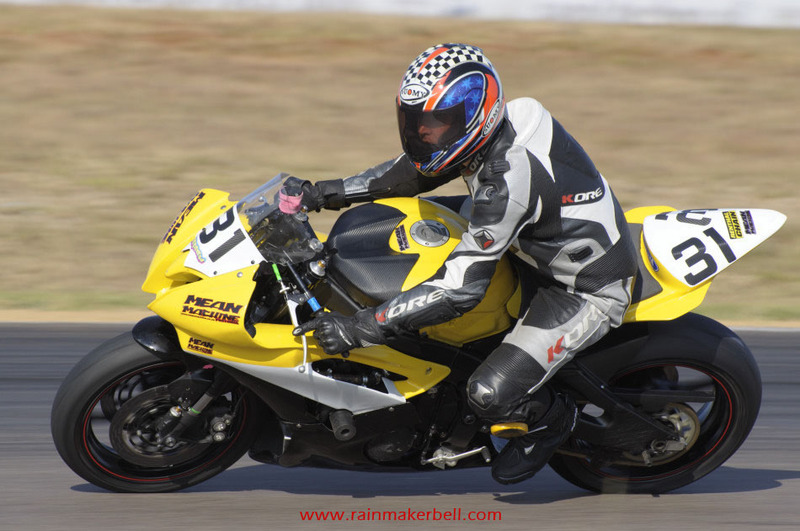 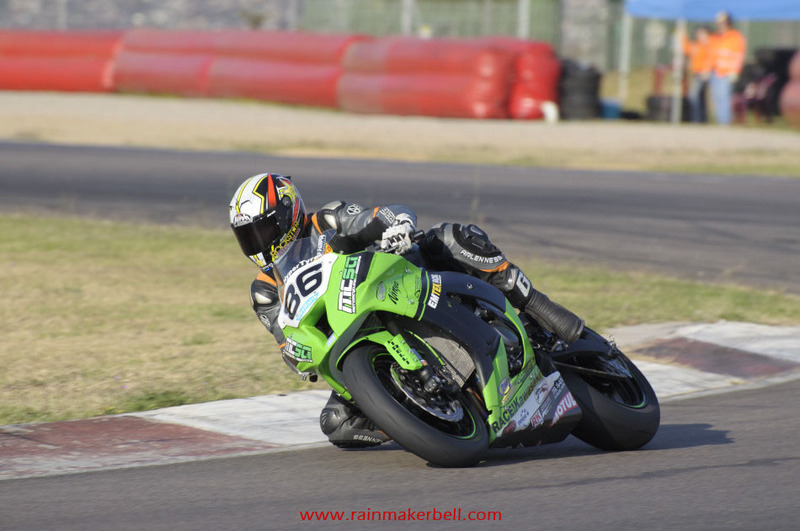 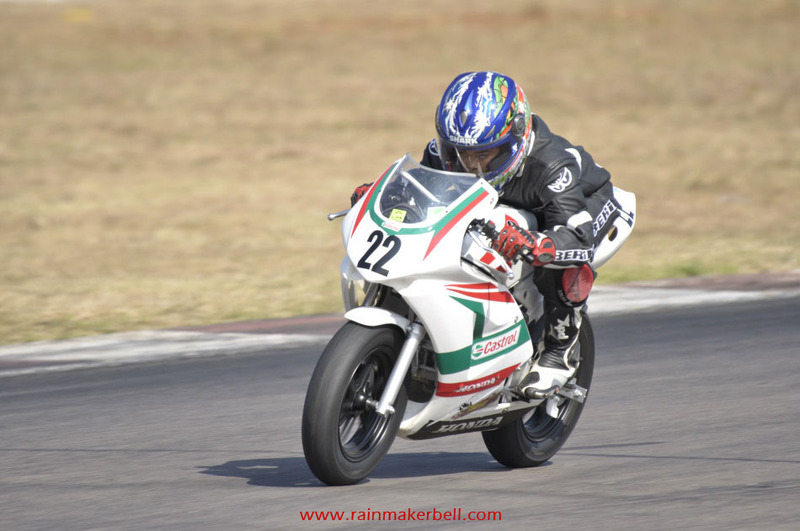 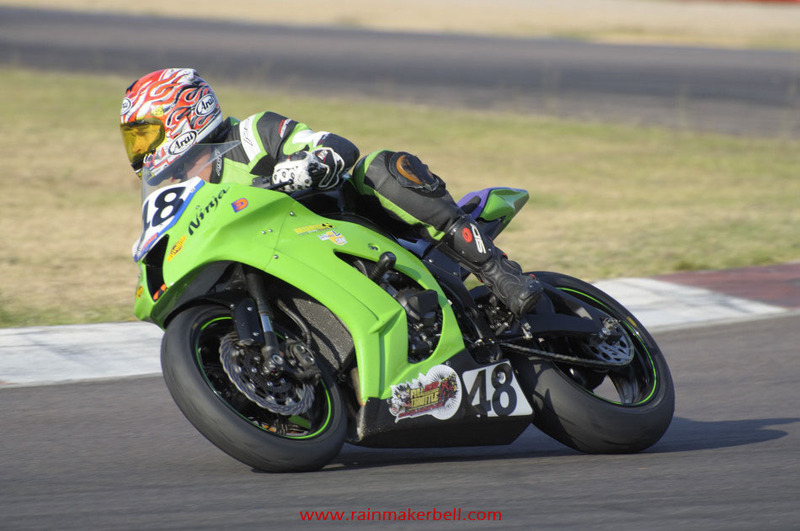 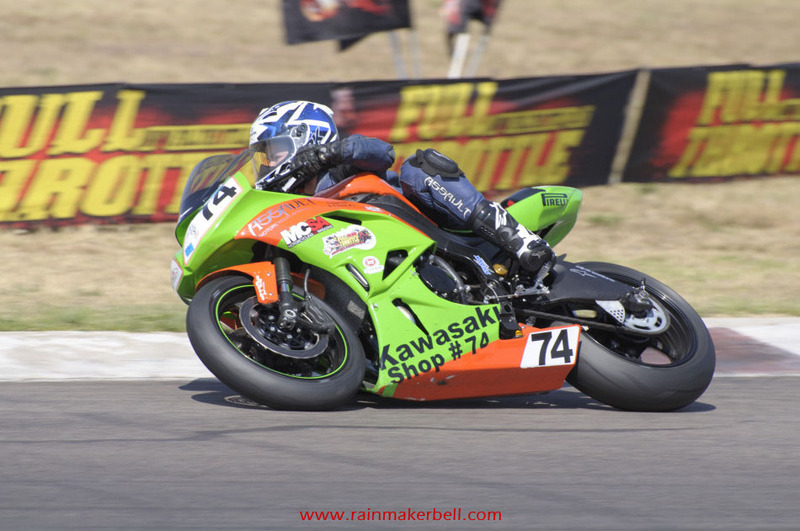 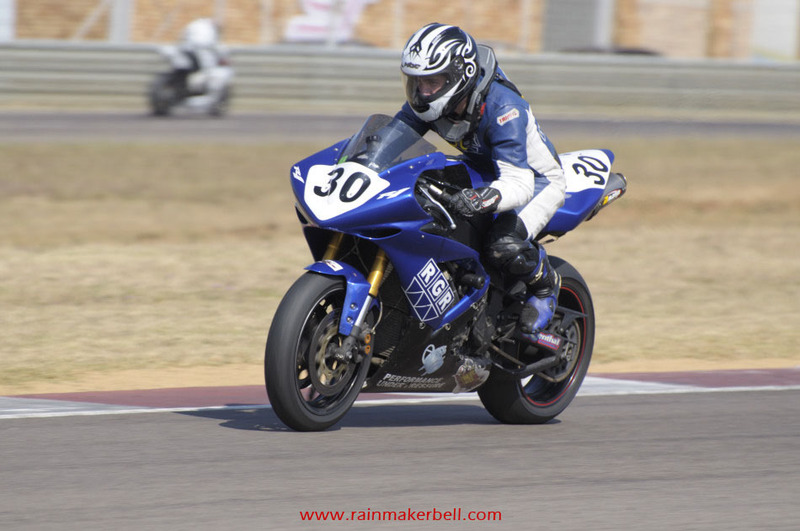 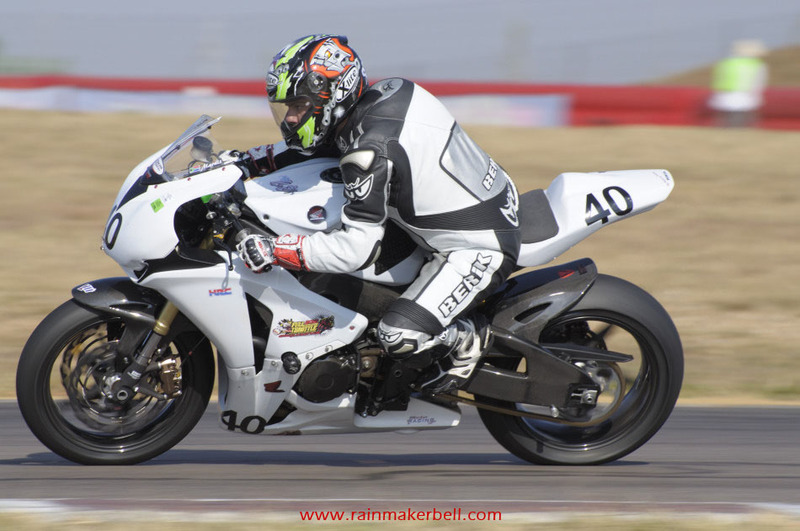 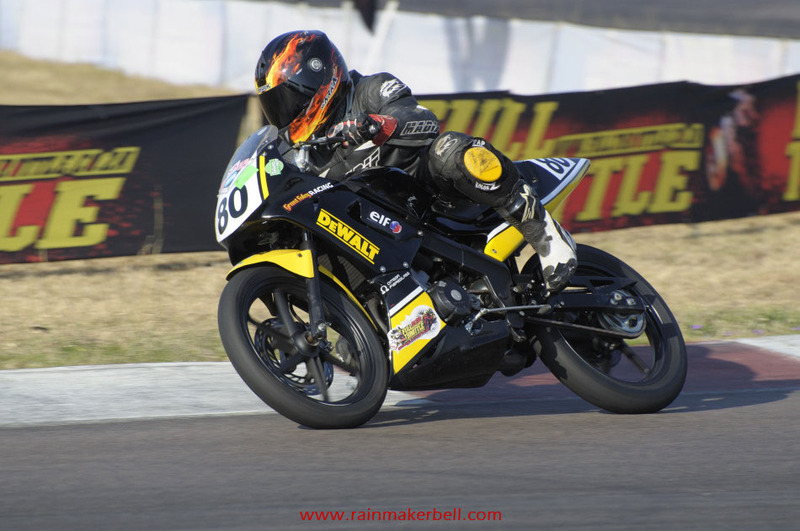 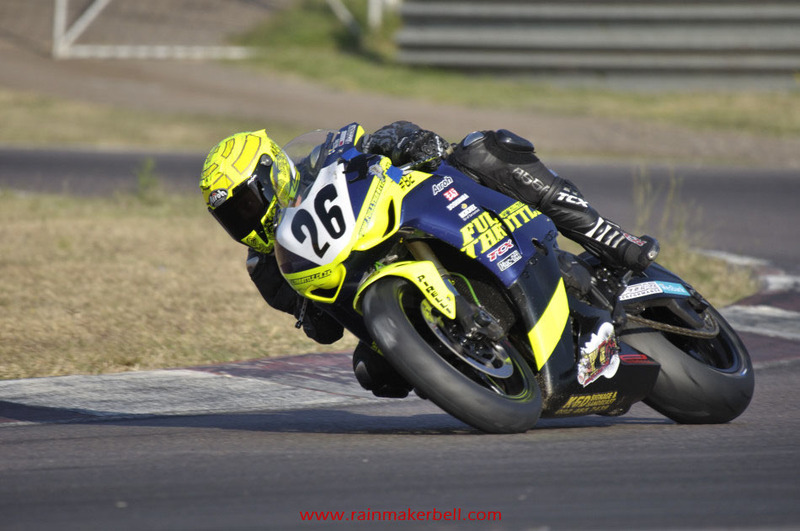 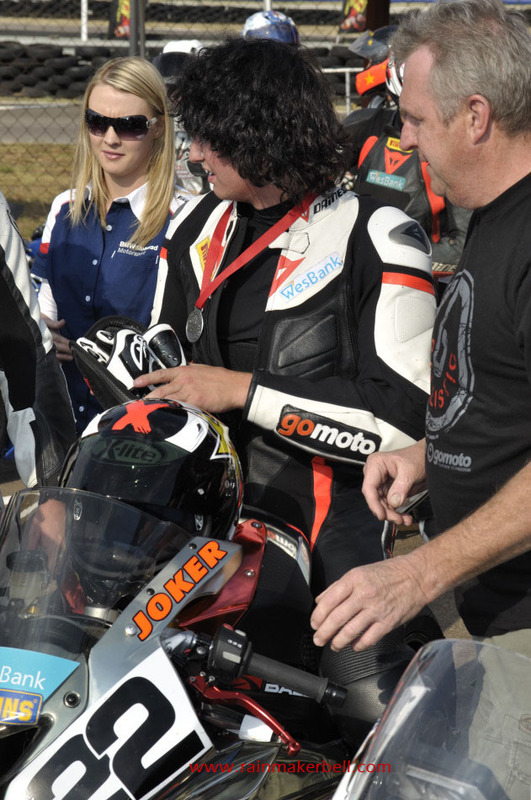 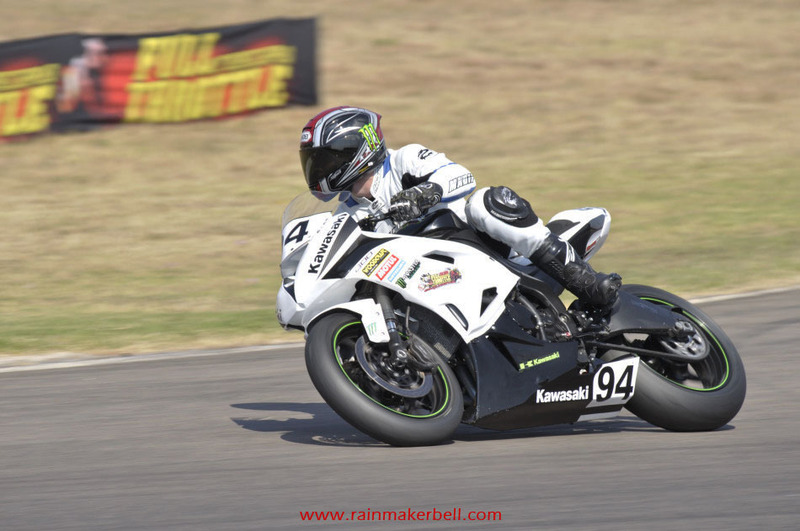 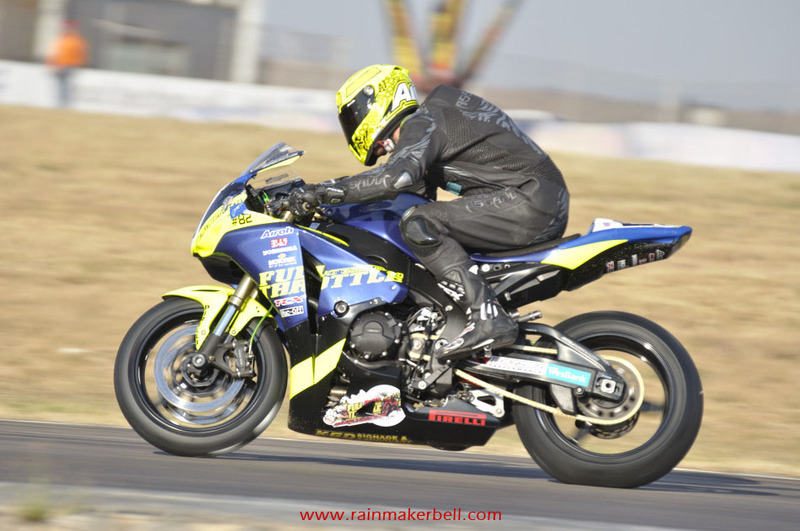 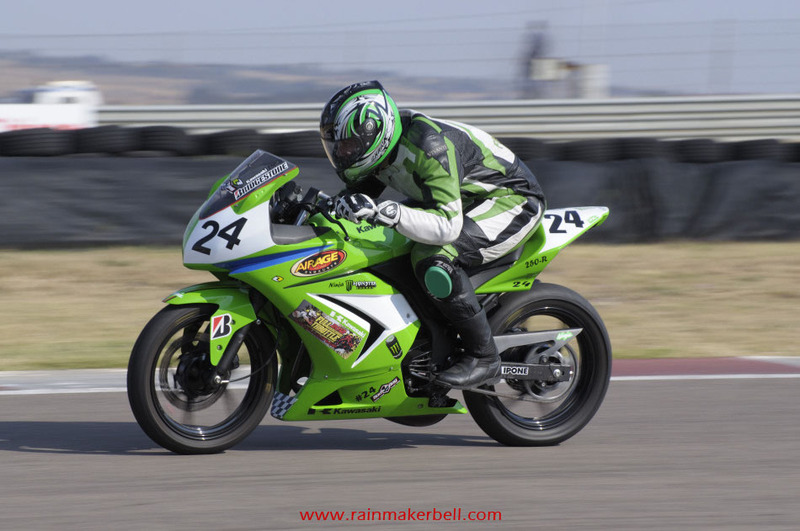 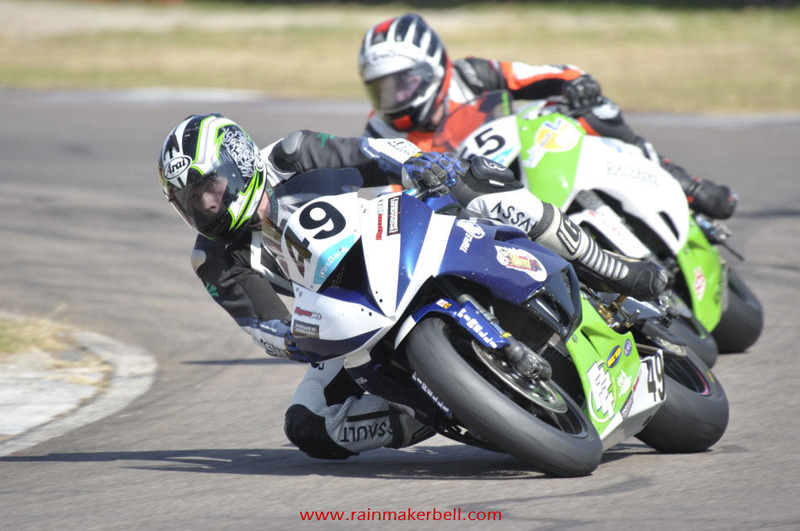 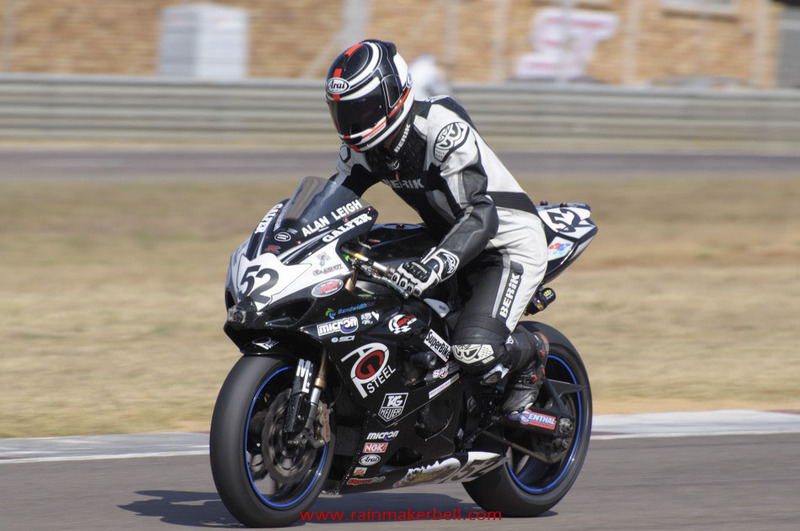 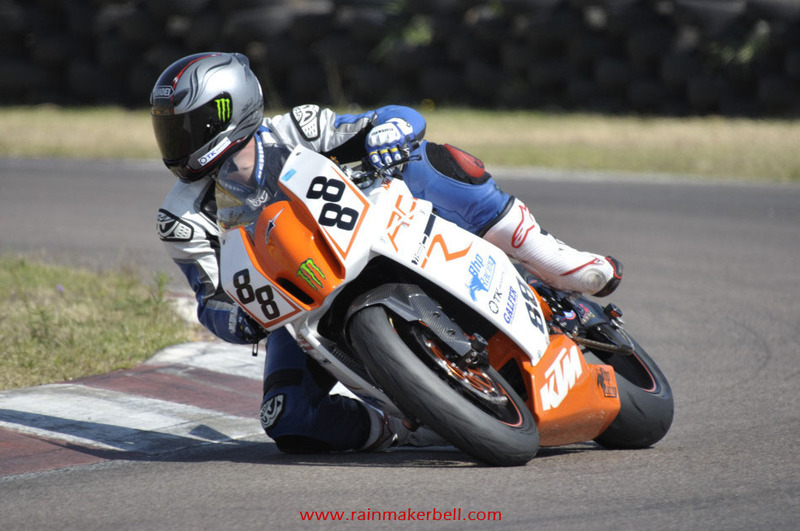 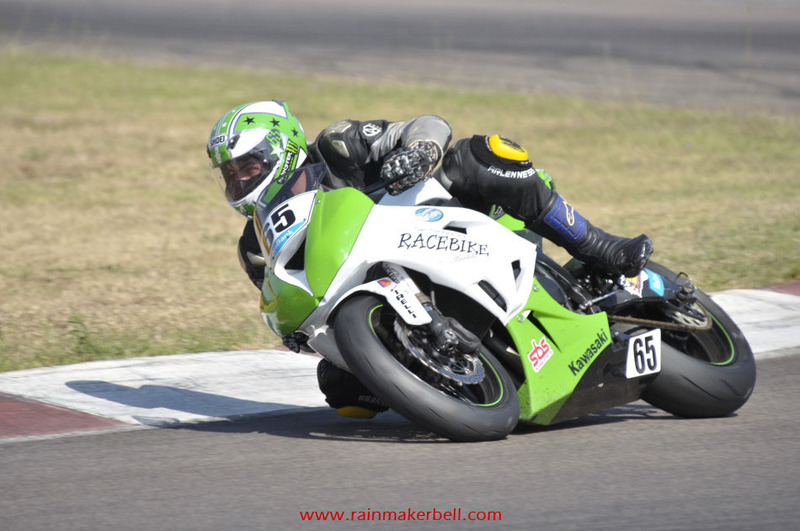 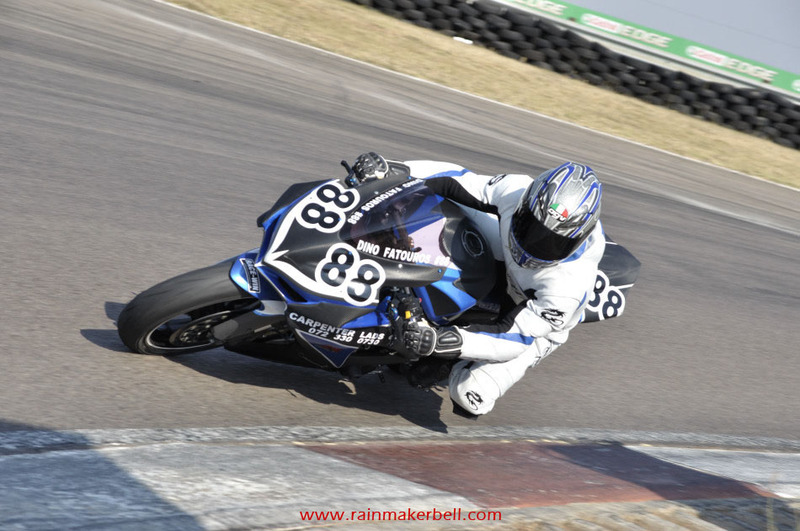 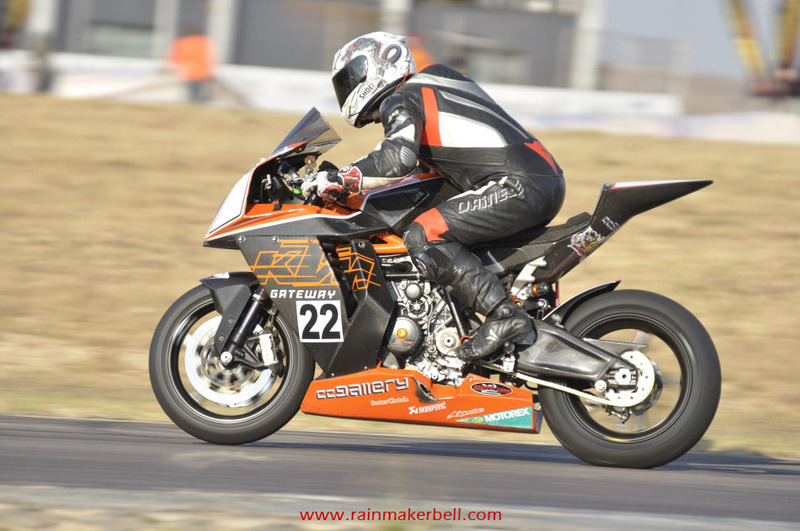 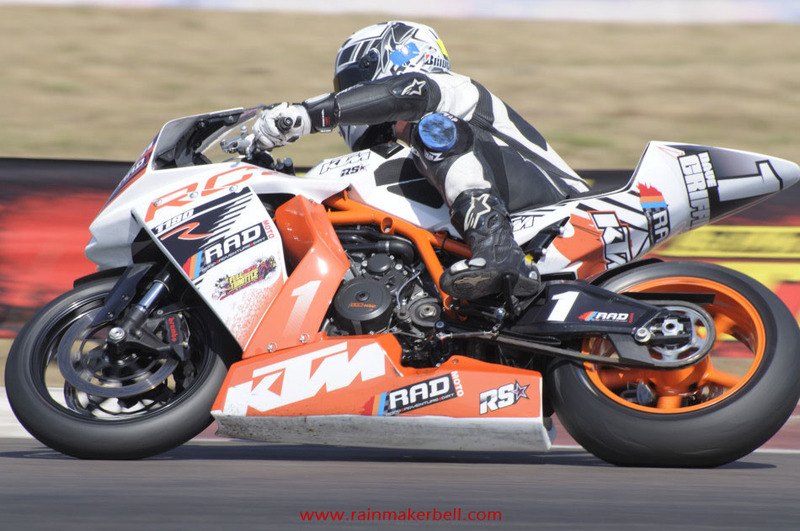 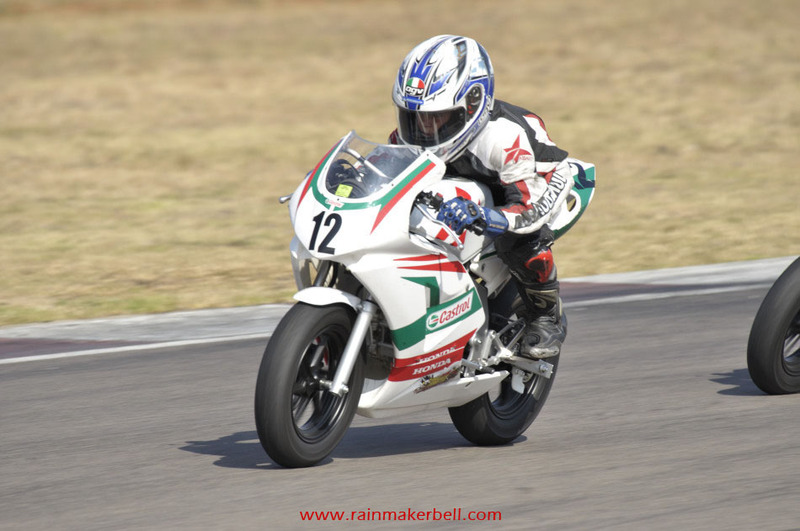 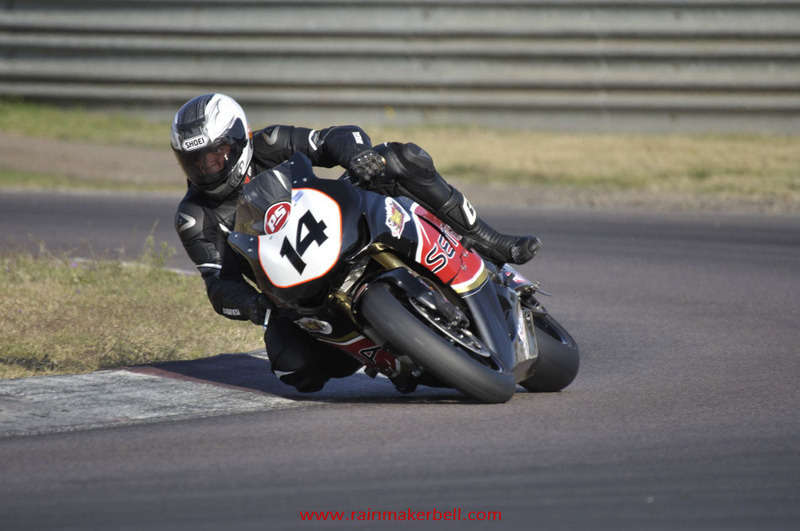 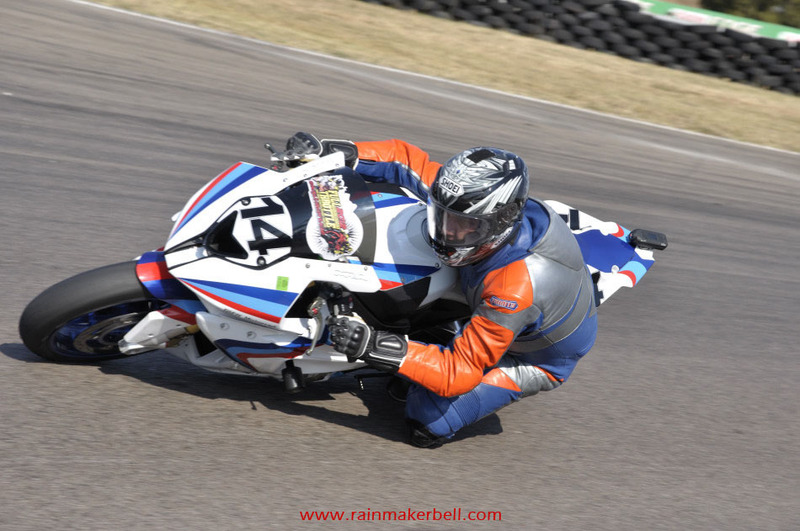 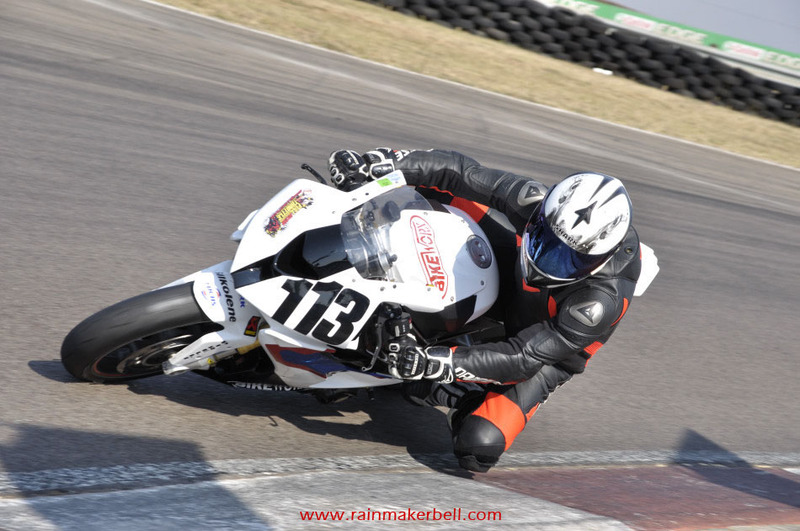 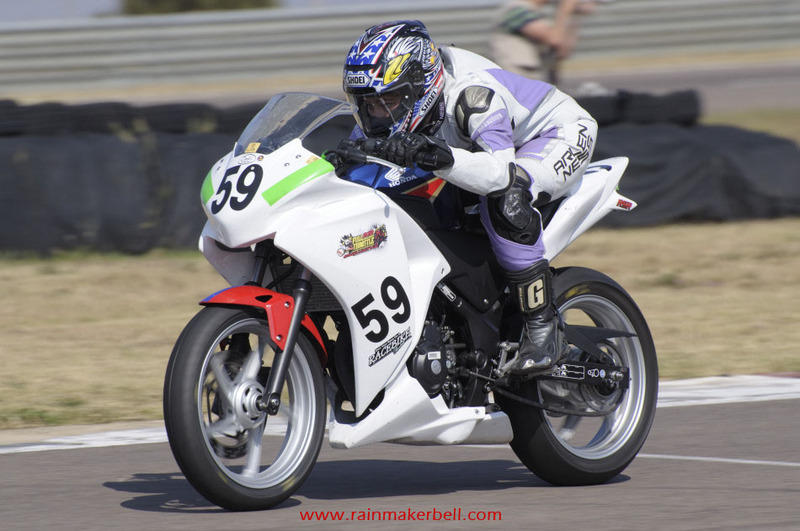 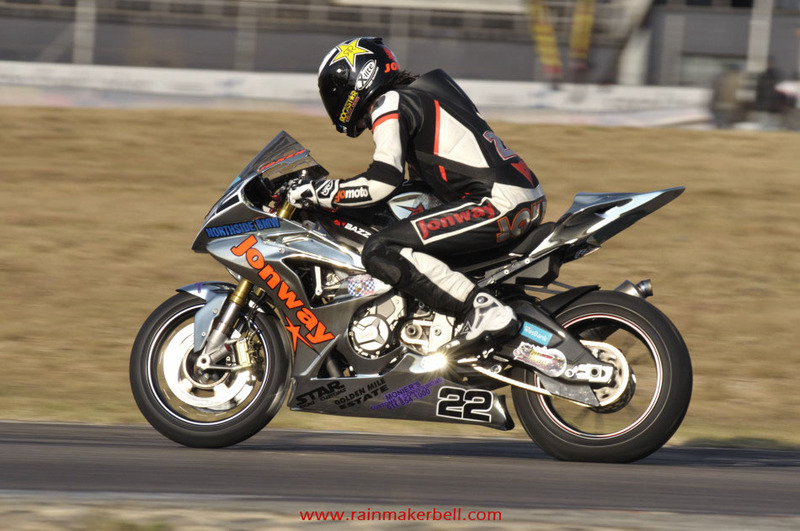 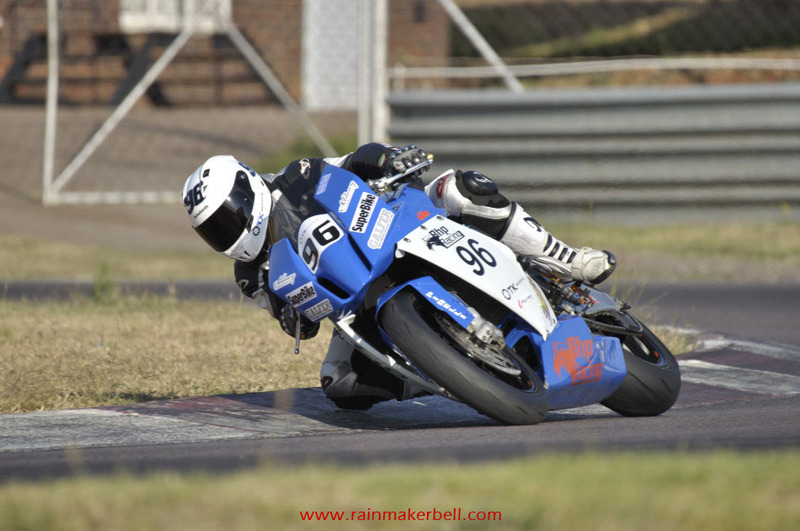 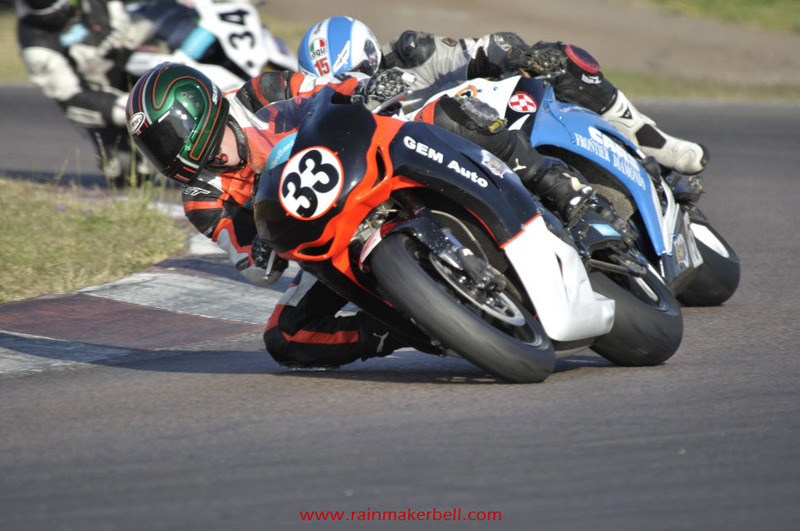 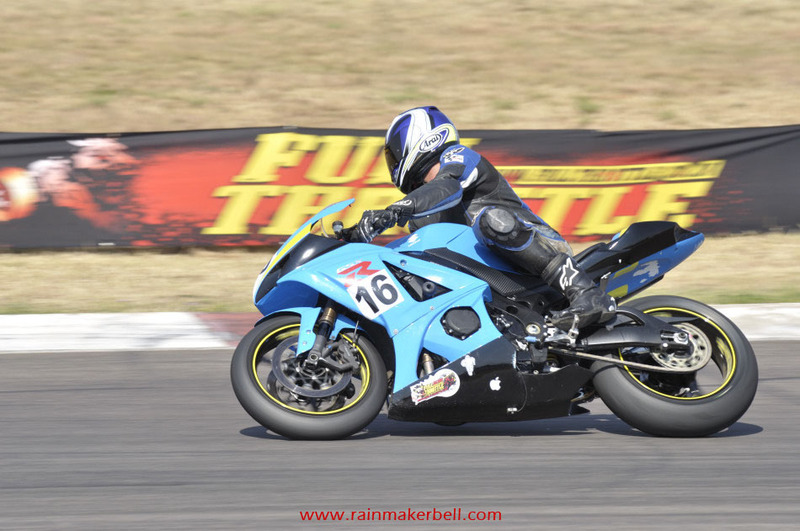 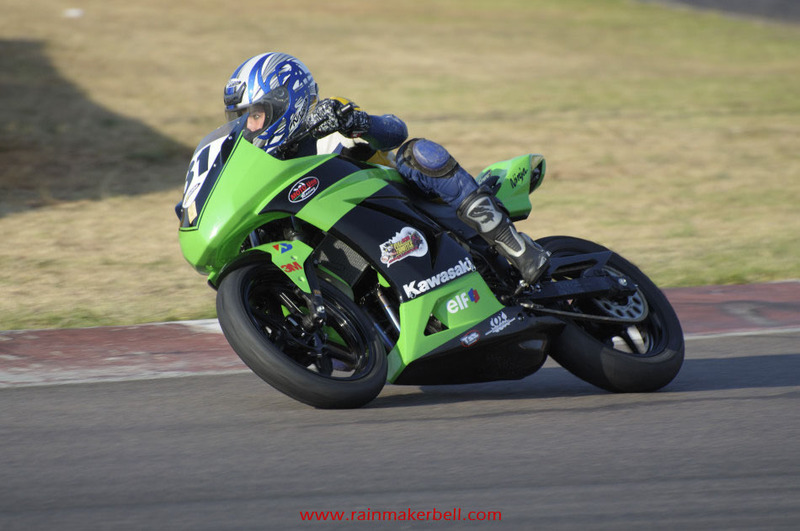 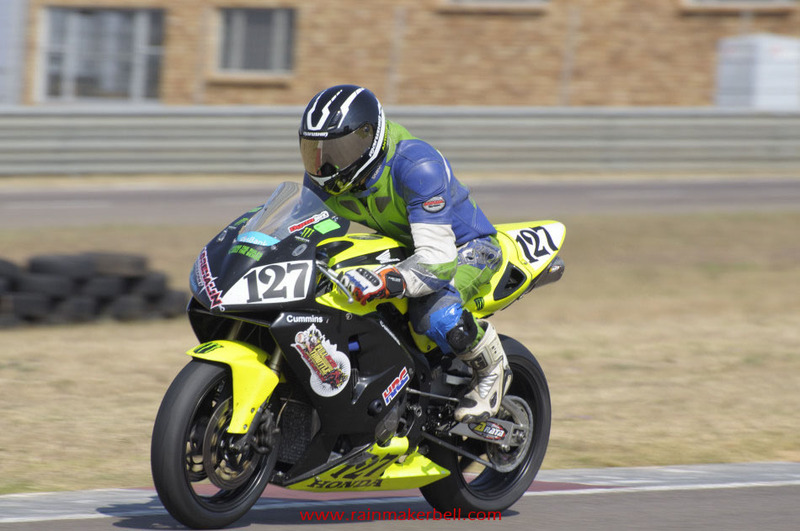 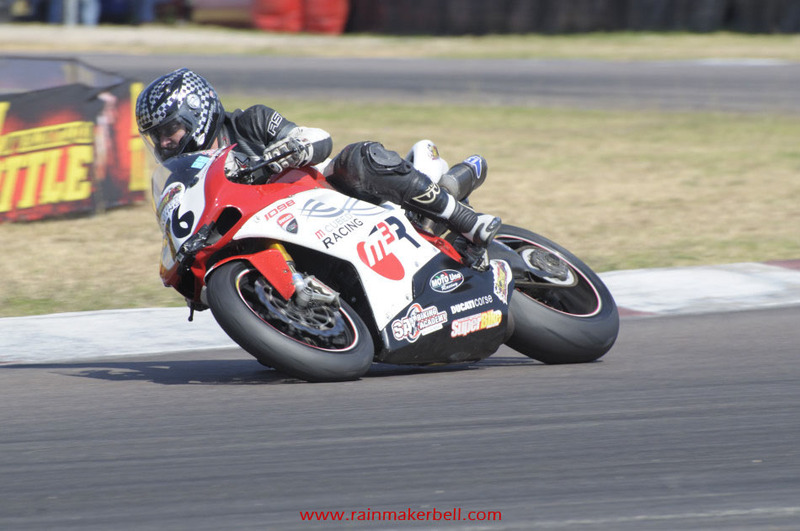 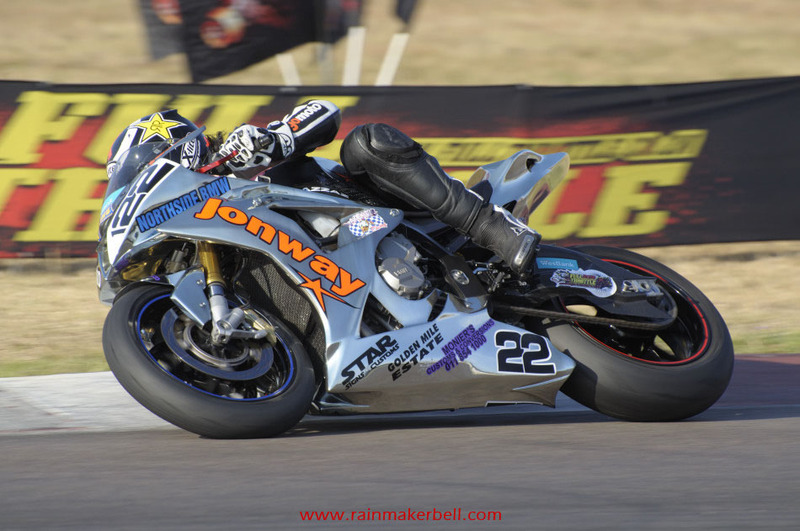 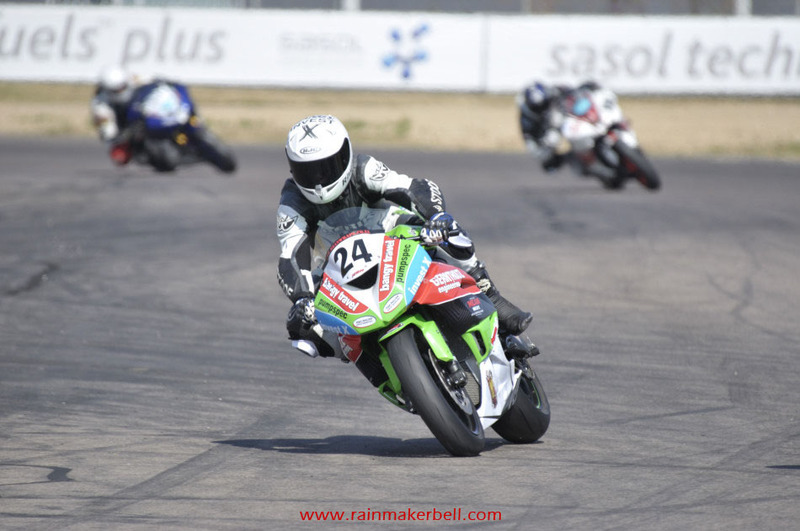 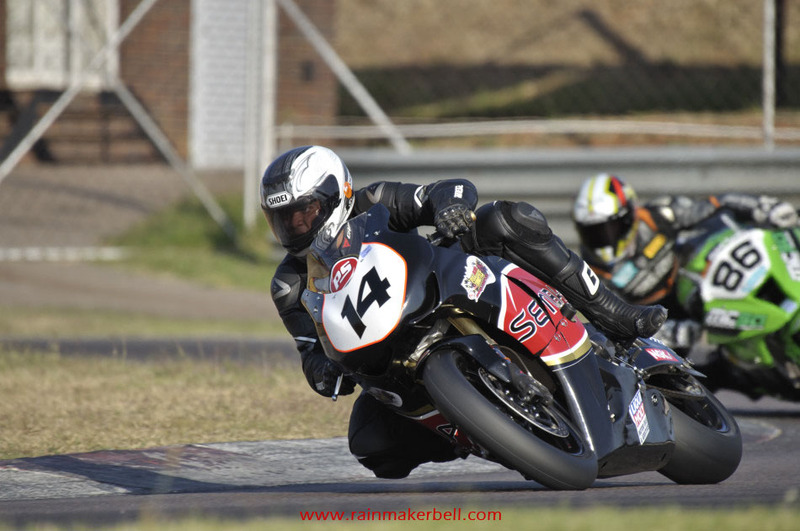 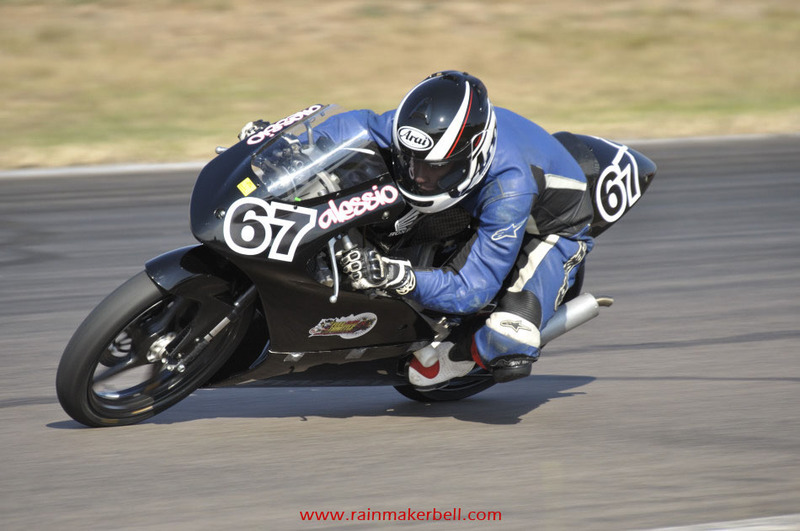 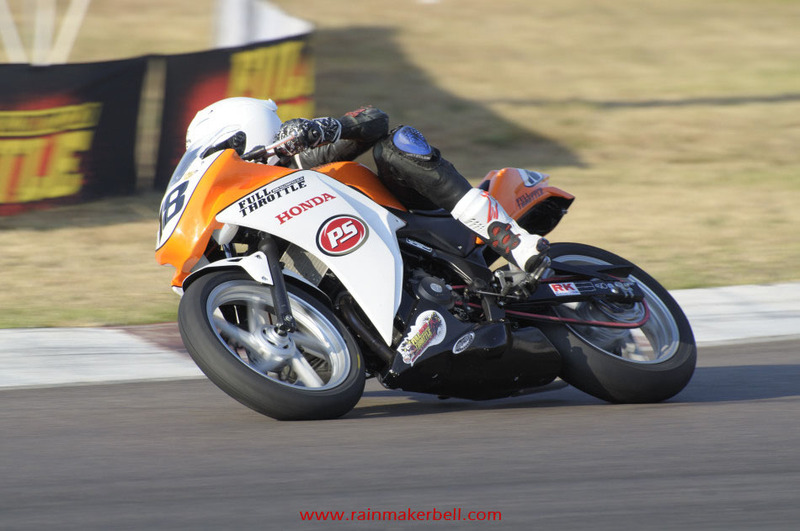 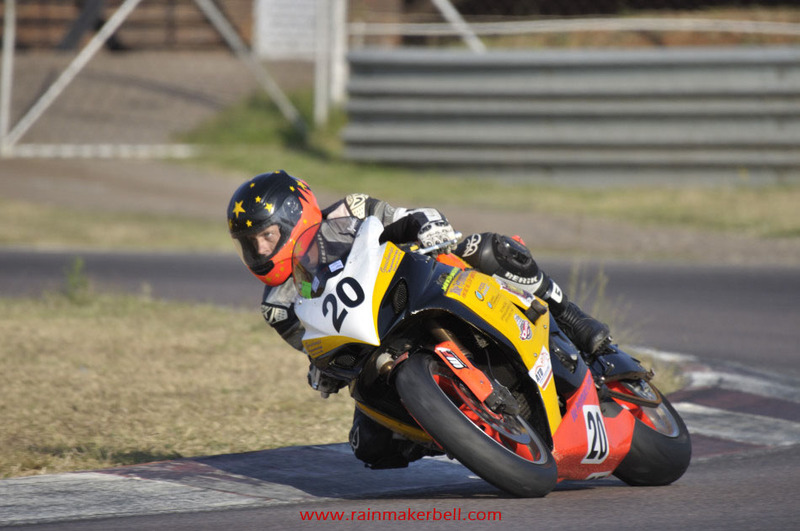 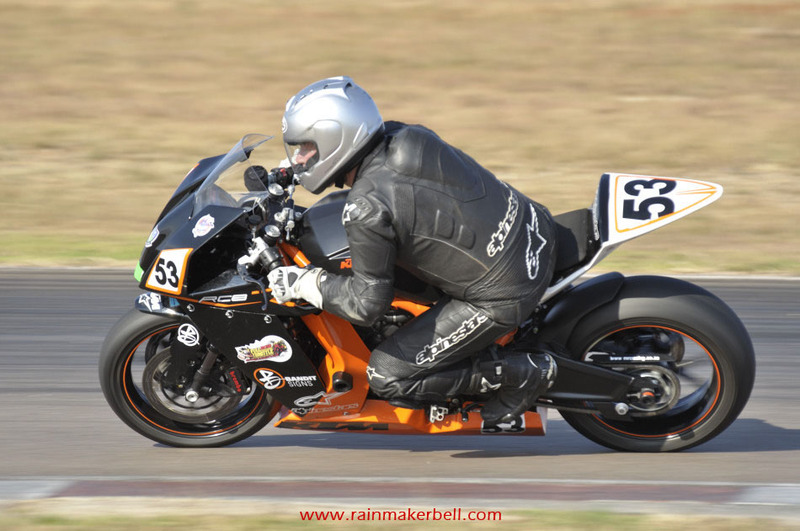 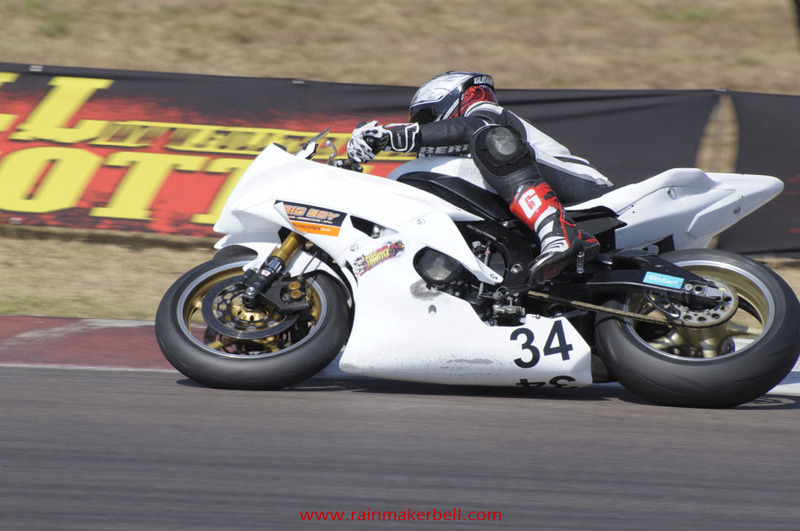 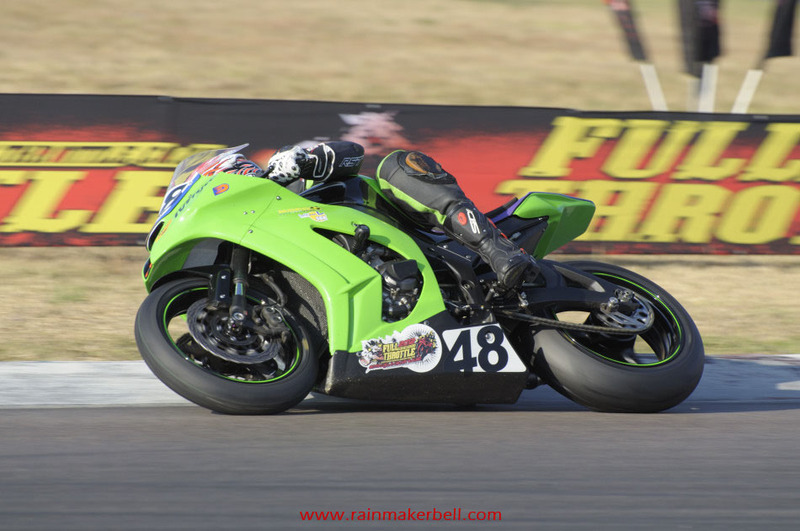 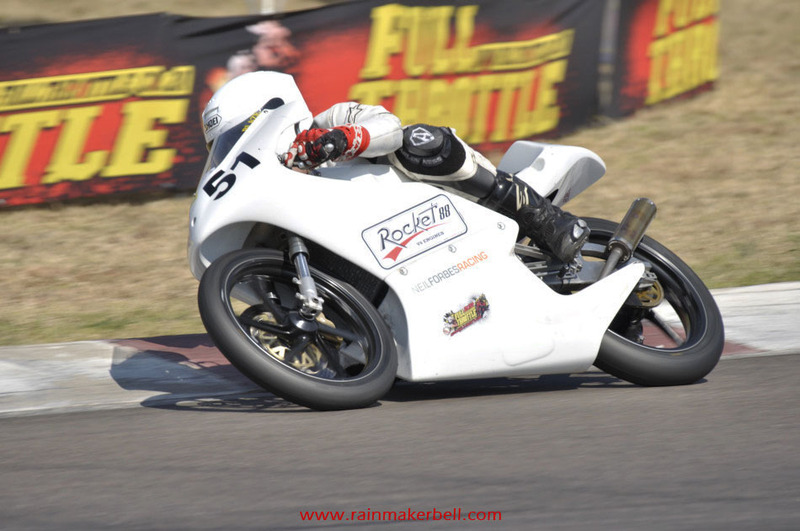 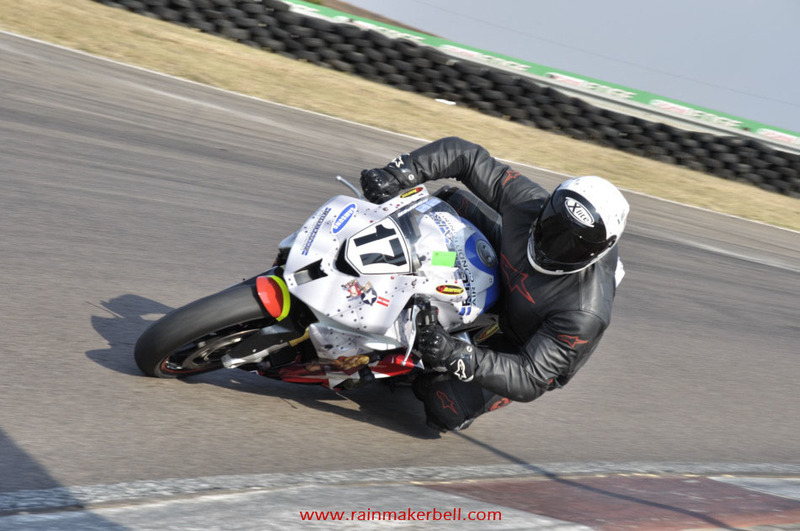 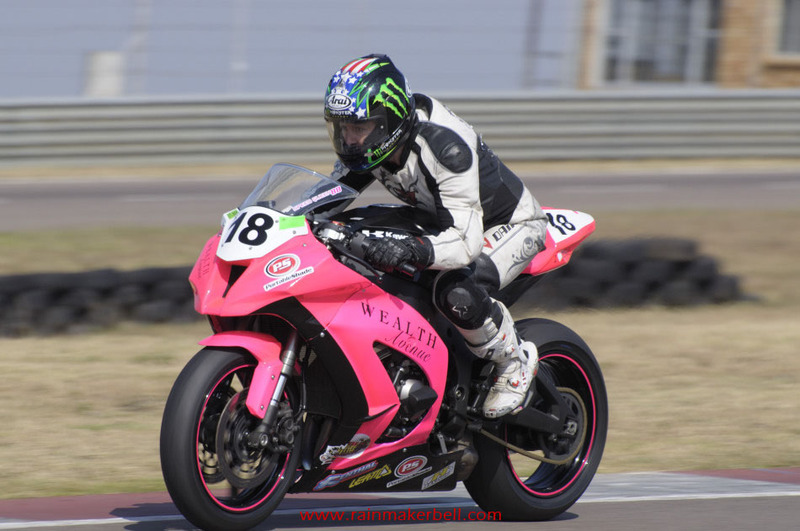 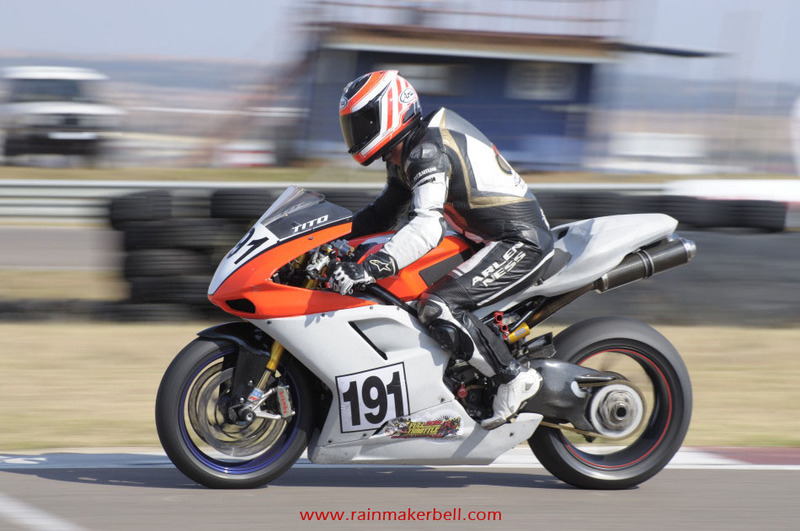 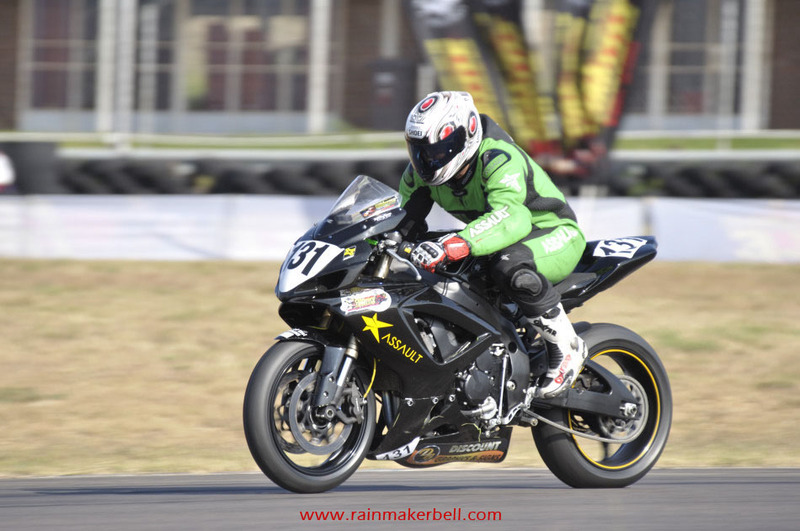 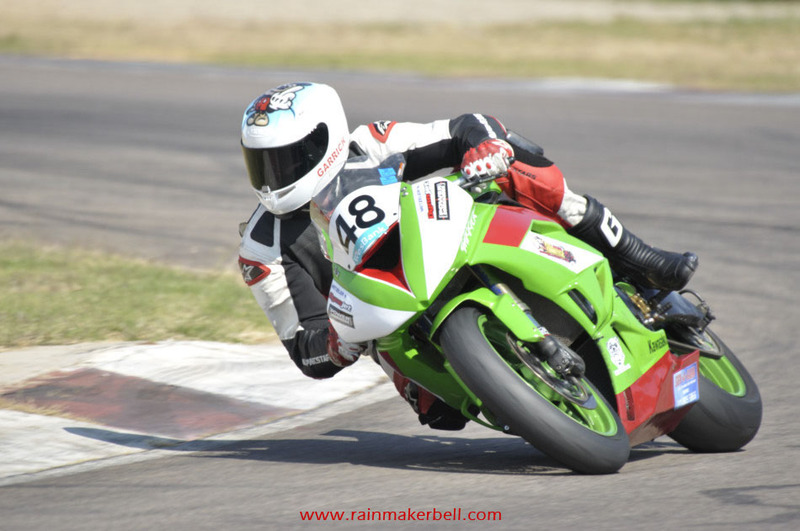 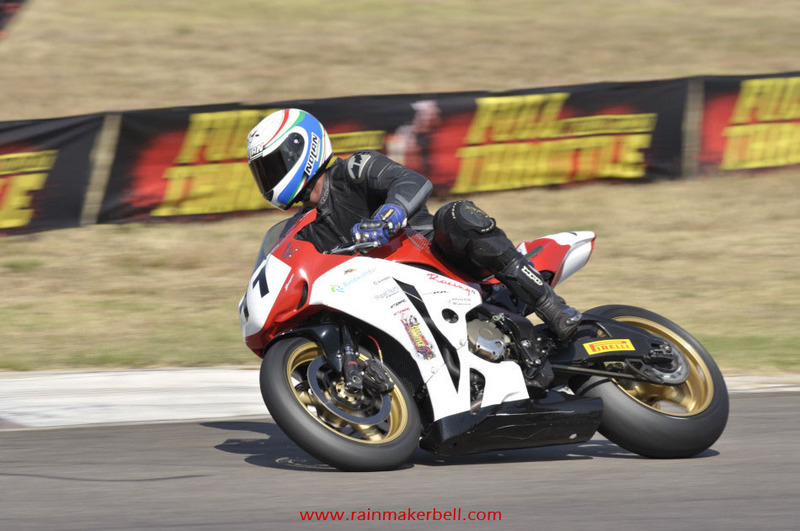 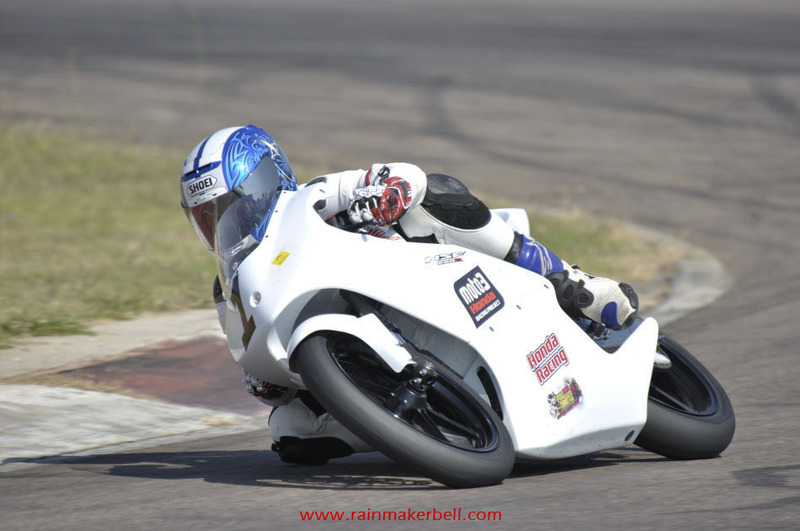 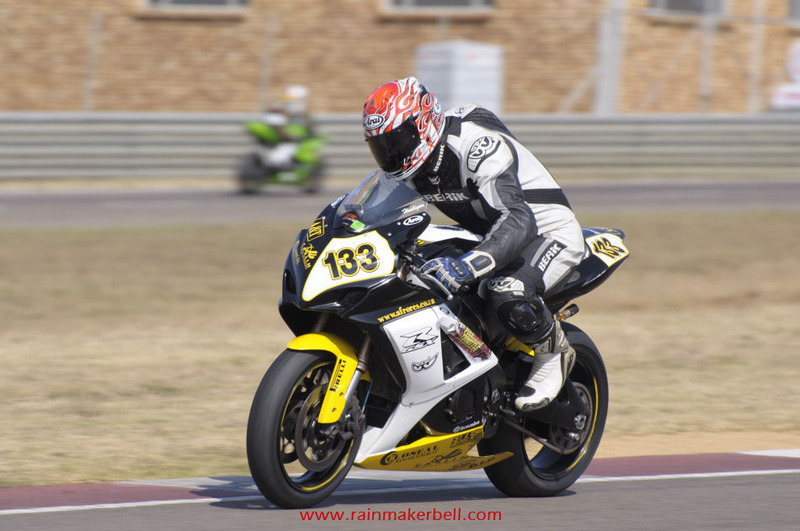 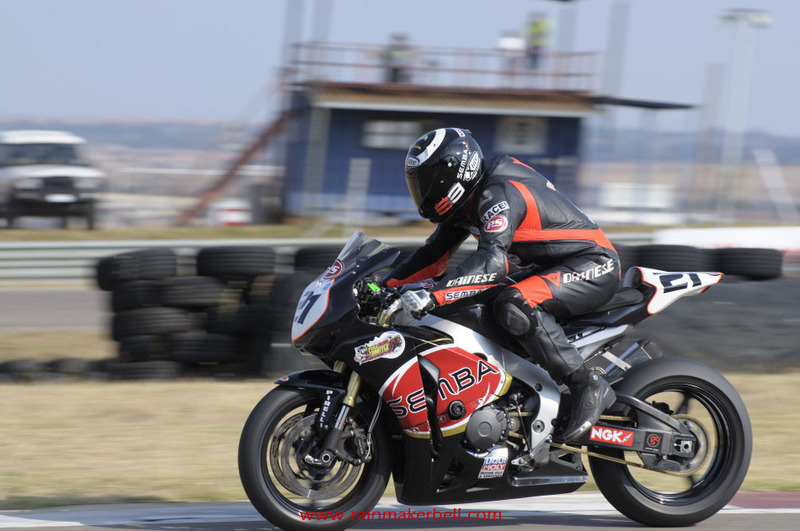 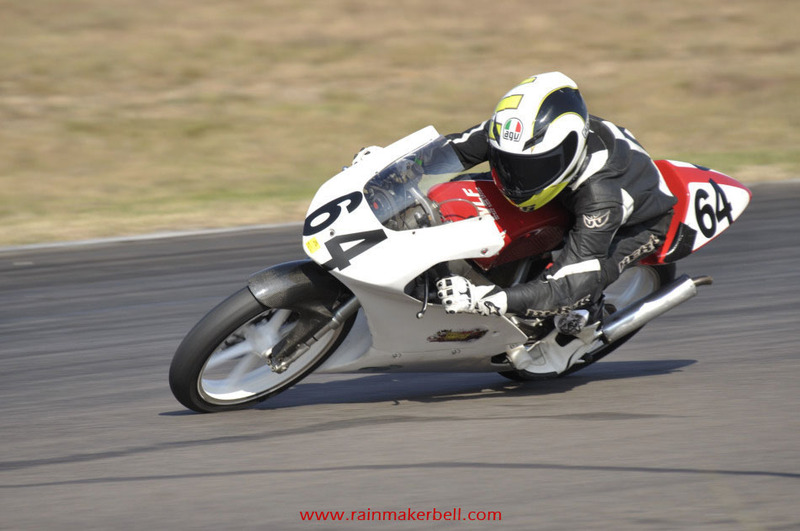 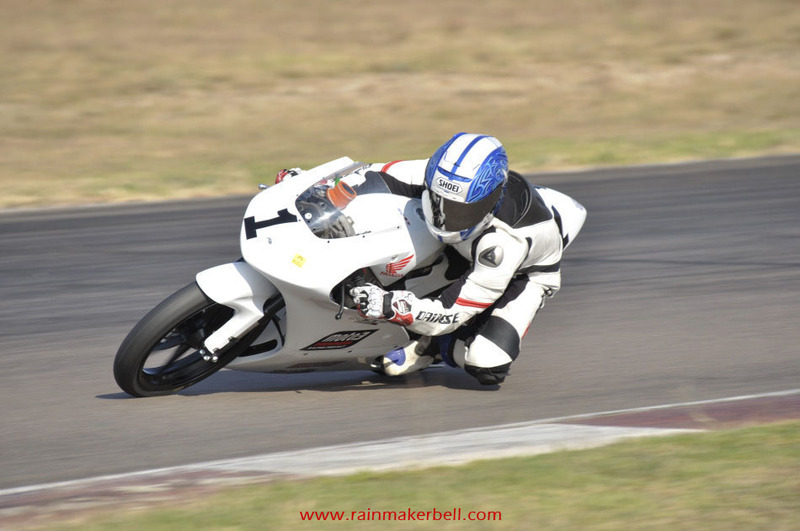 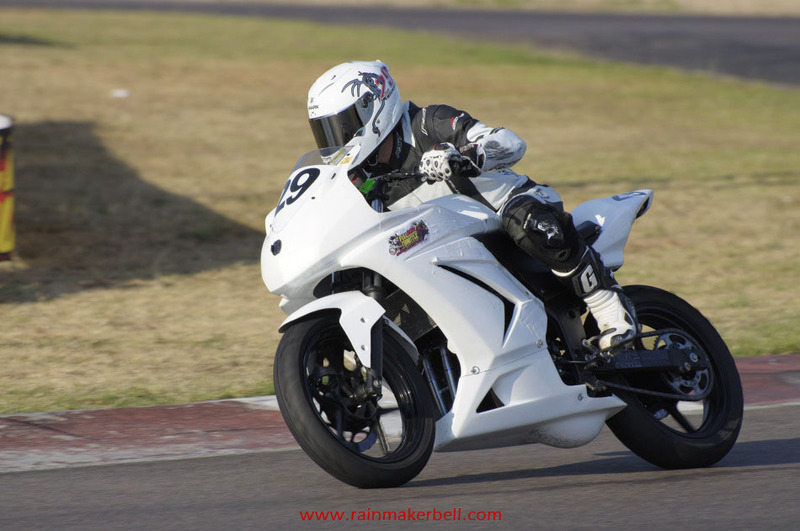 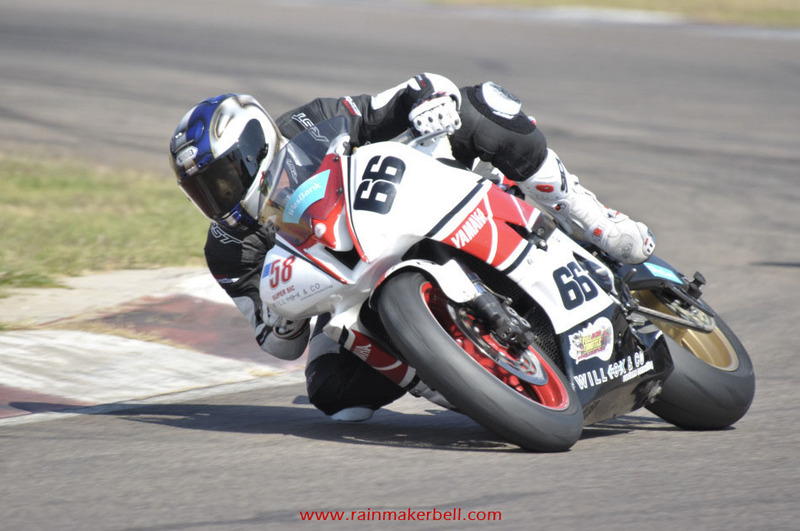 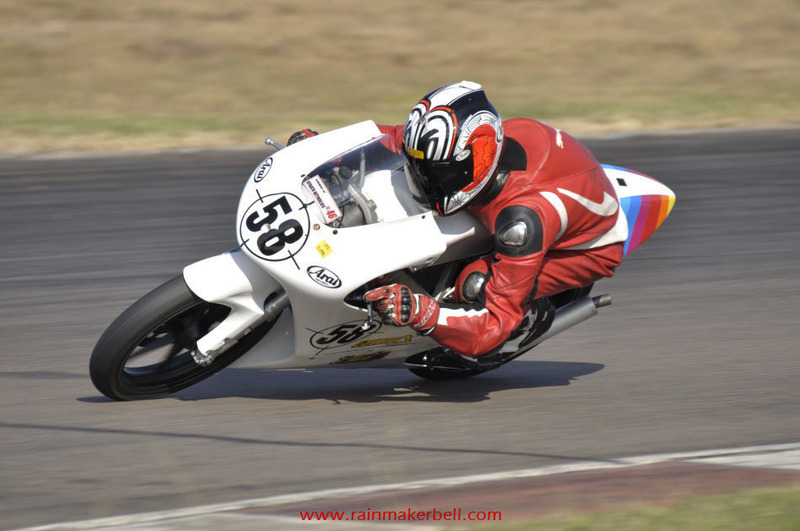 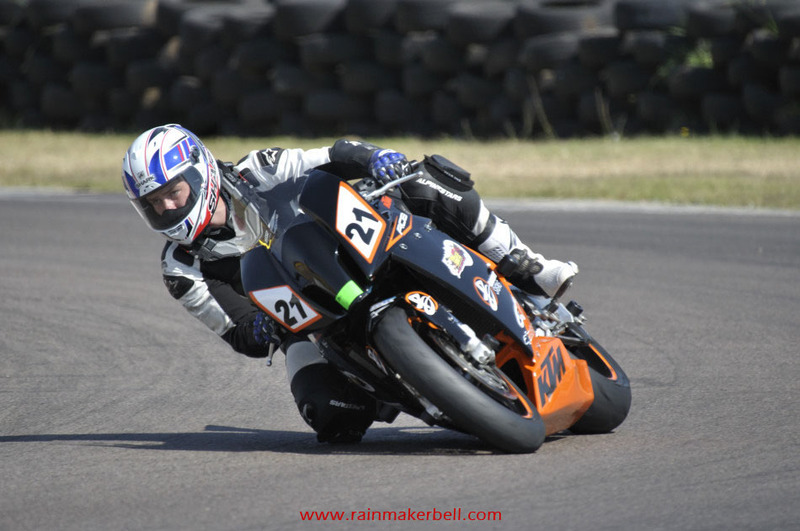 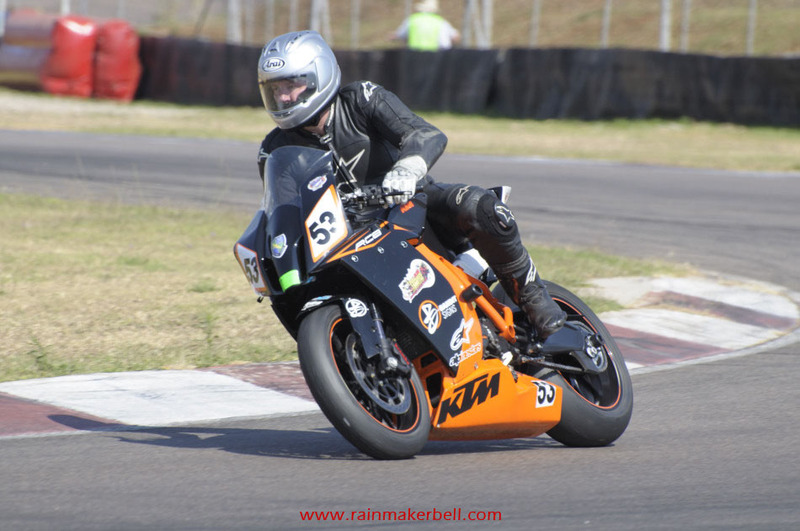 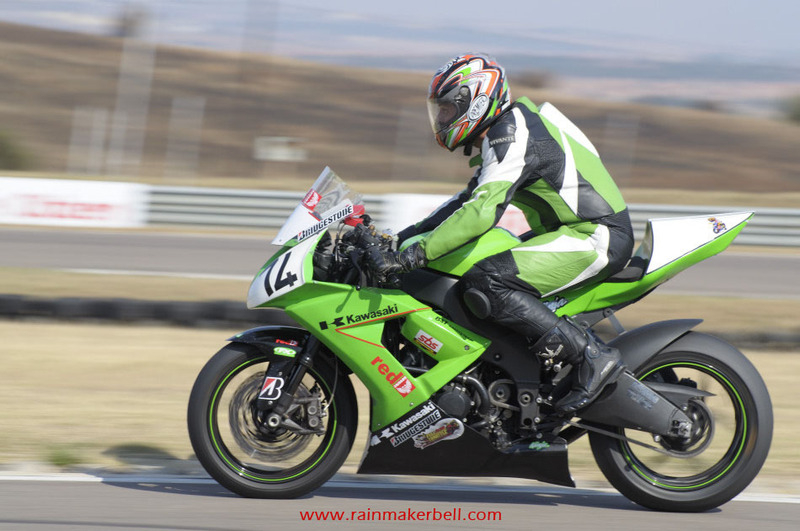 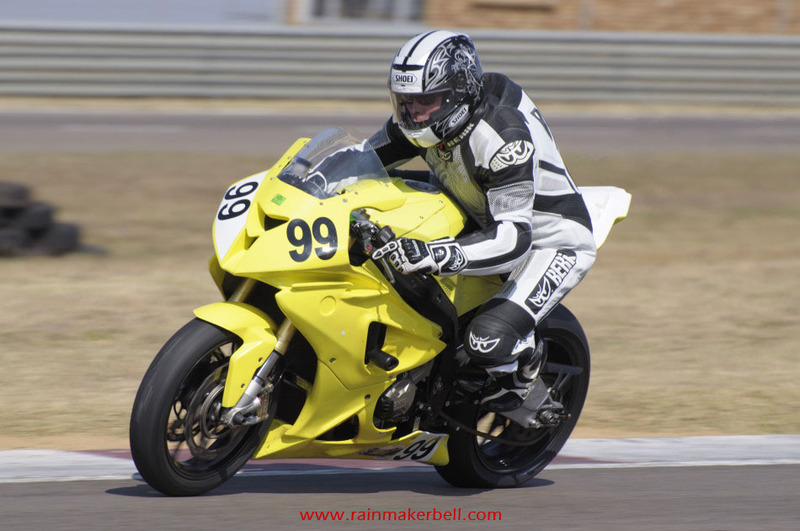 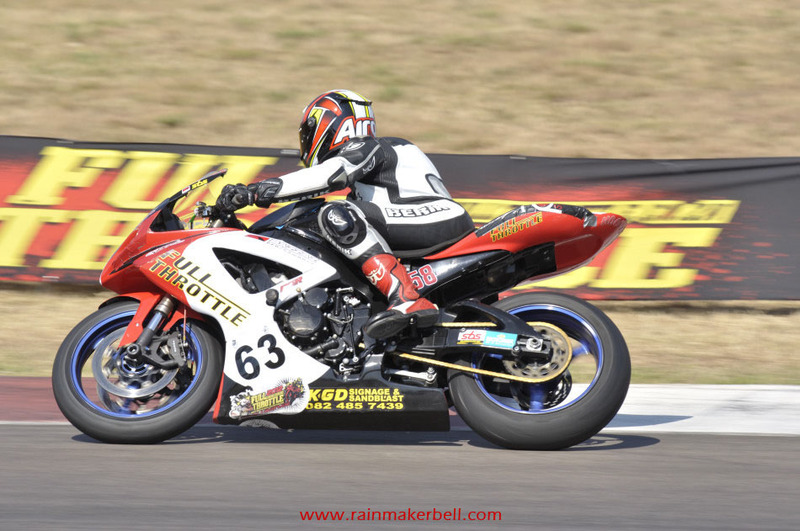 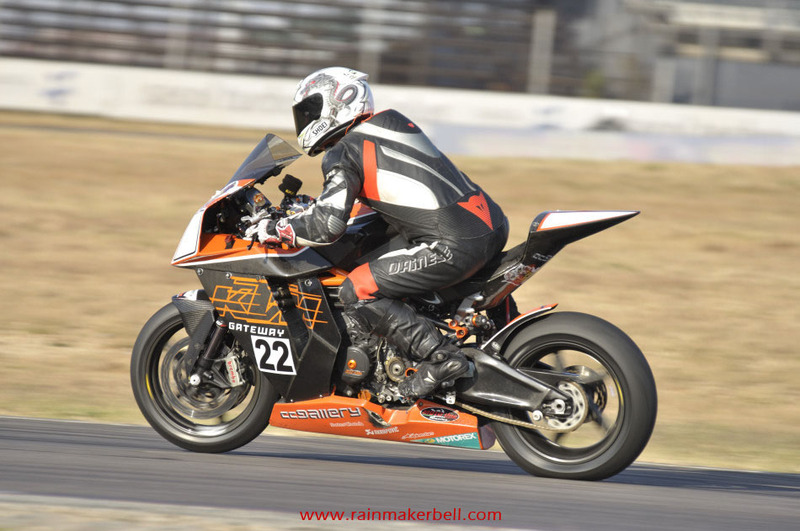 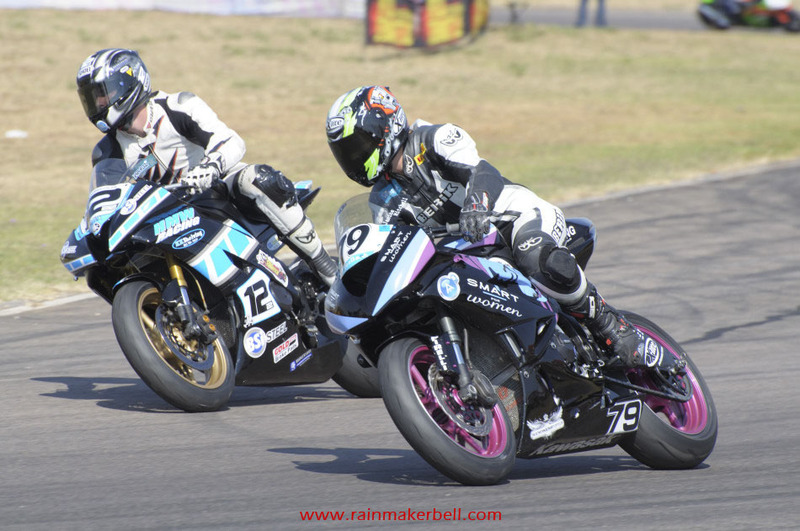 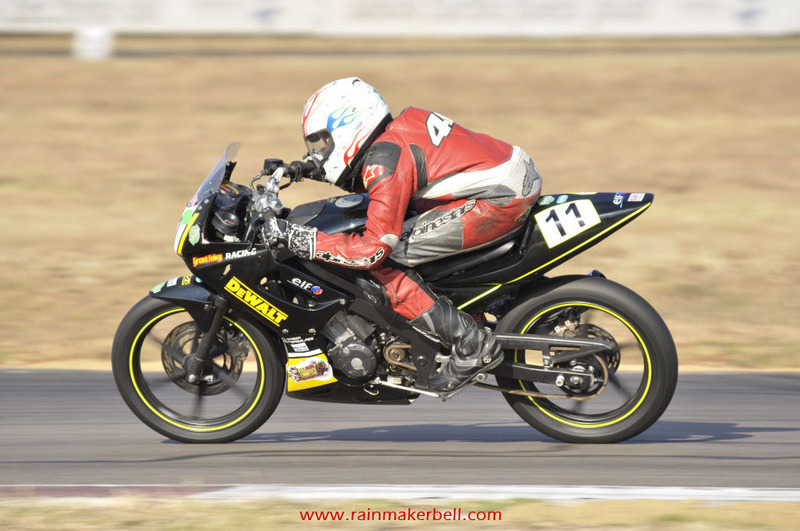 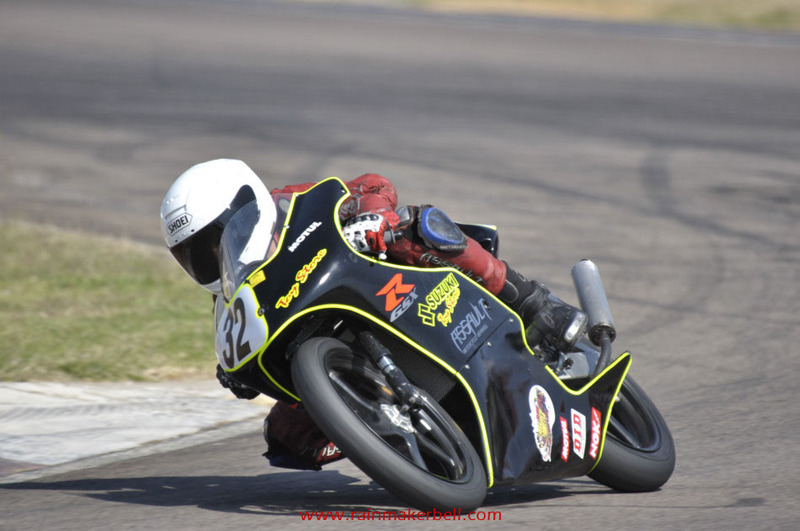 Words & Photos: Adriaan & Martine Venter (Northern Regions Racing, Zwartkops Raceway, South African Motorsport, 2012/05/12, 229 images) Main Image: Greg Gildenhuys #1, BMW S1000RR, Unlimited Superbikes.